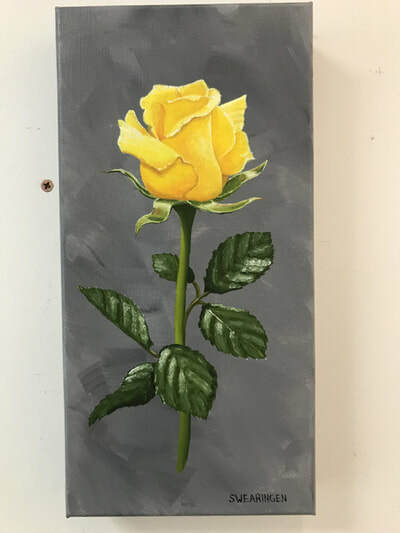 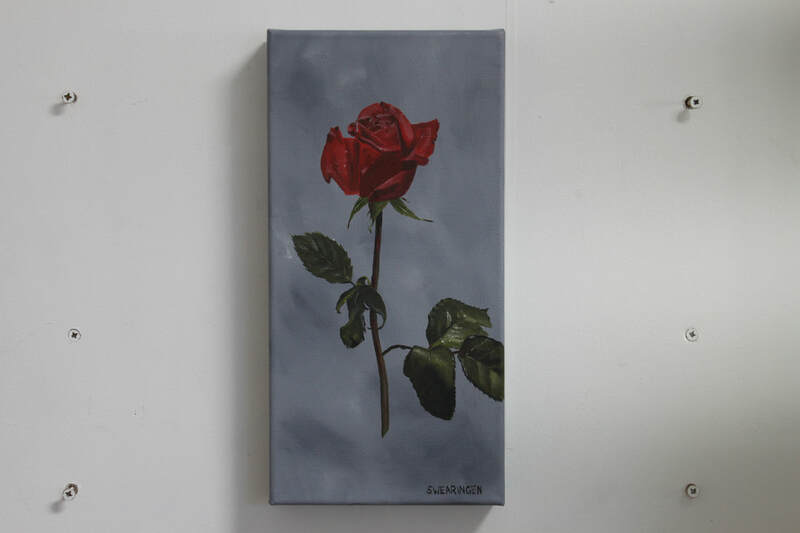 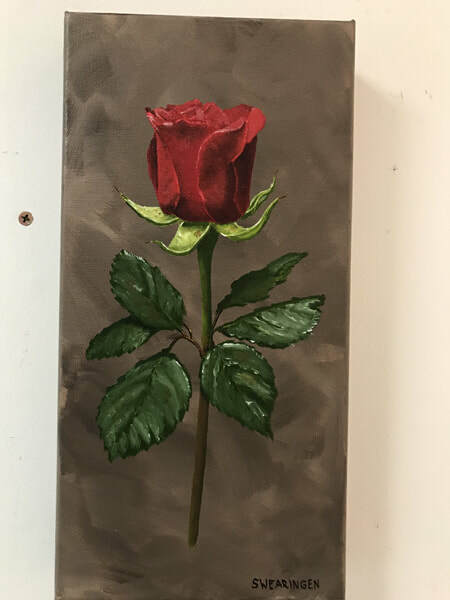 Below are the roses I have painted as a fund raiser to help the victims of the October fires in Santa Rosa and the surrounding area. 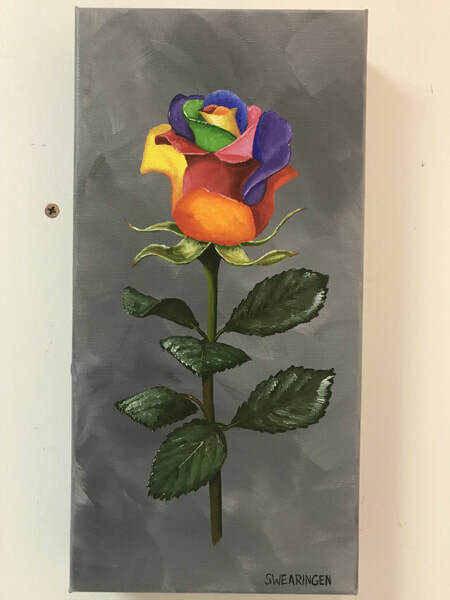 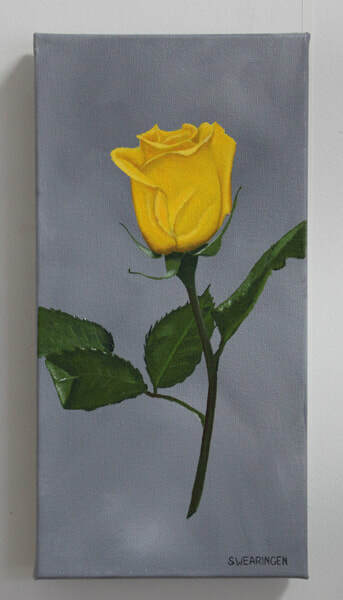 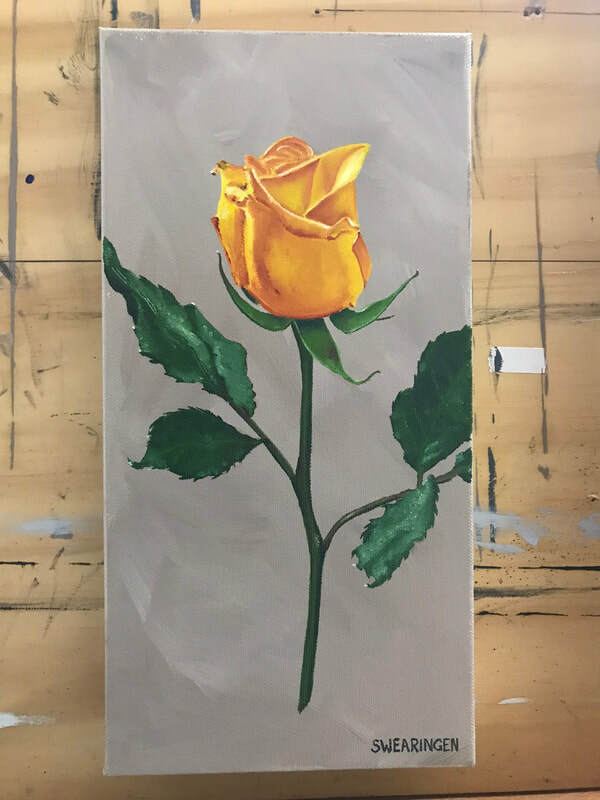 I received 365 commissions to paint roses and donated all of the funds to the Redwood Credit Union's North Bay Fire Relief Fund. 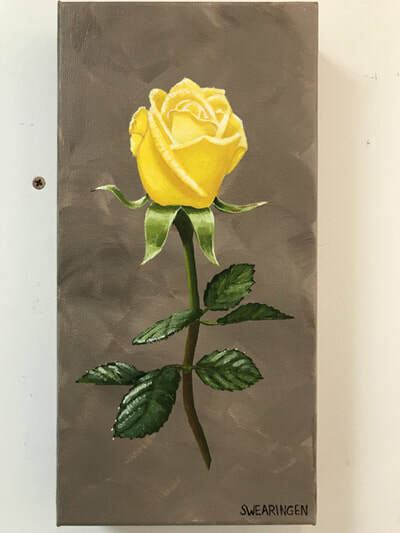 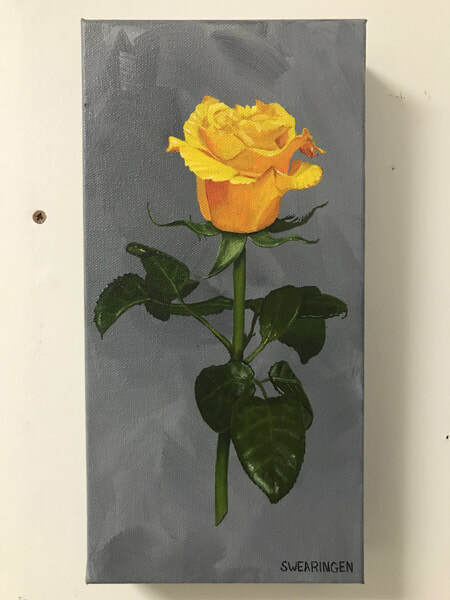 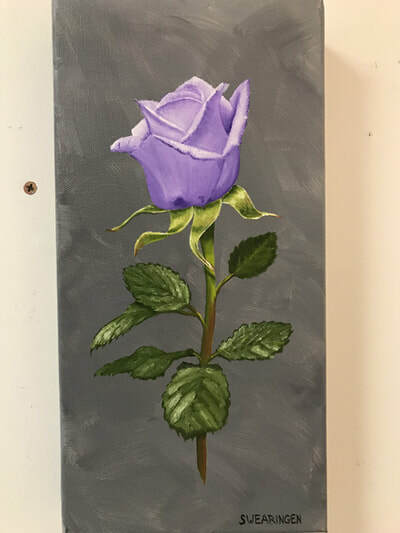 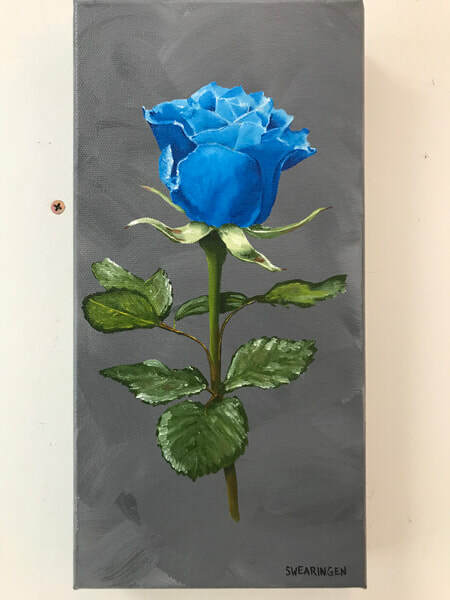 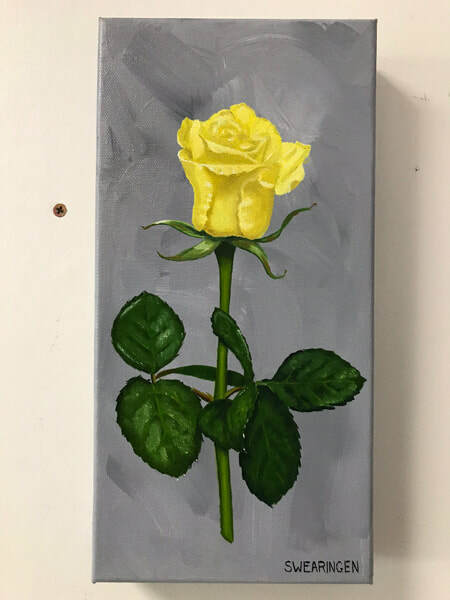 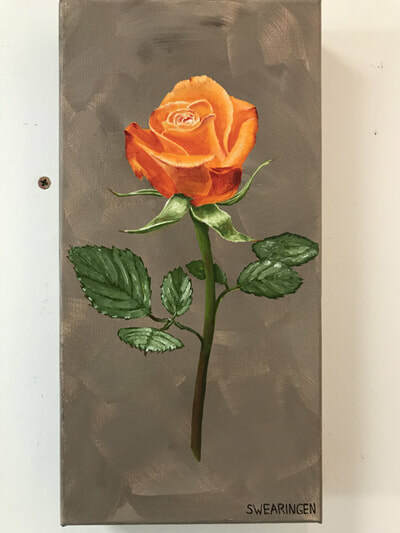 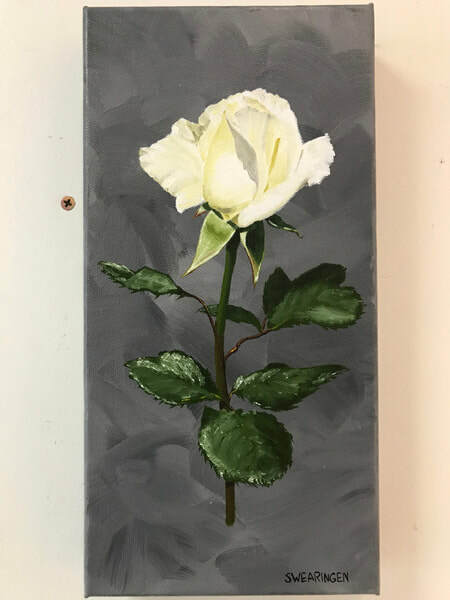 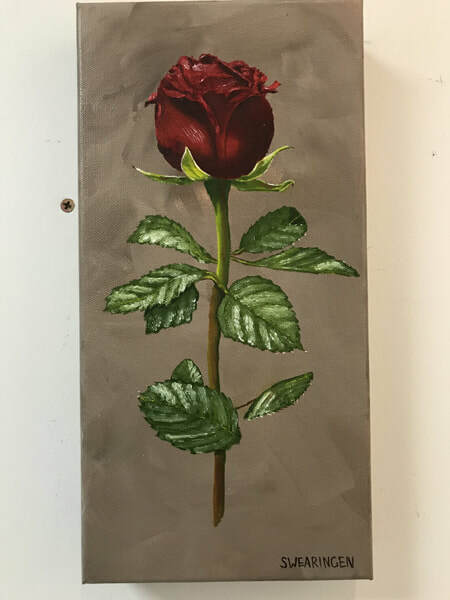 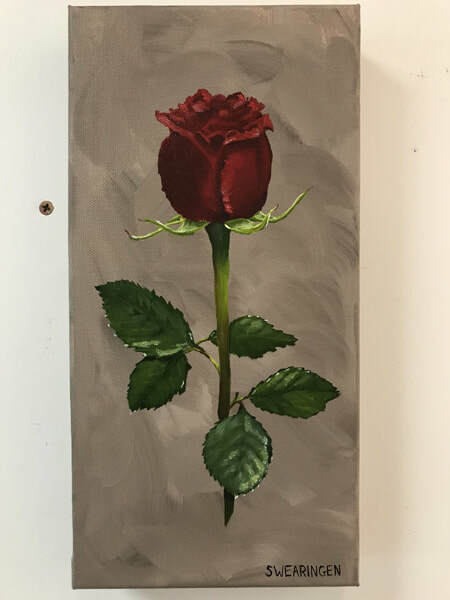 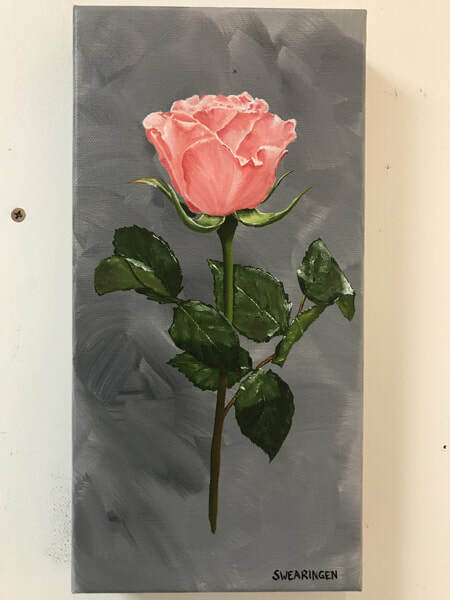 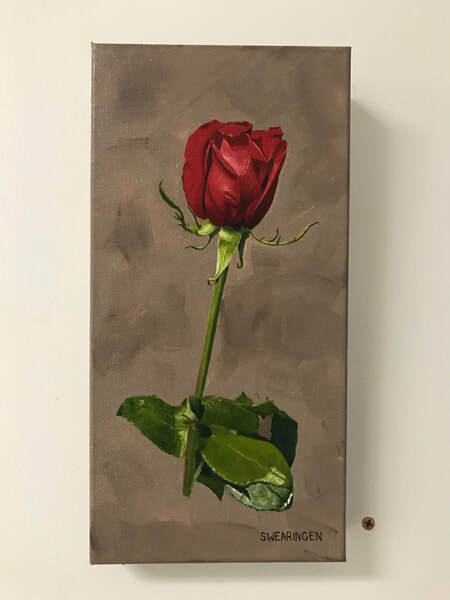 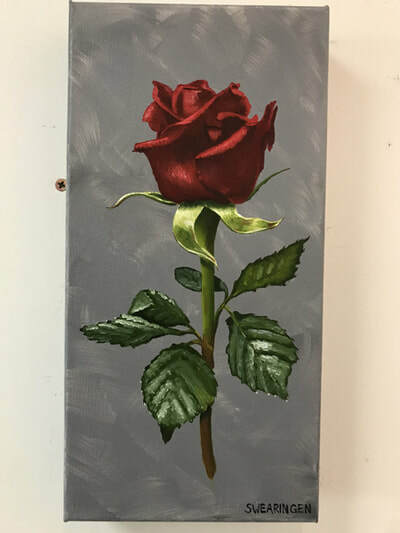 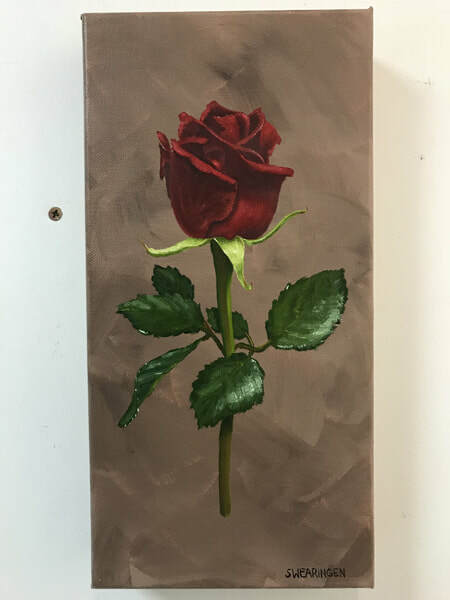 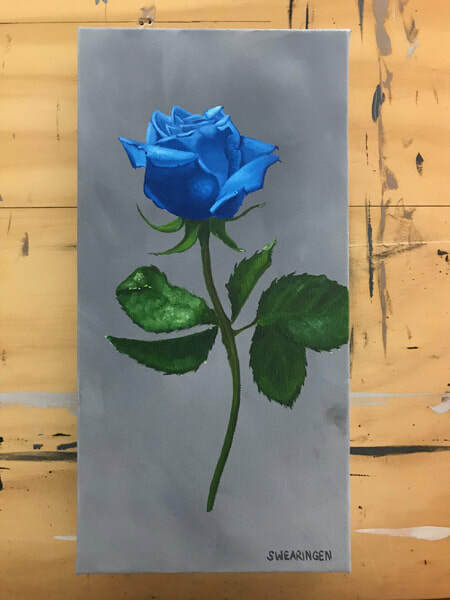 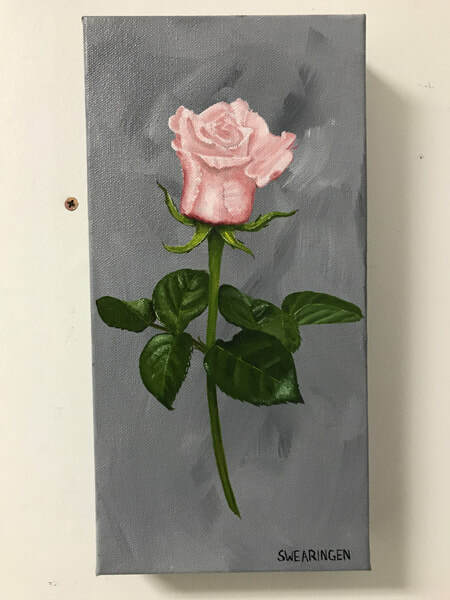 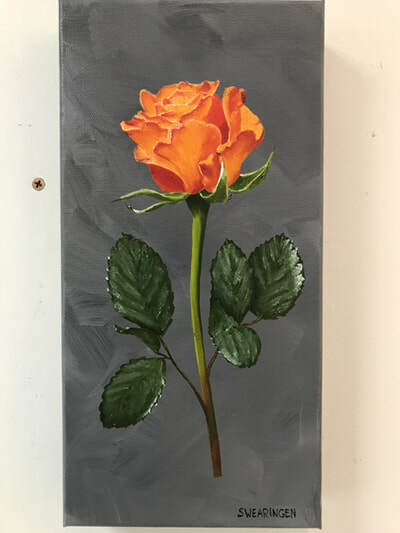 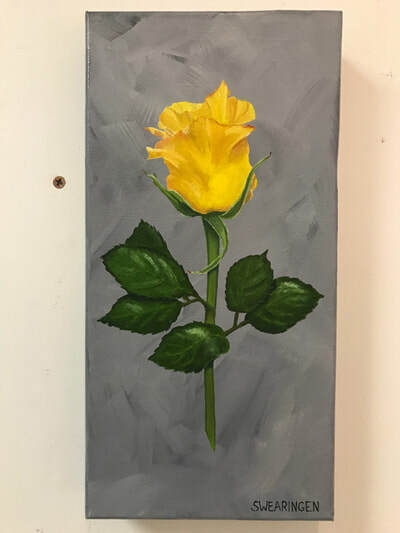 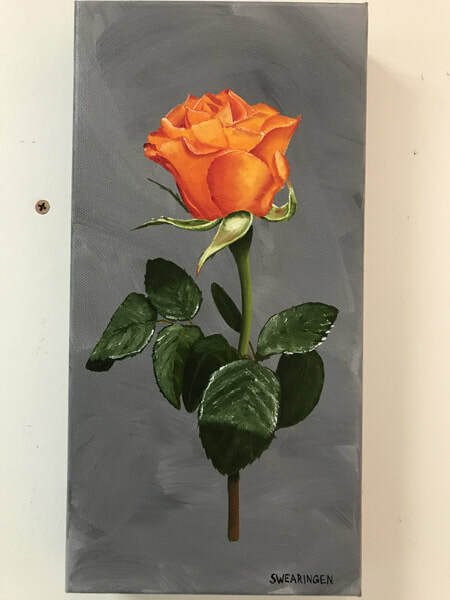 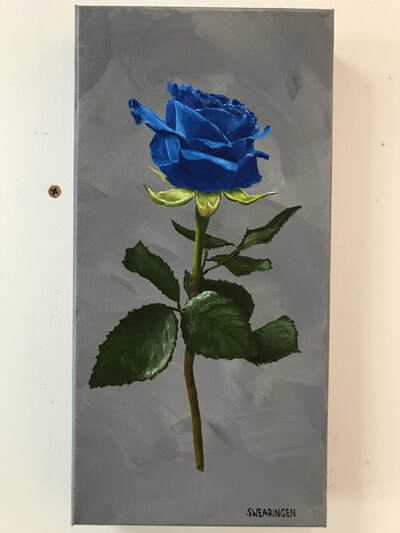 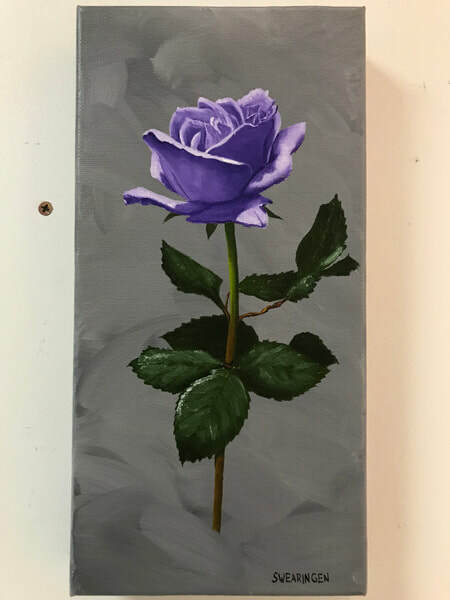 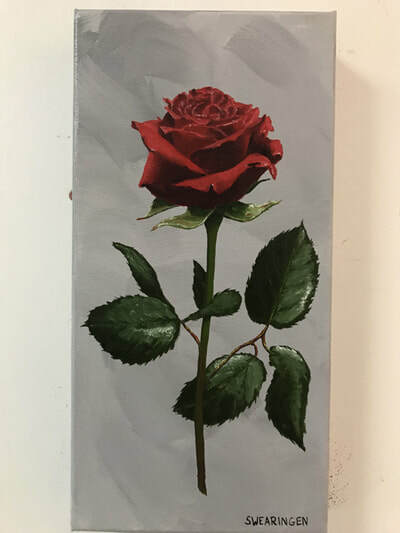 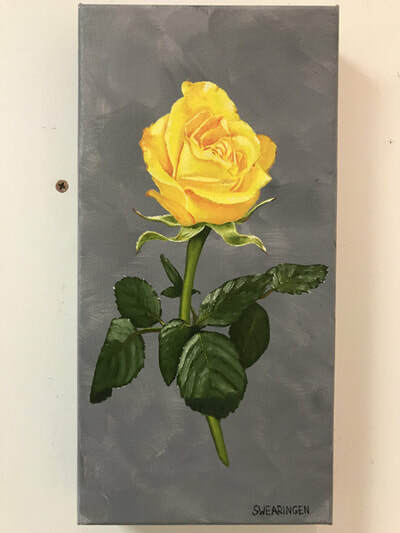 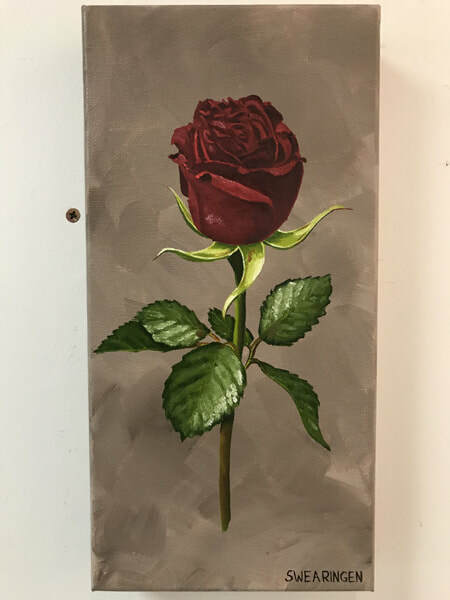 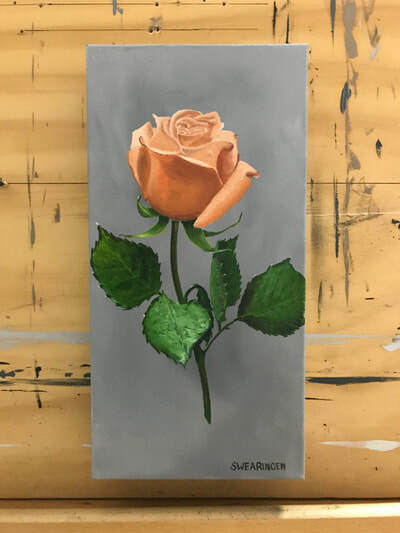 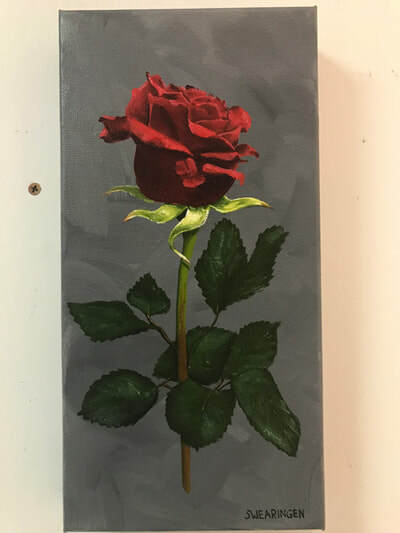 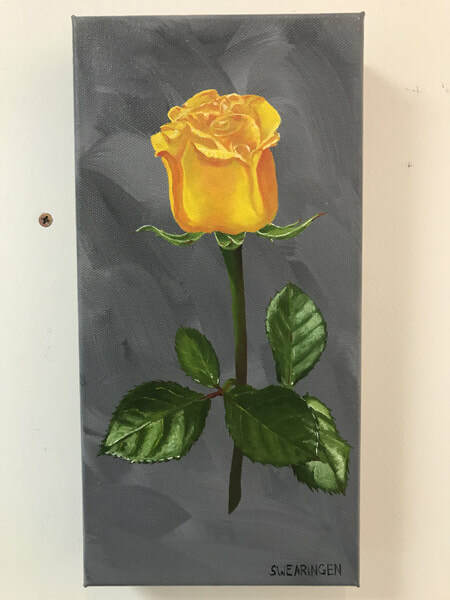 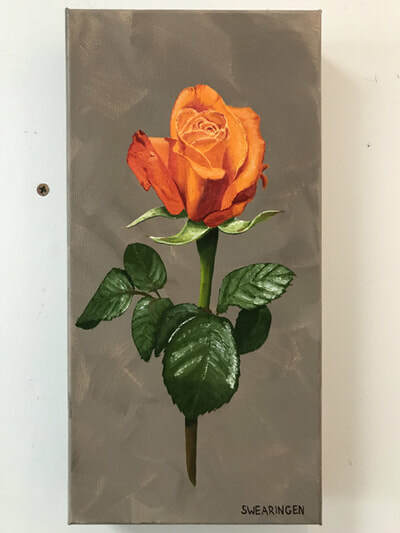 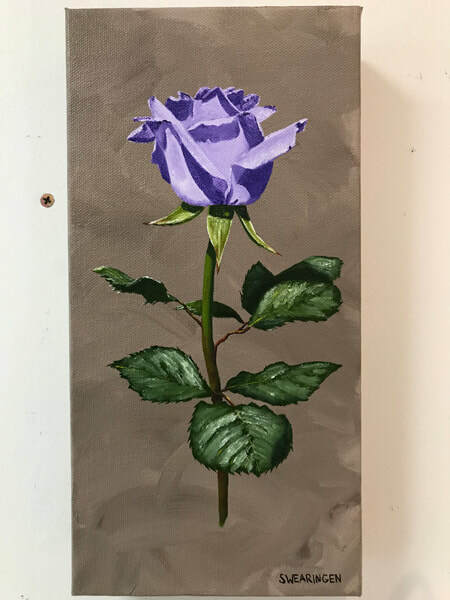 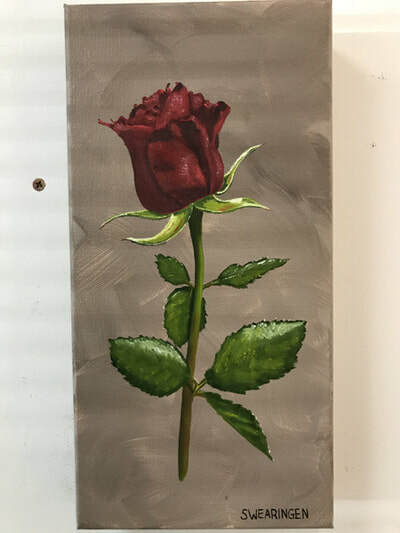 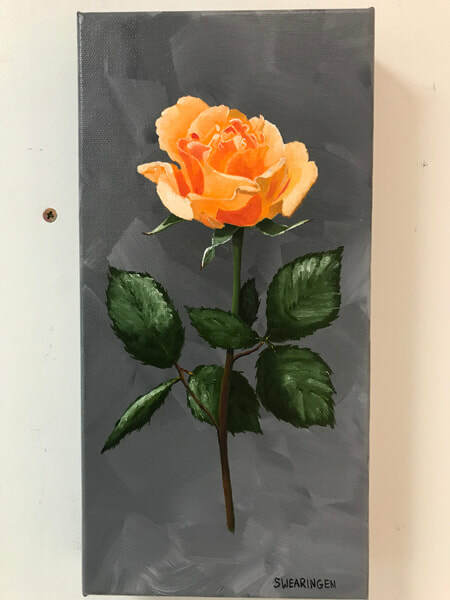 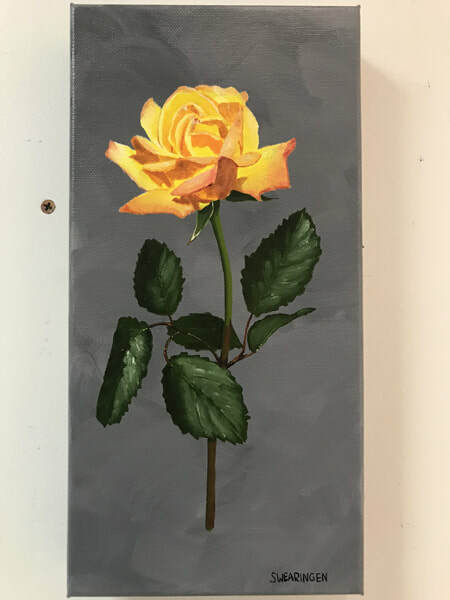 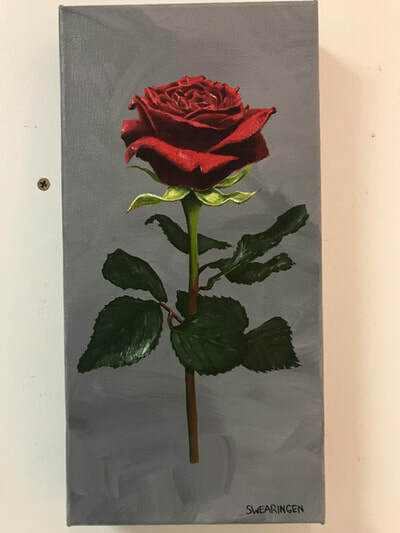 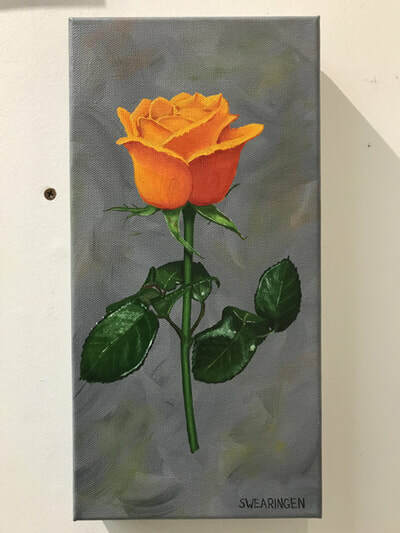 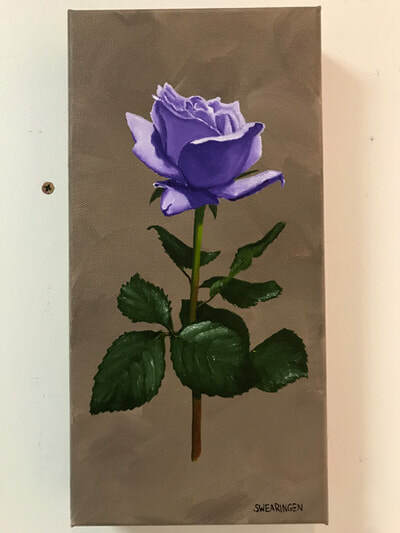 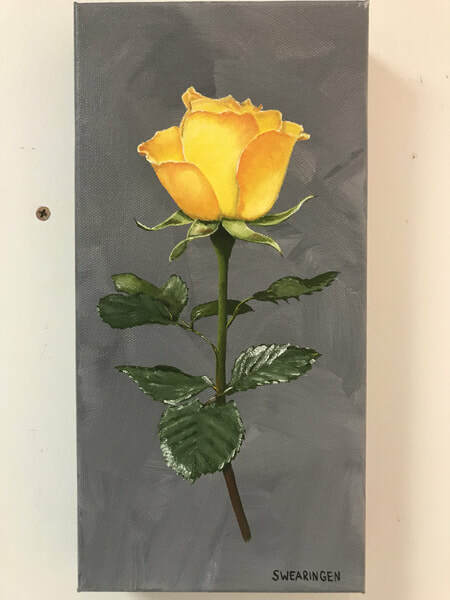 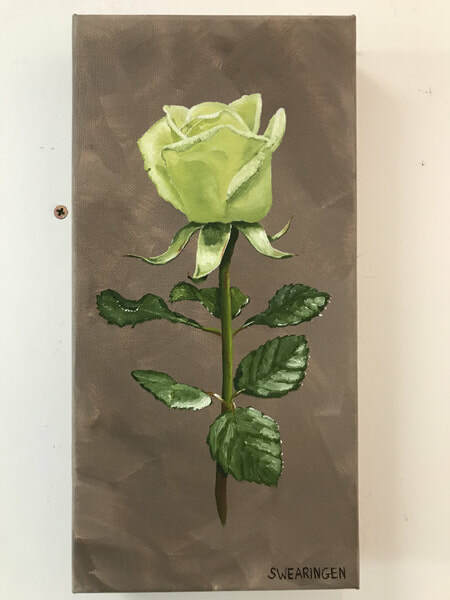 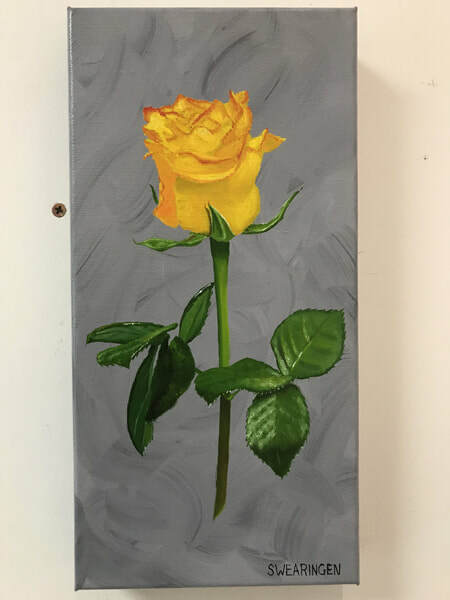 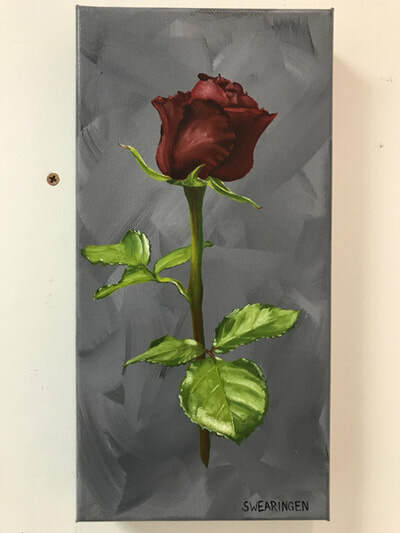 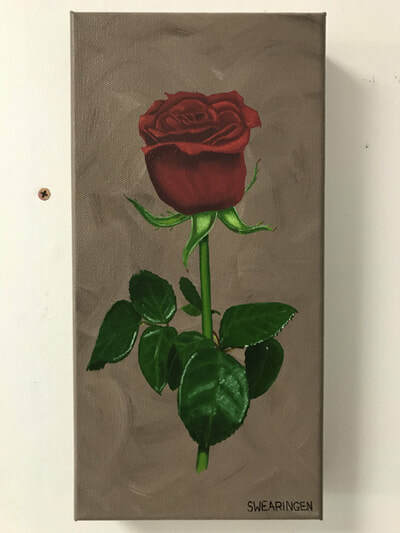 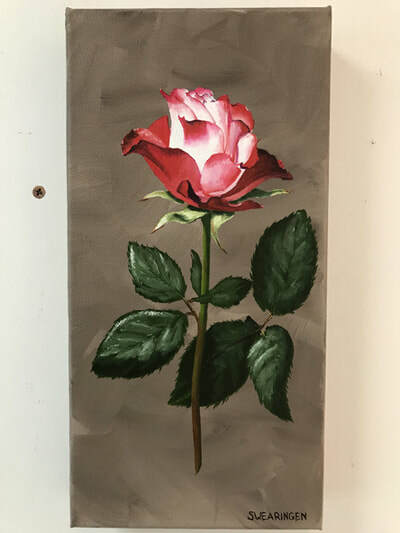 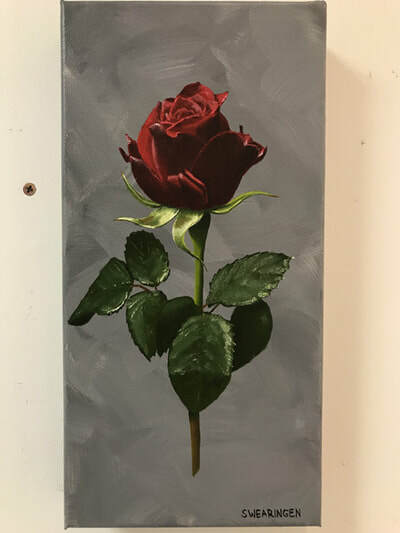 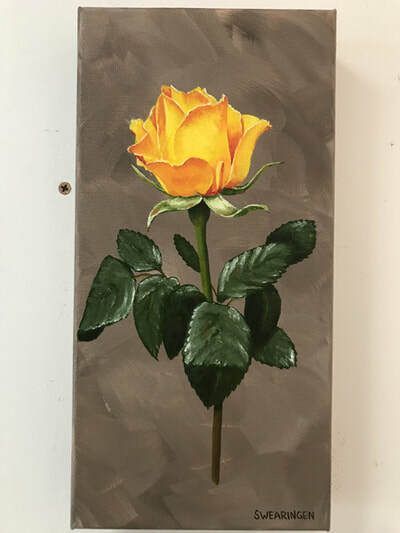 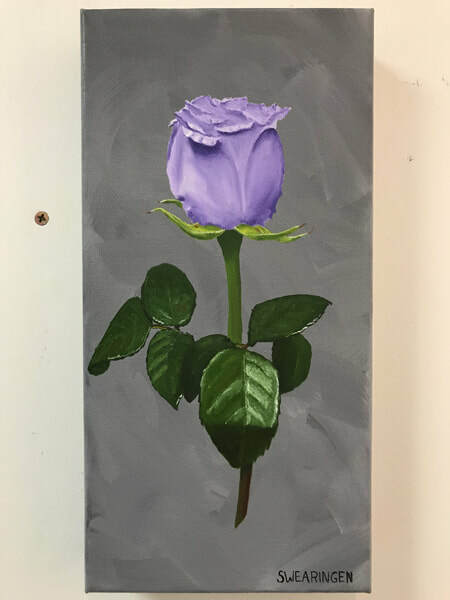 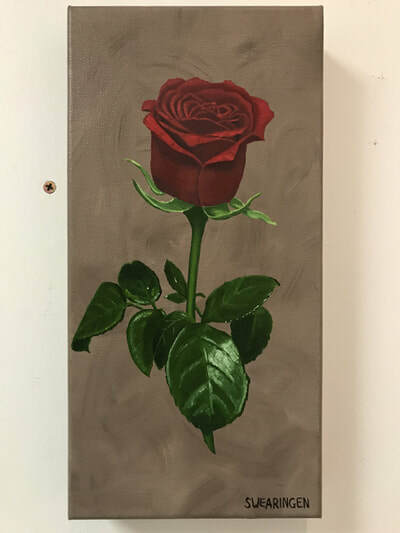 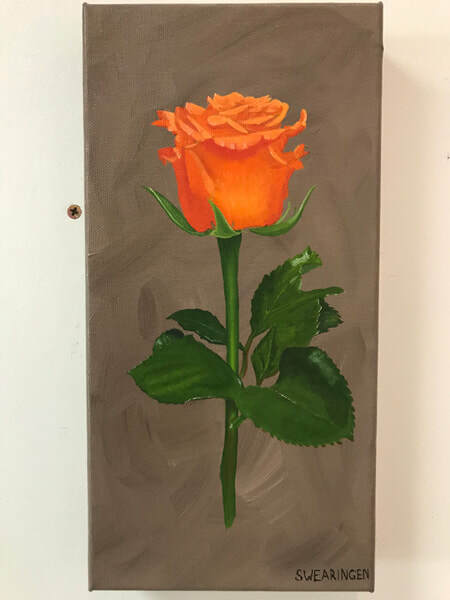 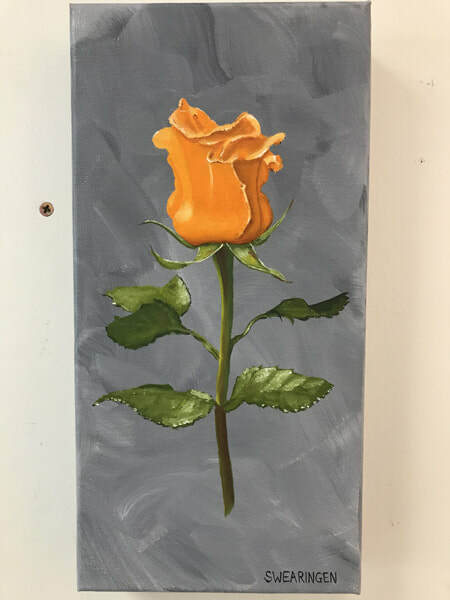 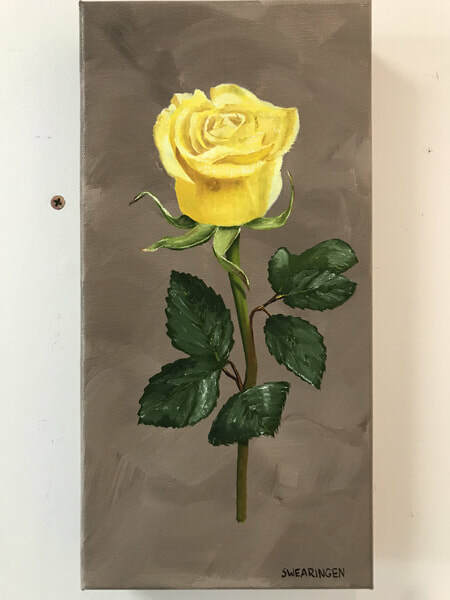 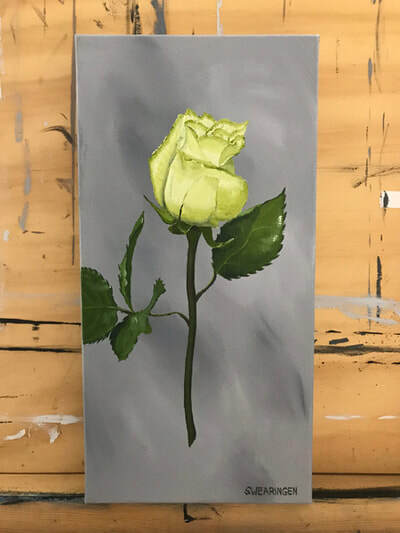 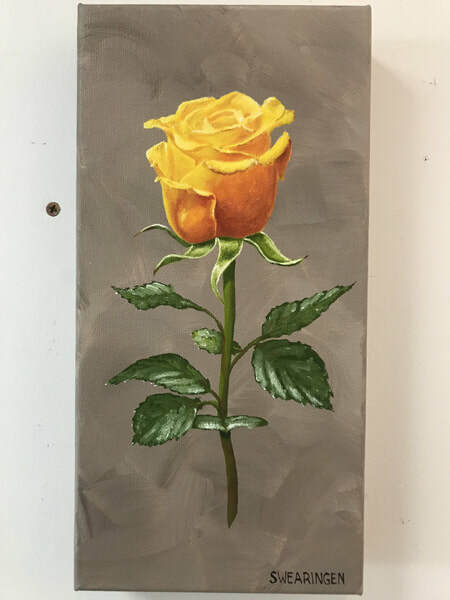 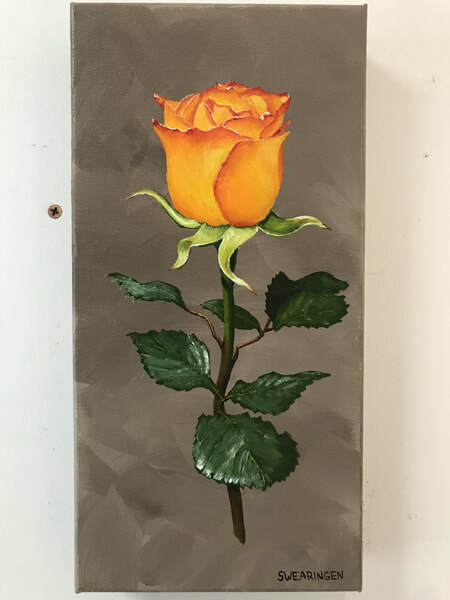 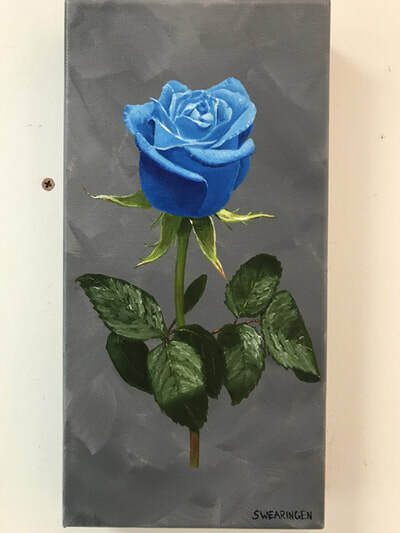 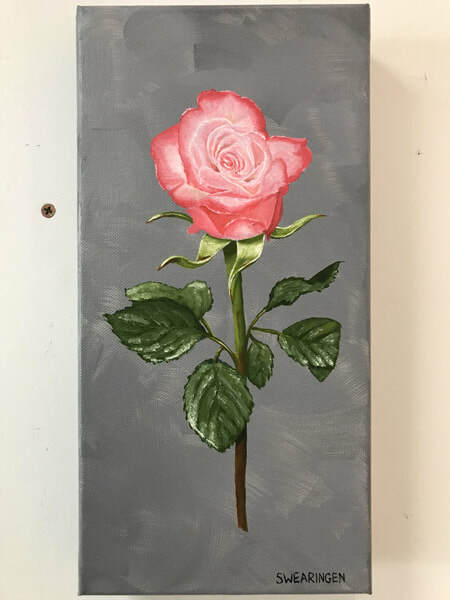 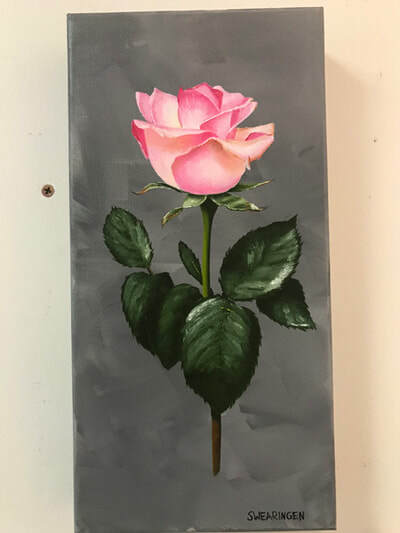 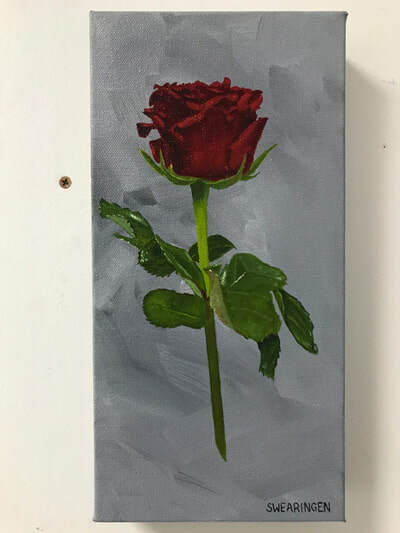 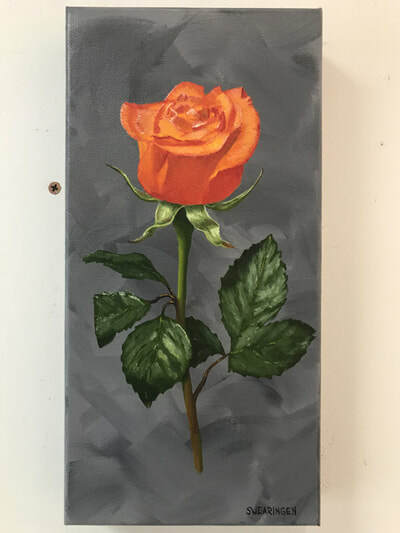 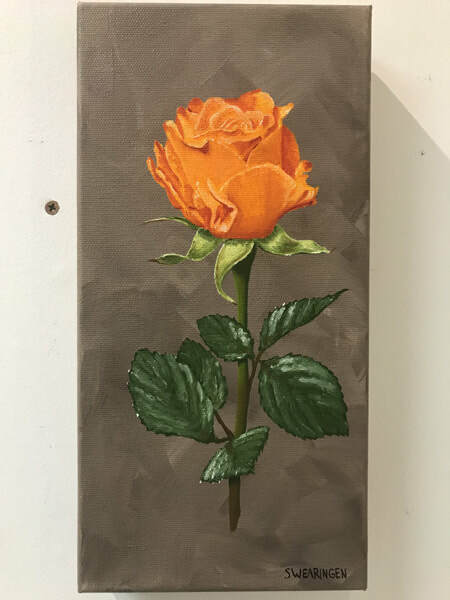 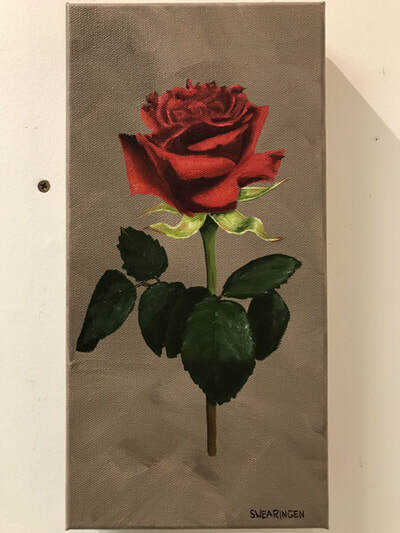 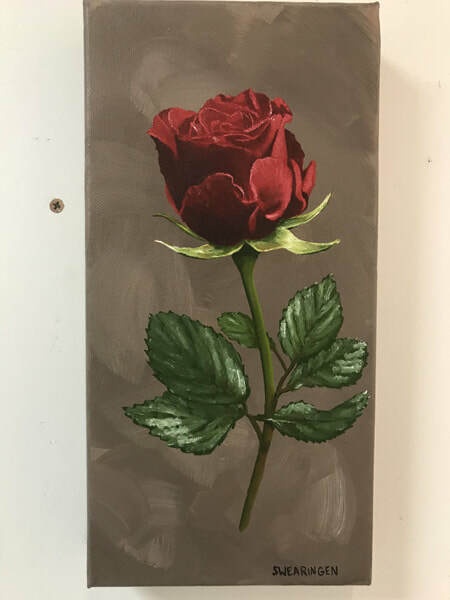 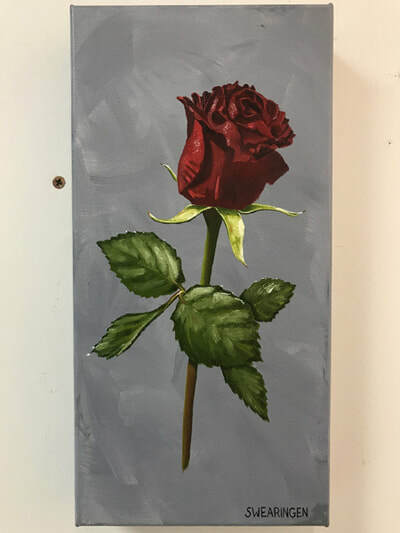 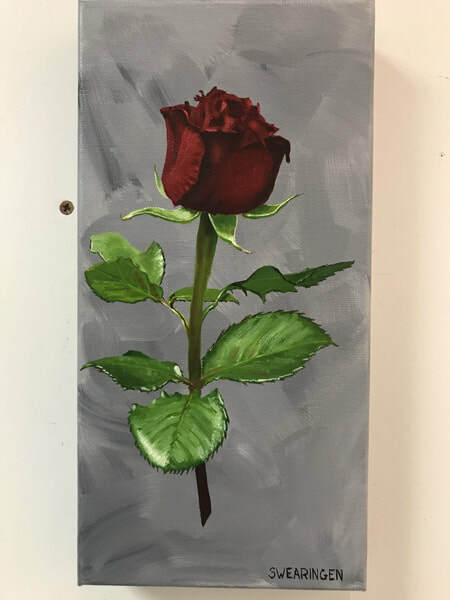 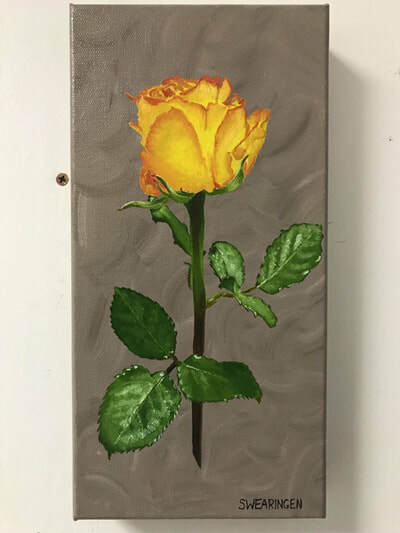 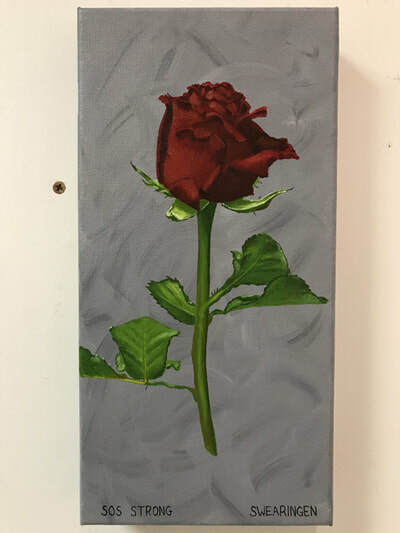 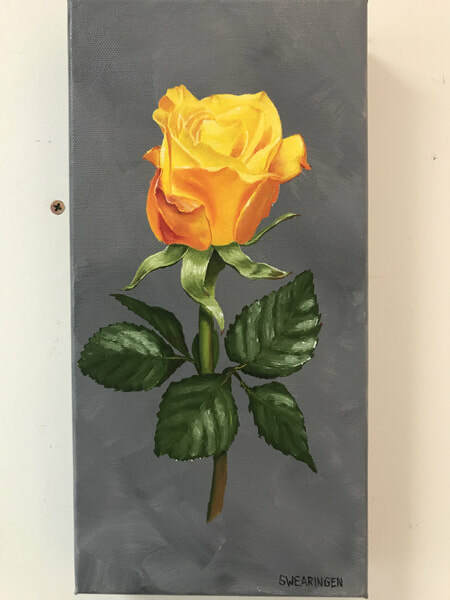 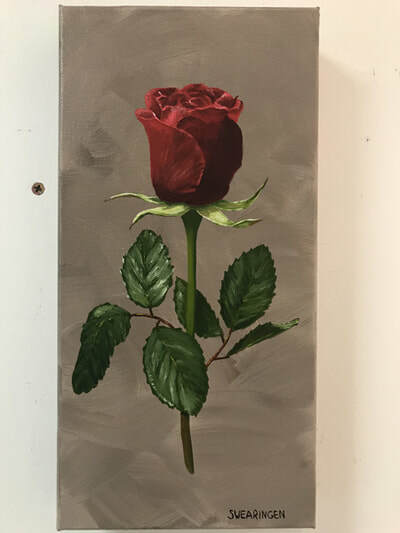 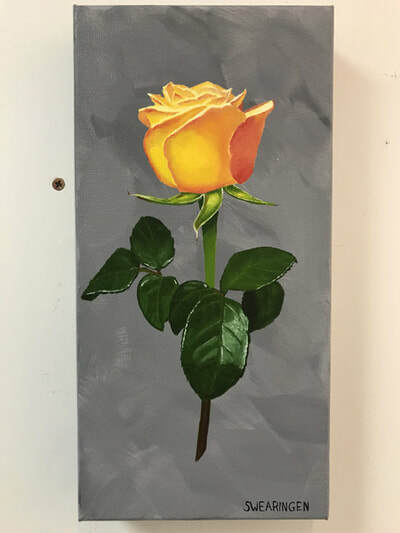 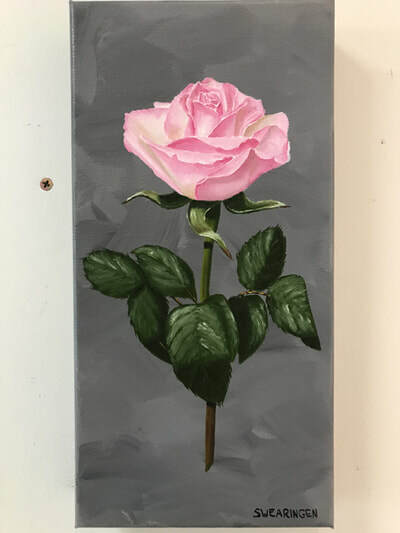 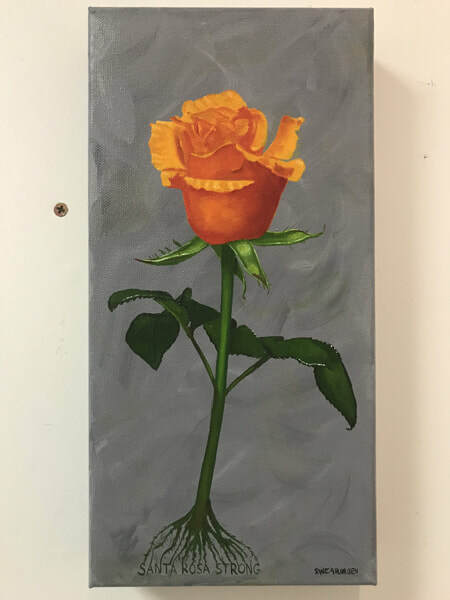 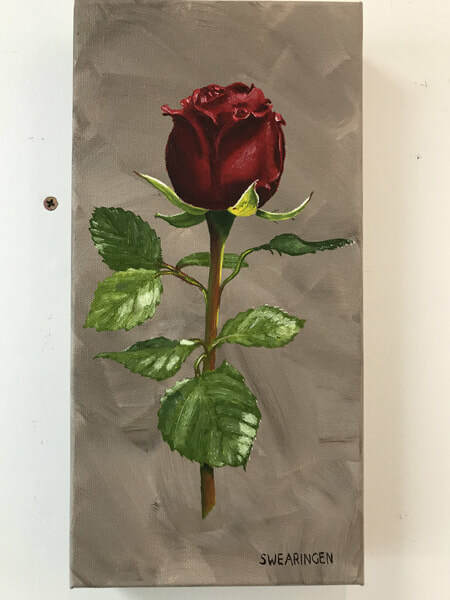 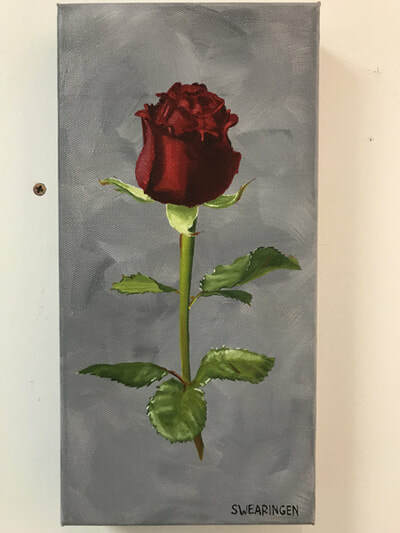 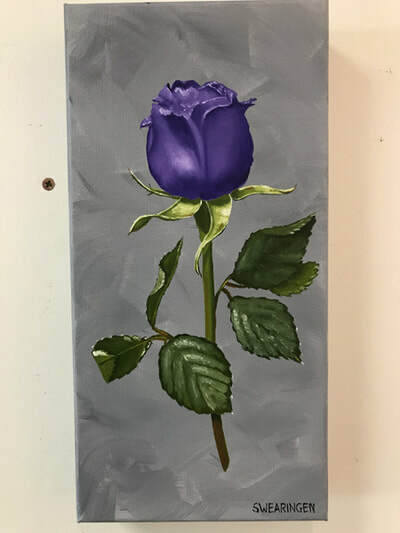 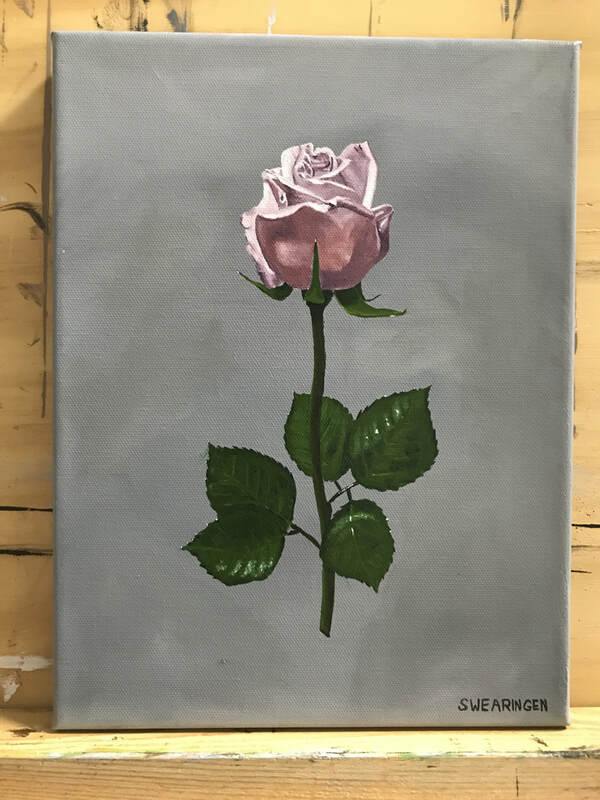 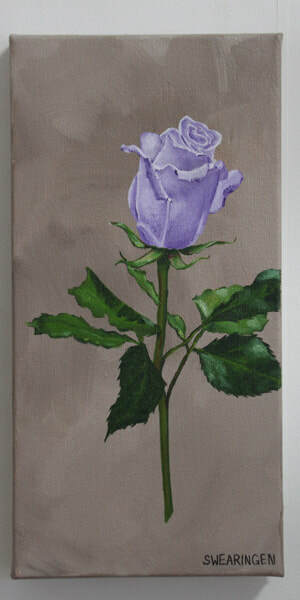 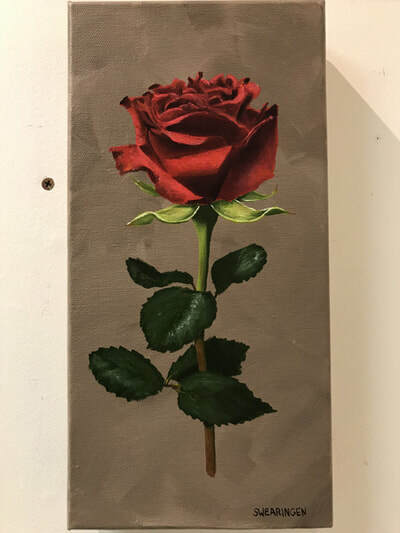 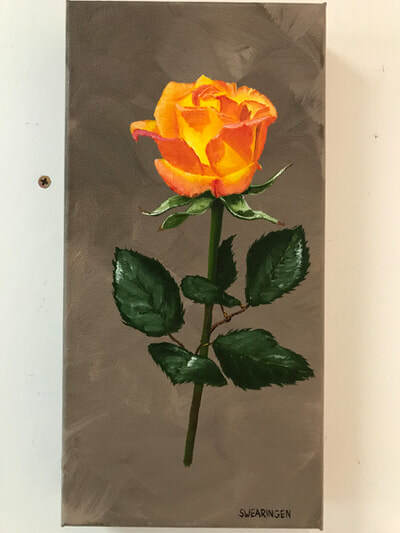 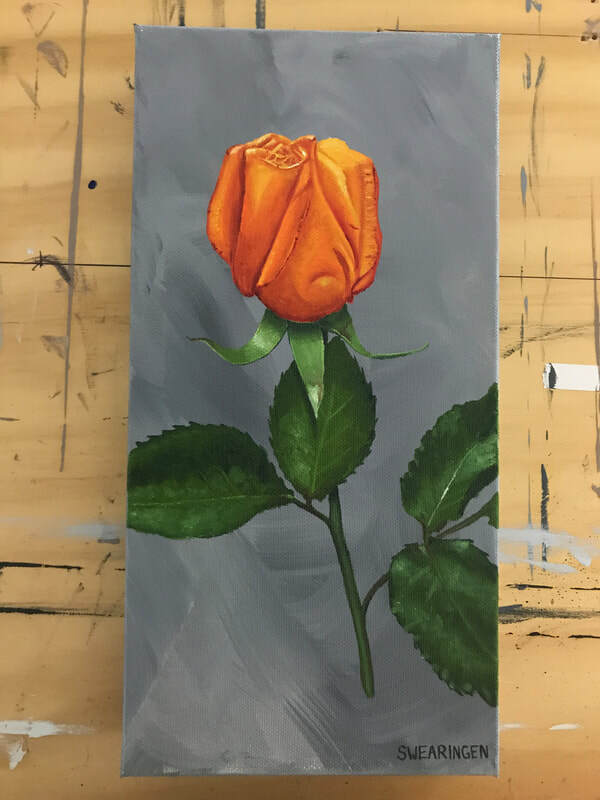 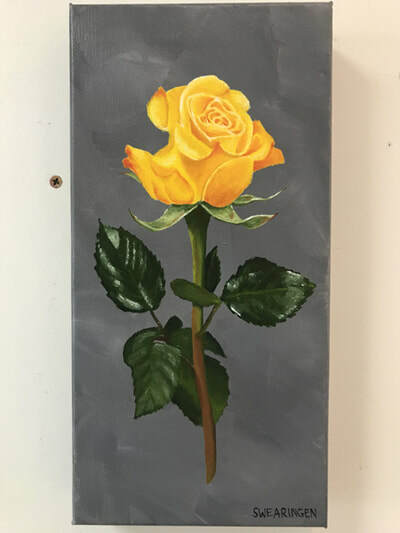 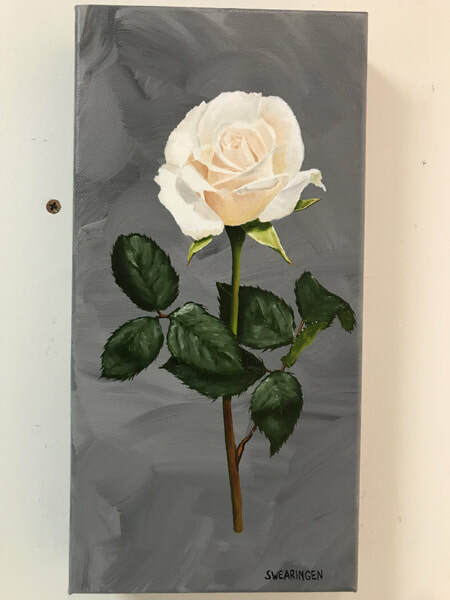 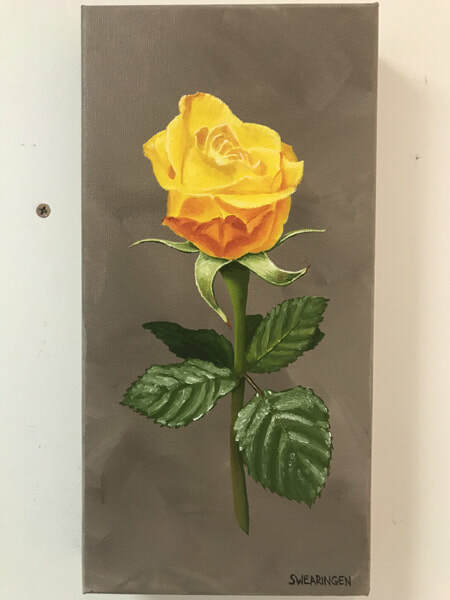 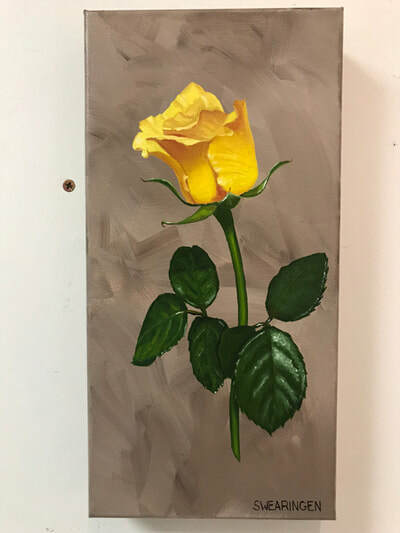 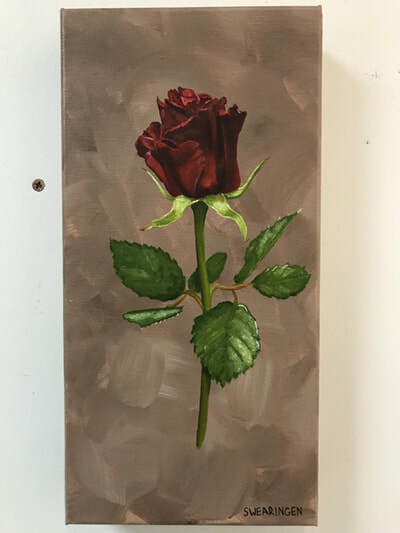 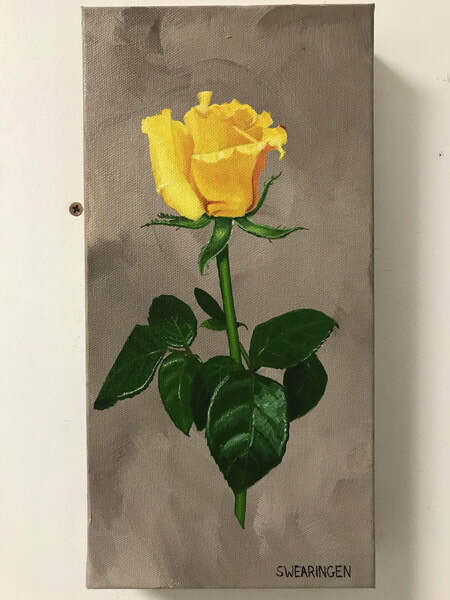 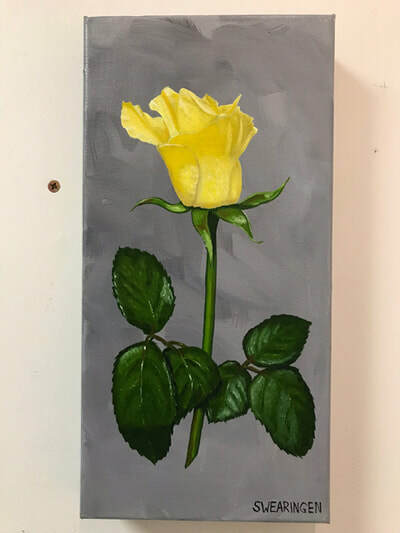 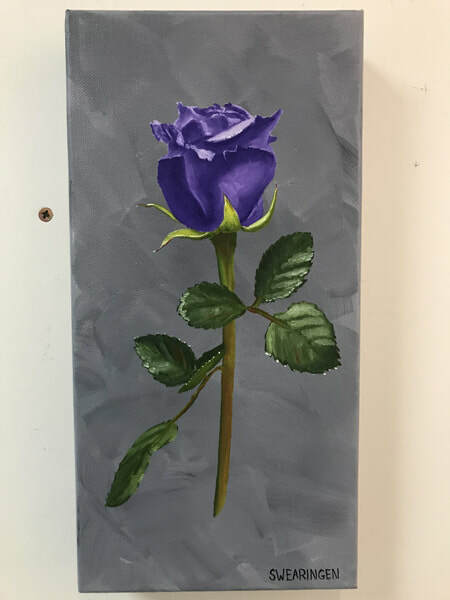 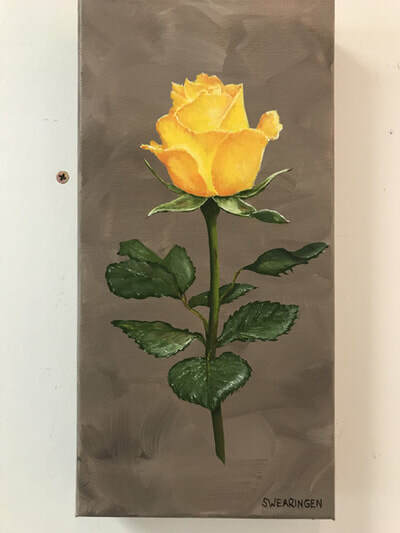 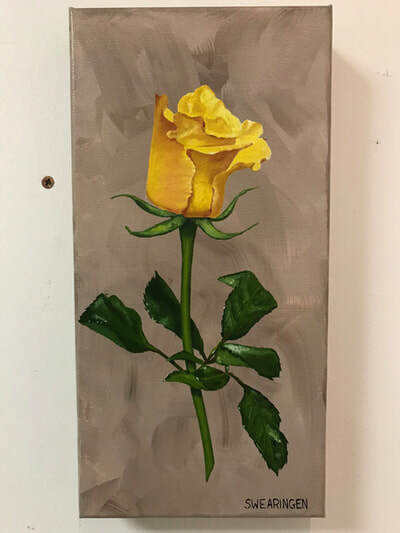 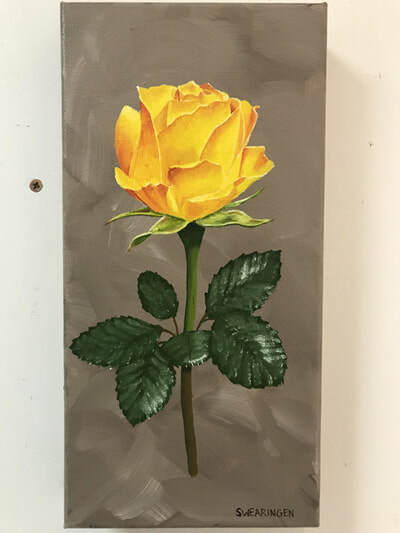 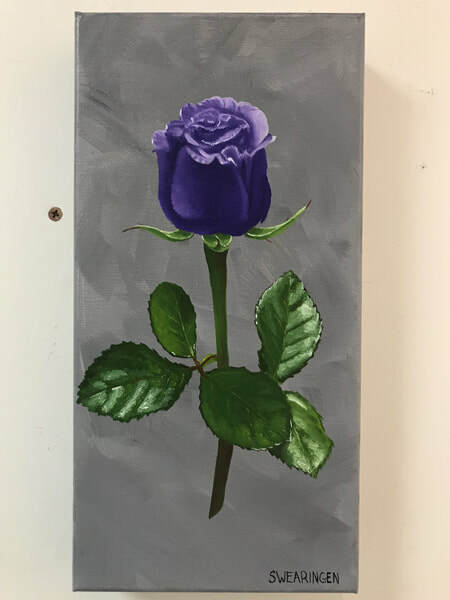 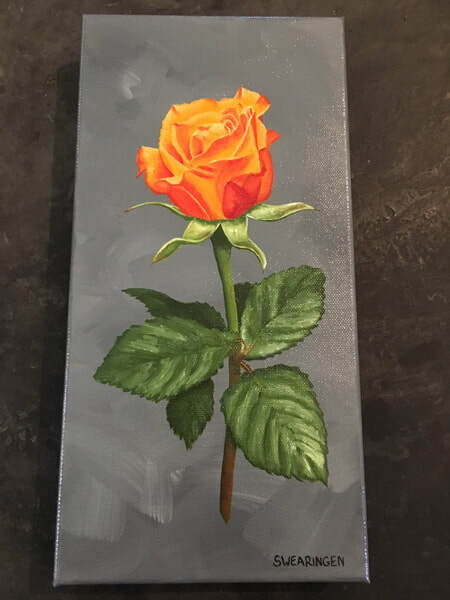 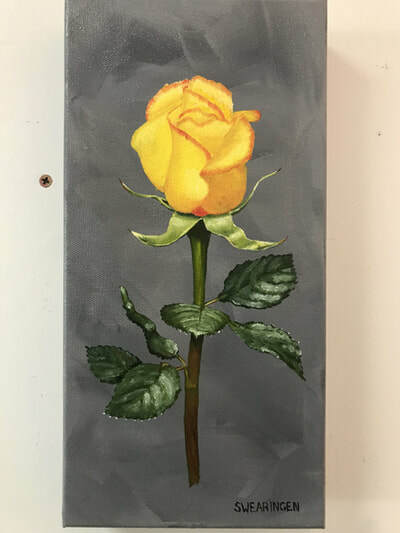 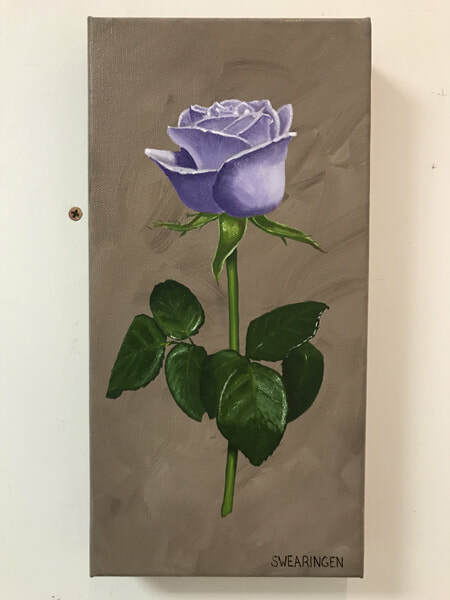 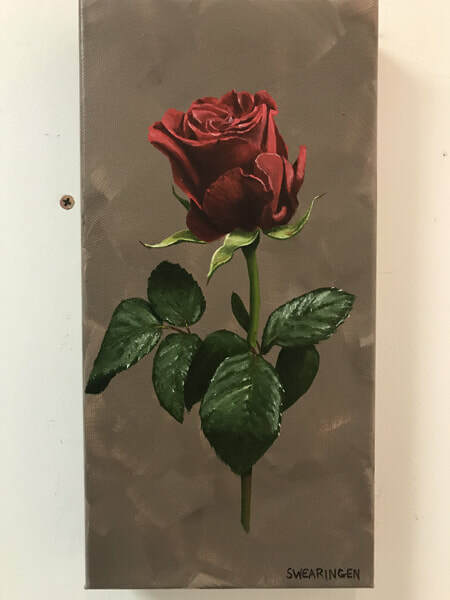 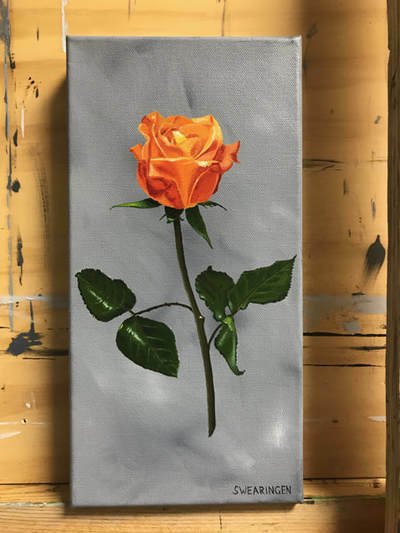 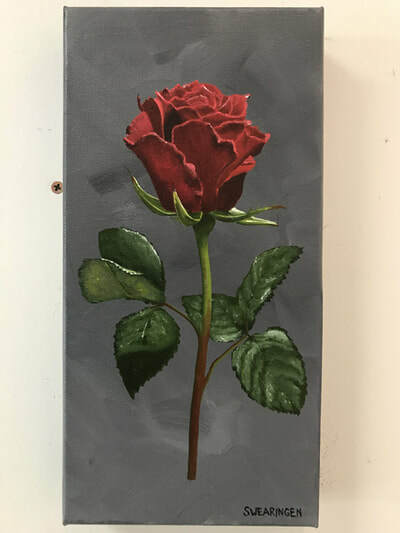 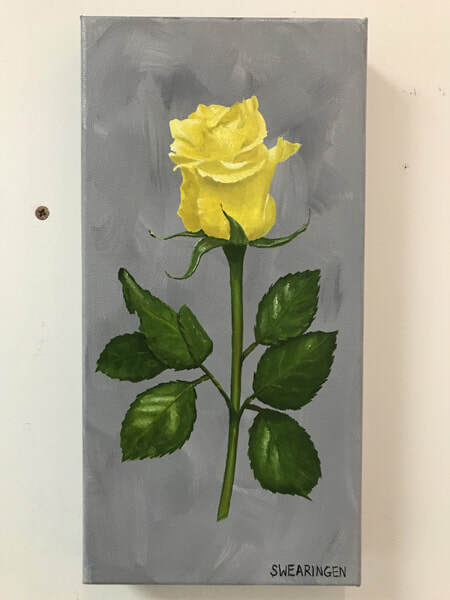 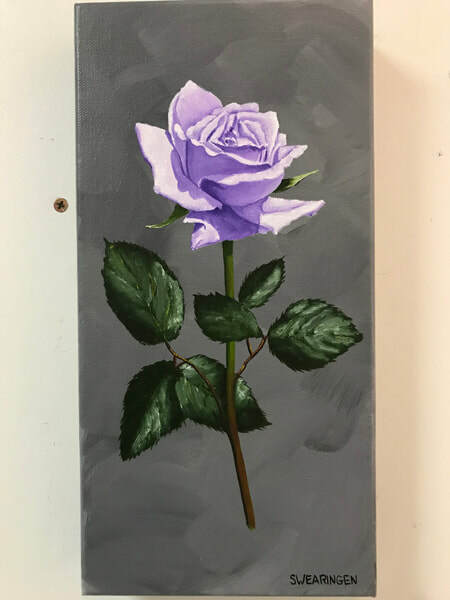 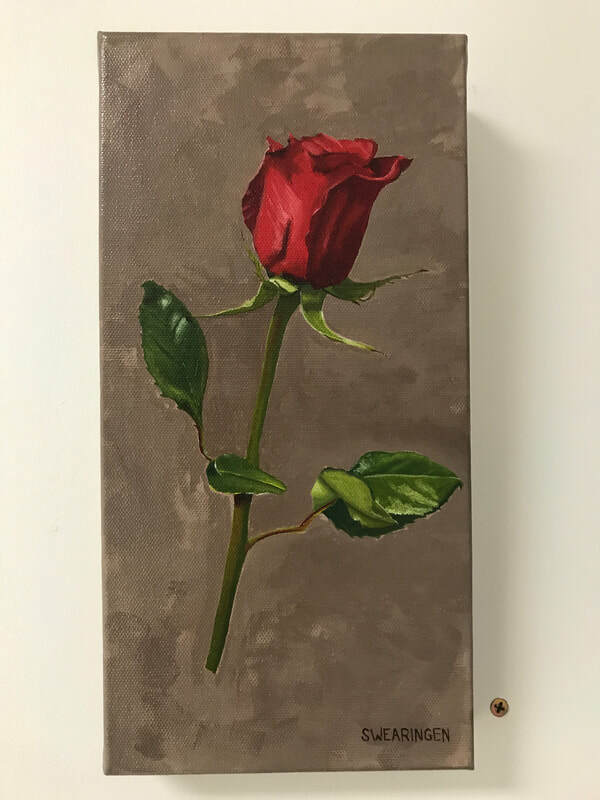 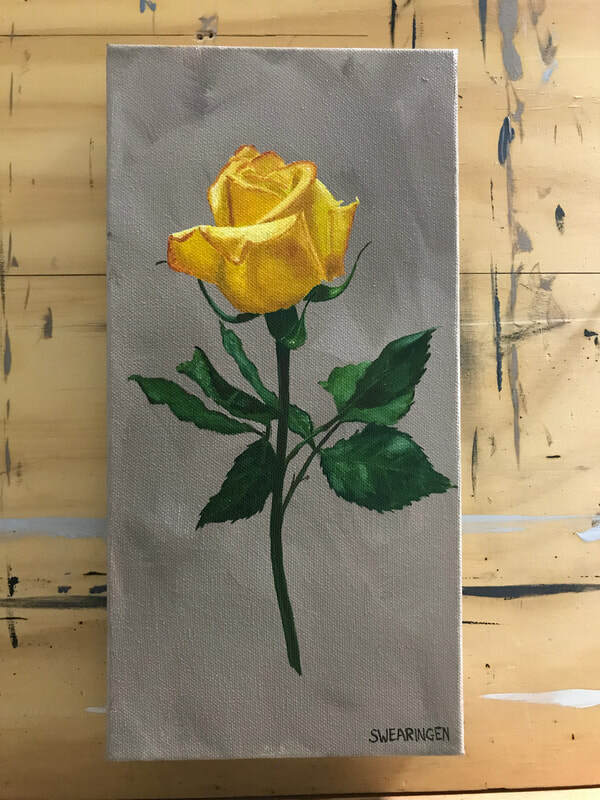 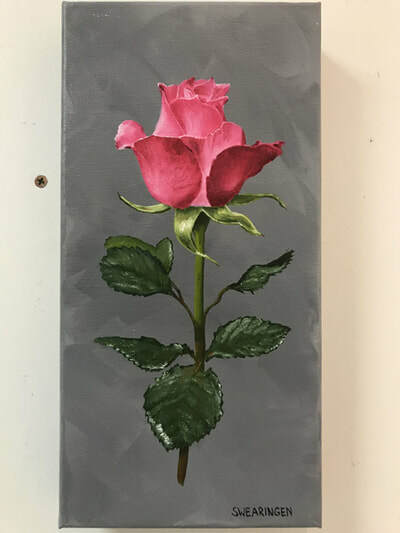 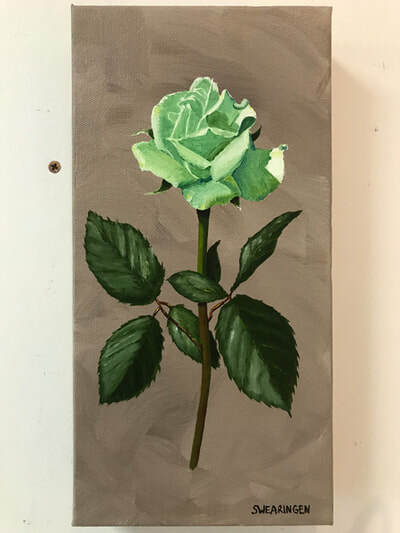 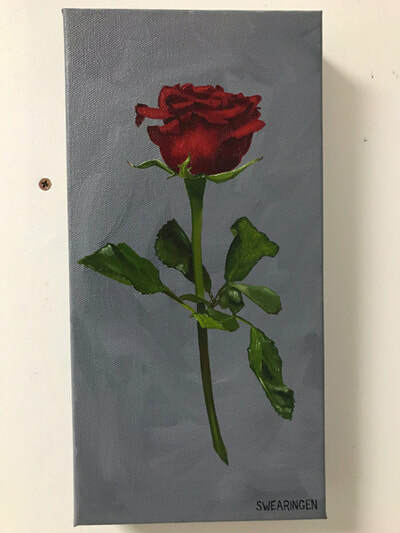 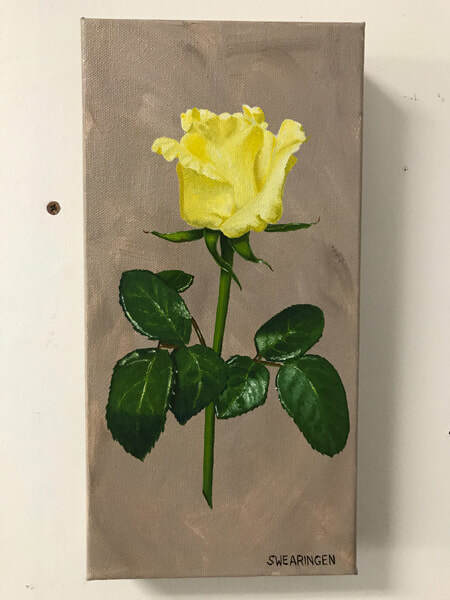 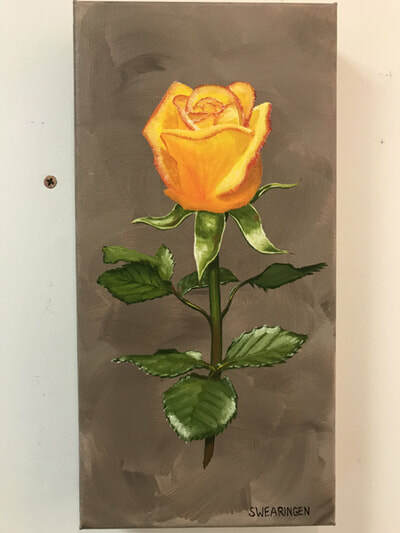 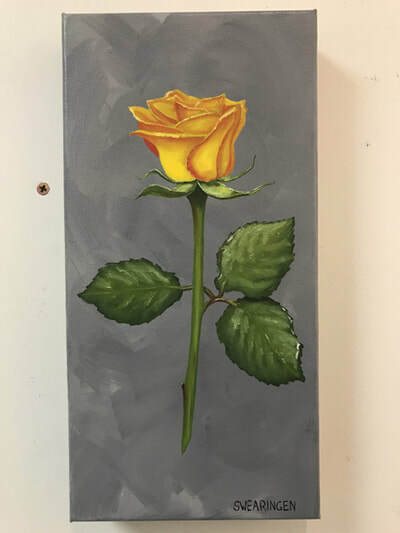 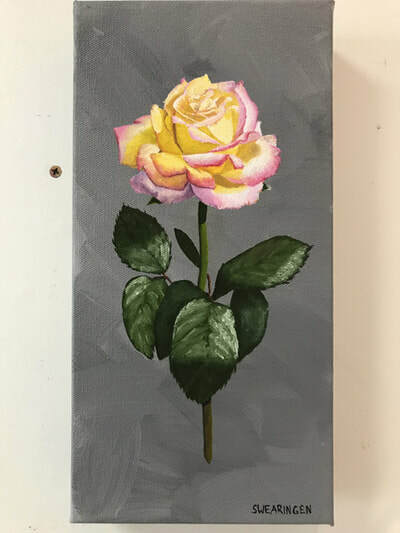 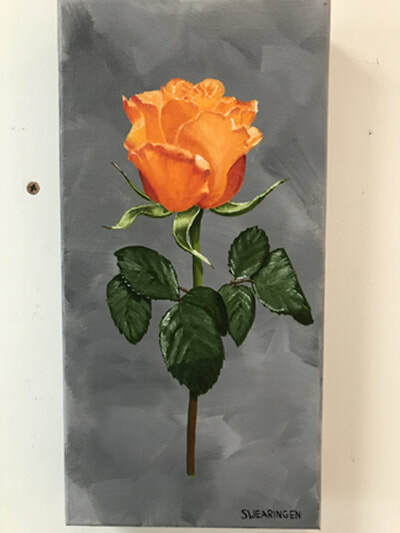 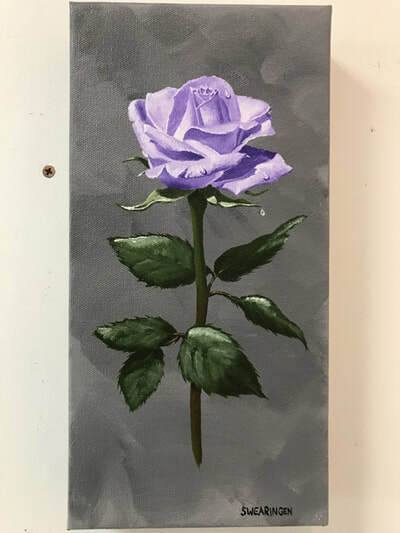 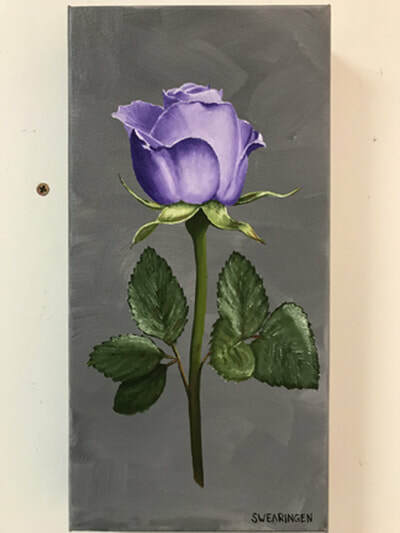 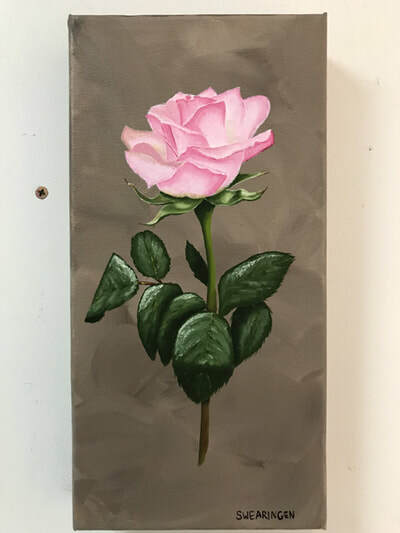 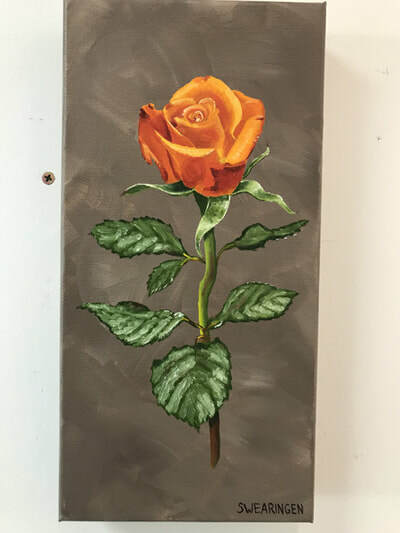 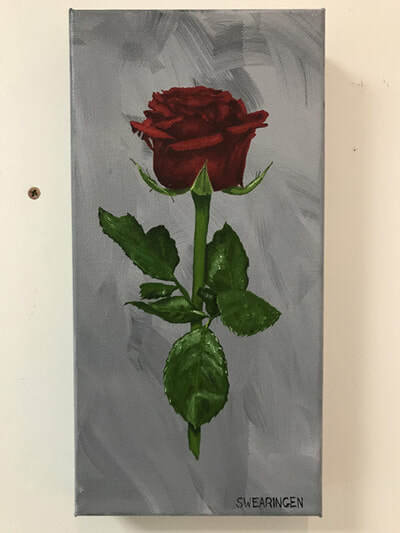 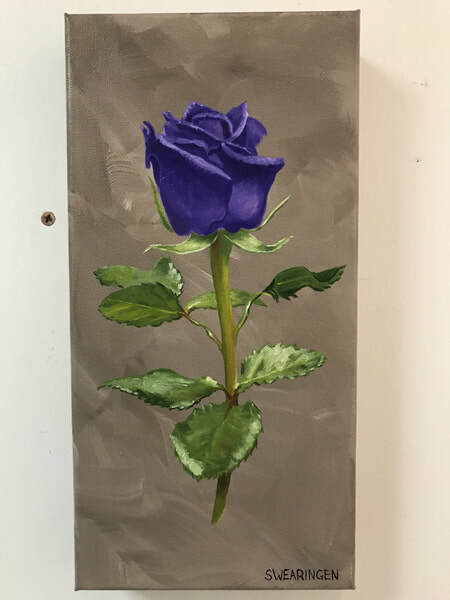 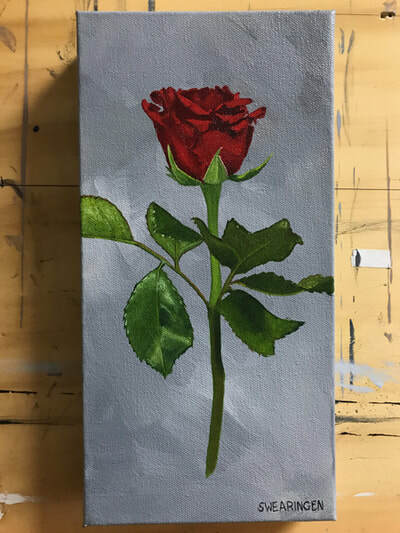 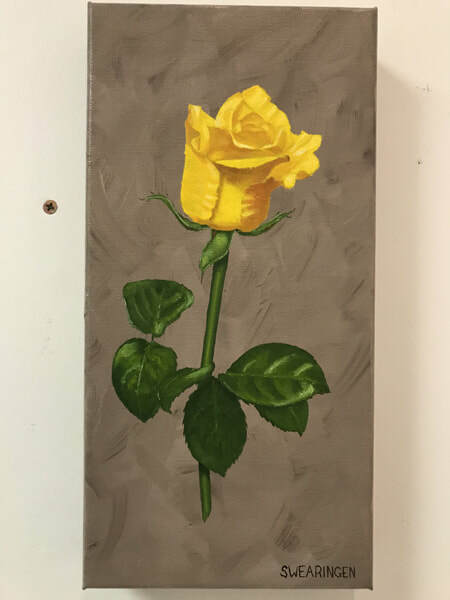 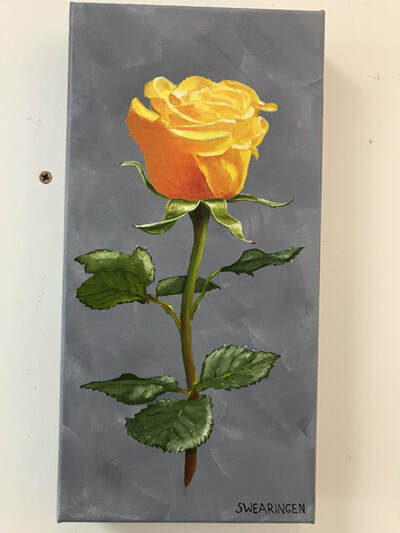 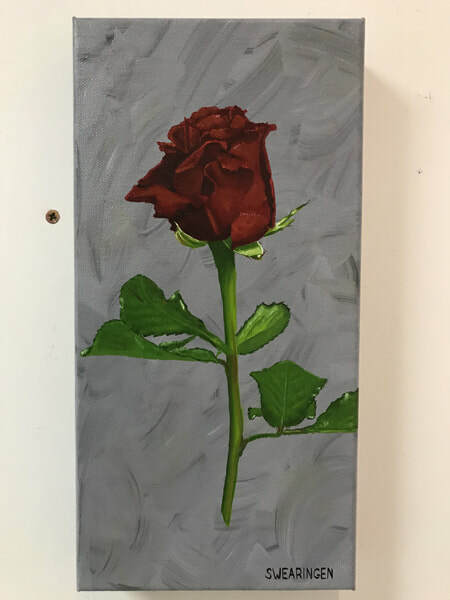 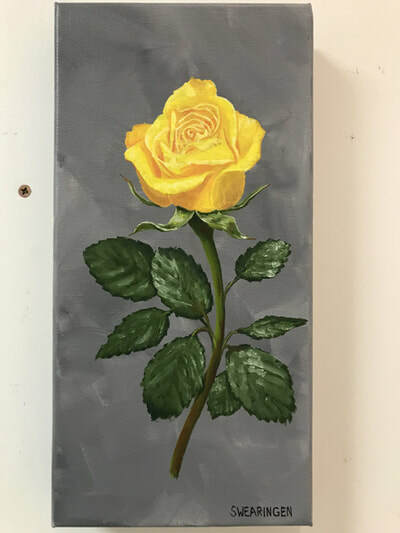 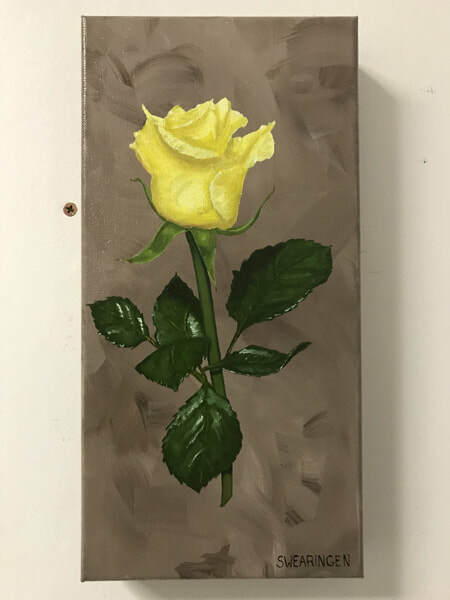 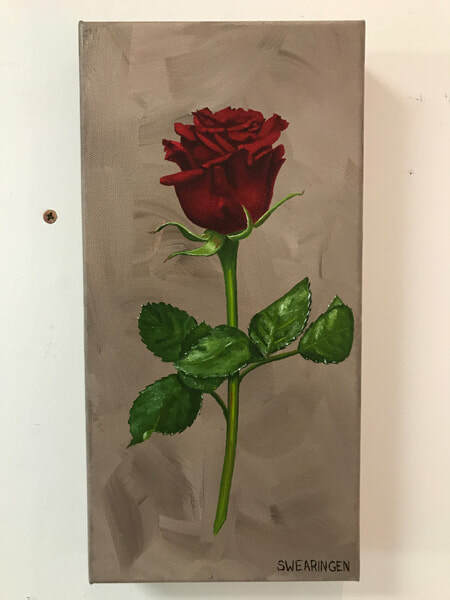 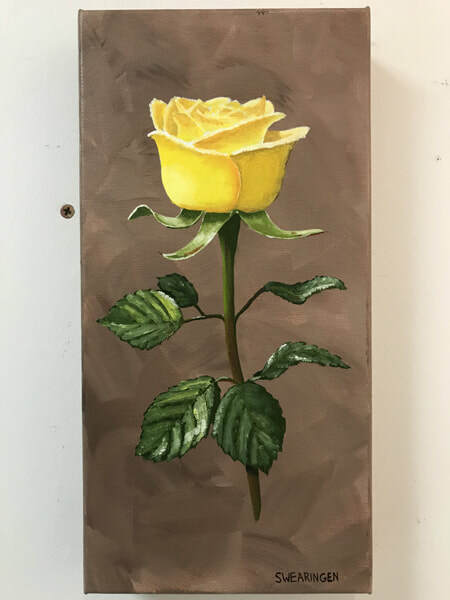 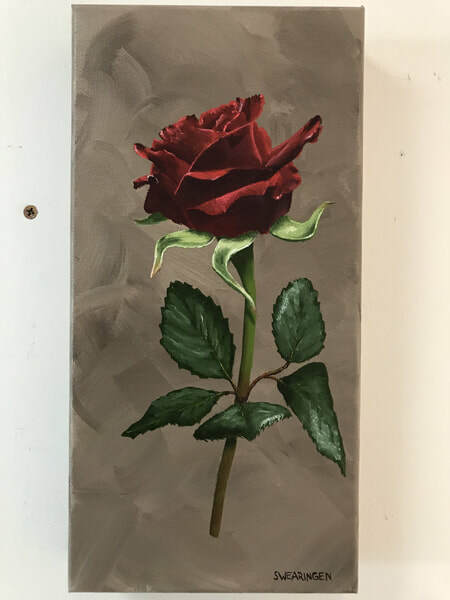 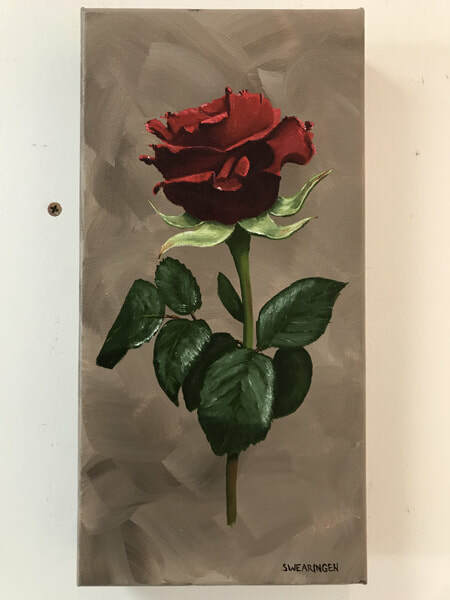 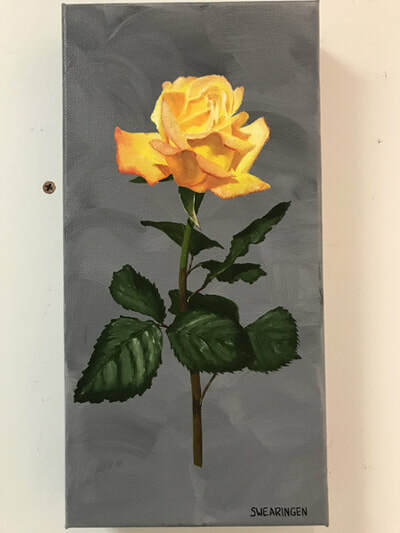 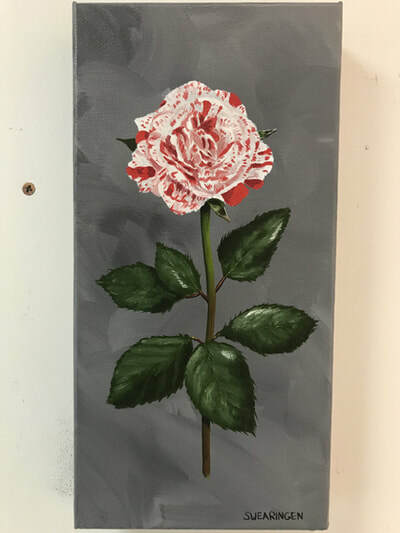 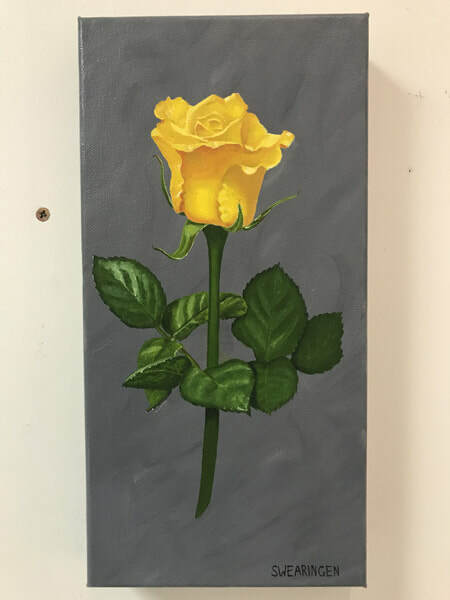 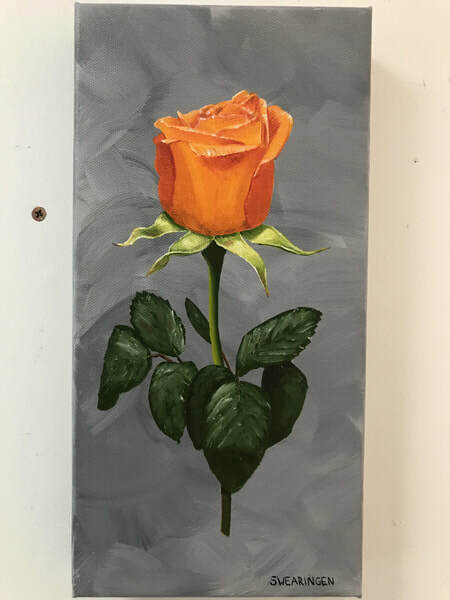 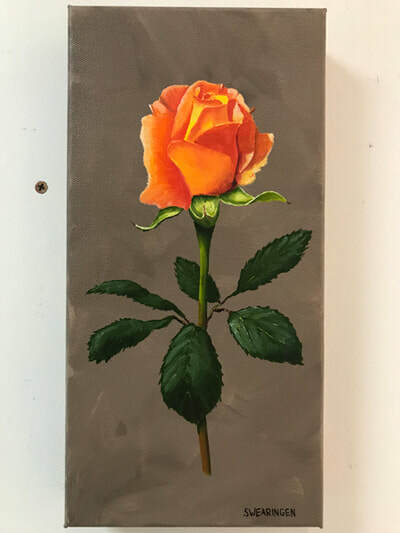 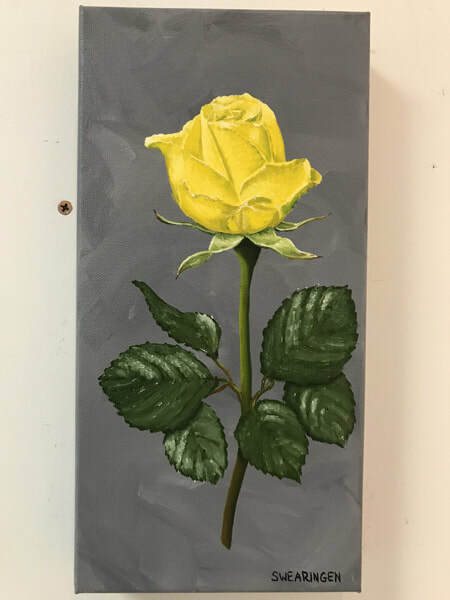 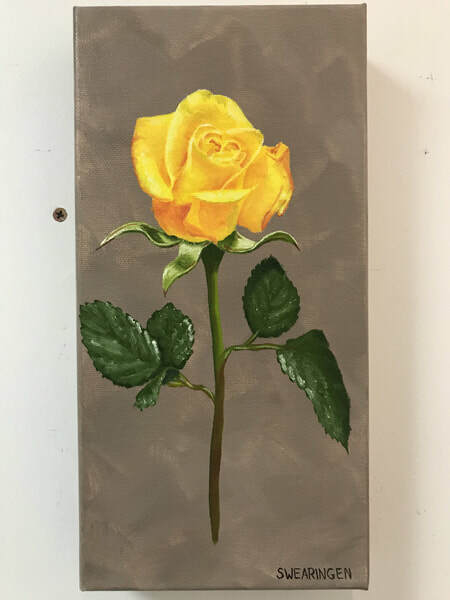 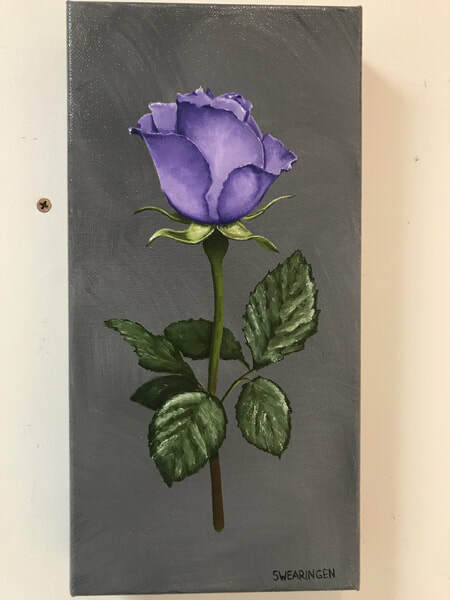 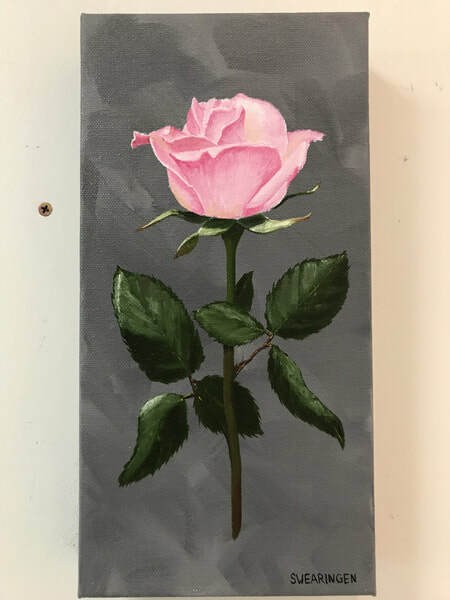 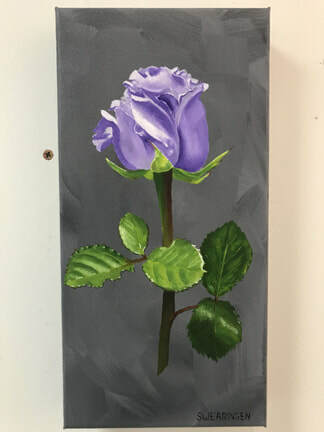 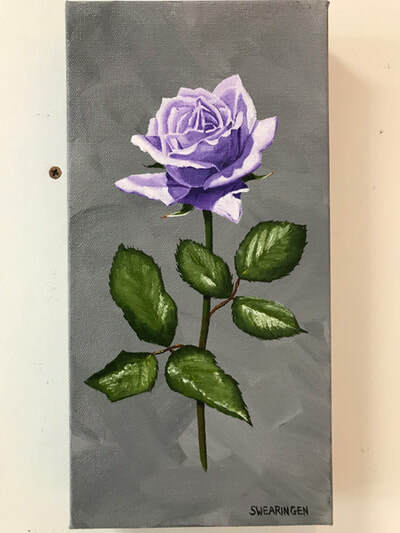 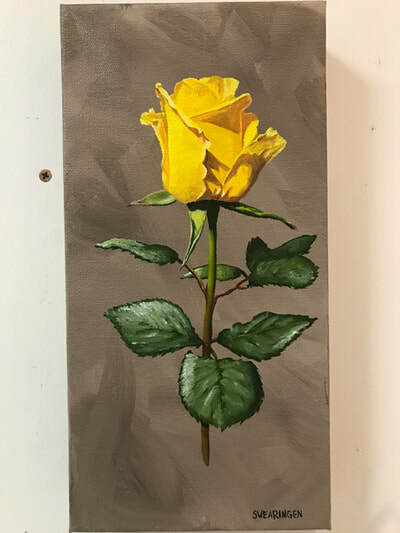 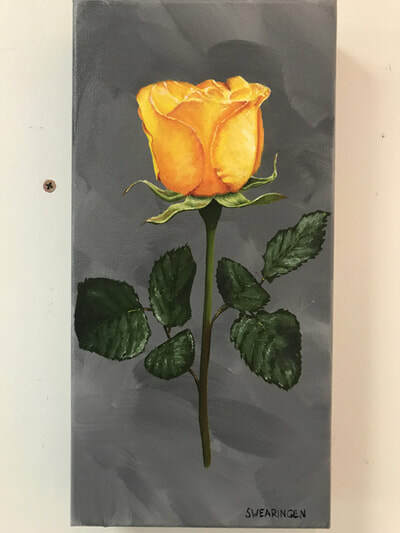 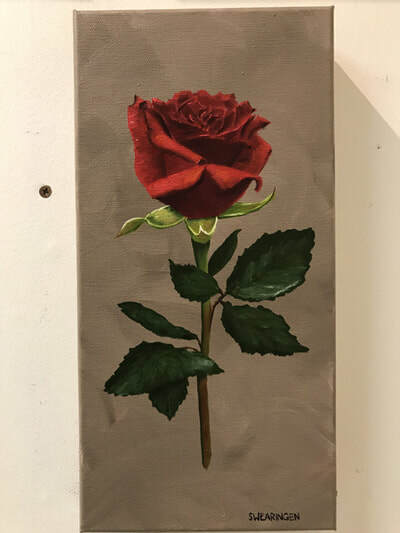 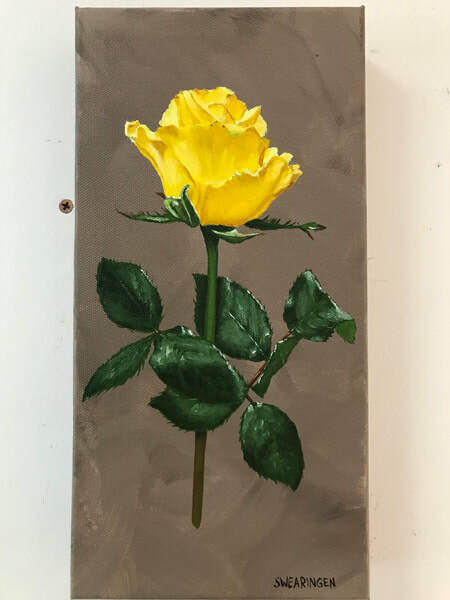 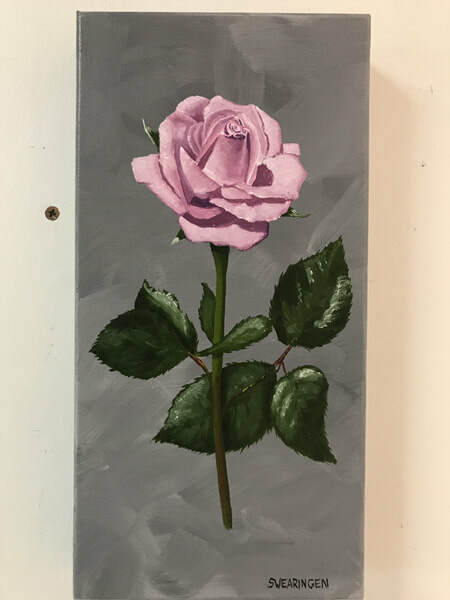 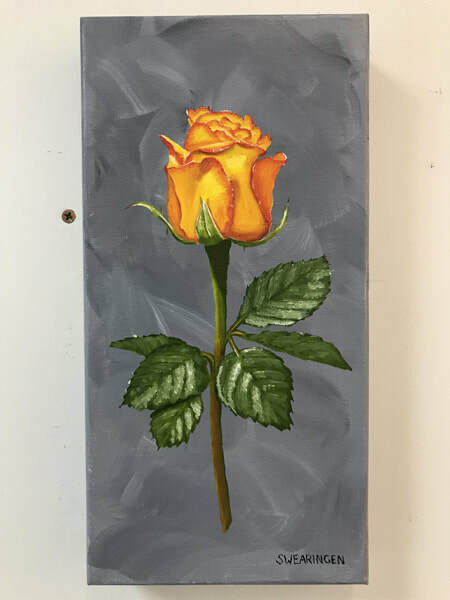 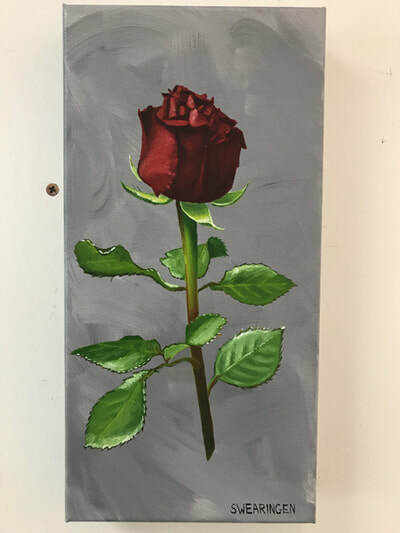 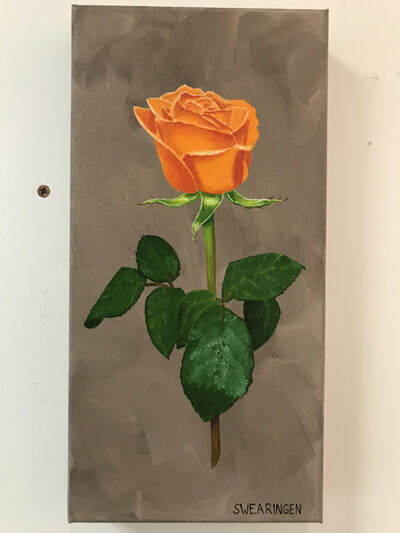 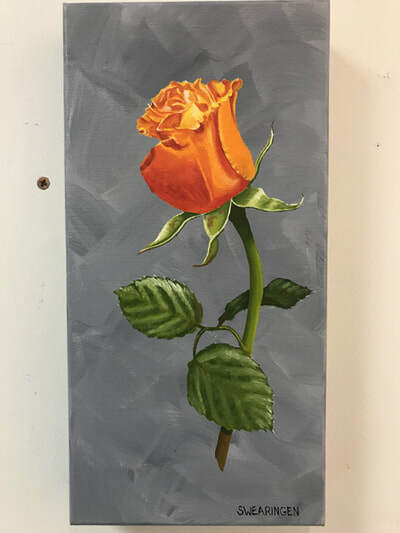 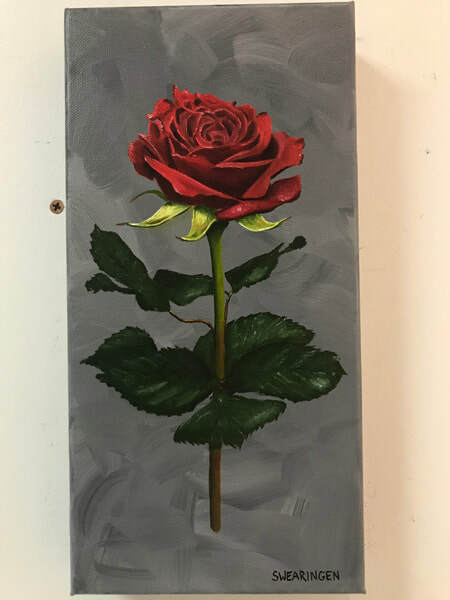 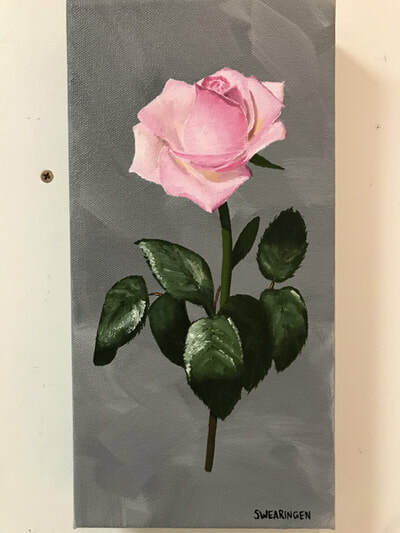 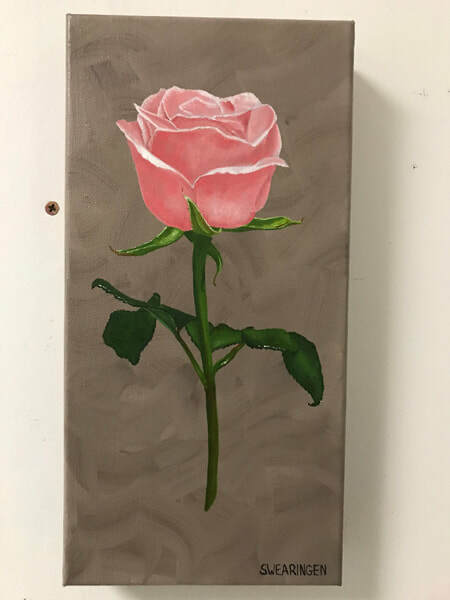 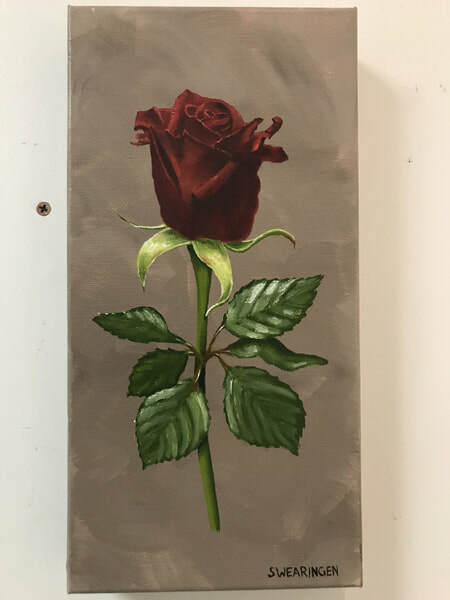 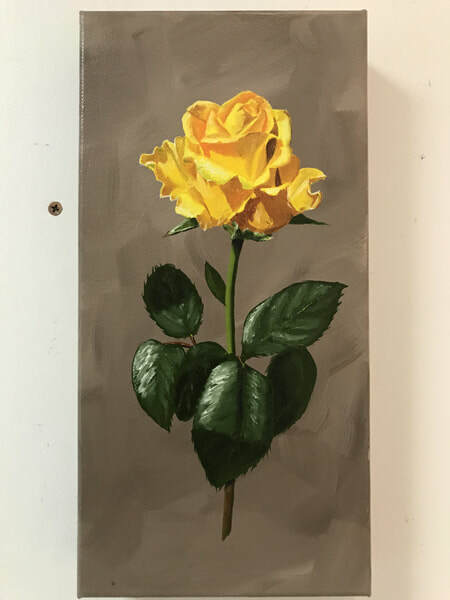 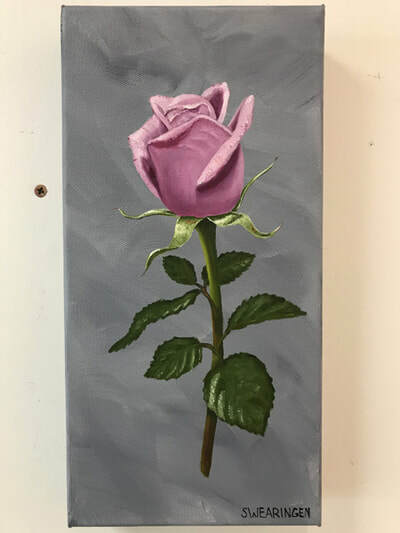 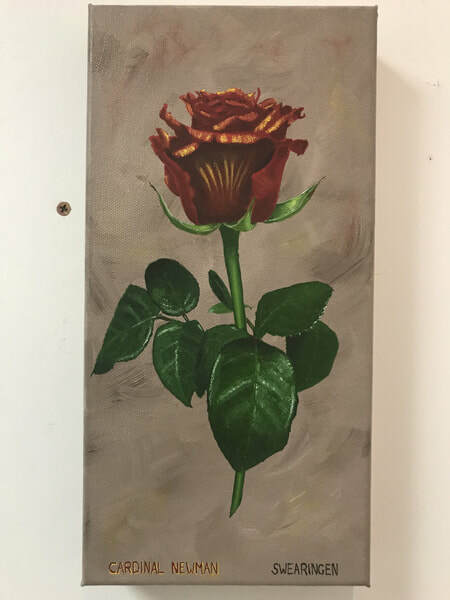 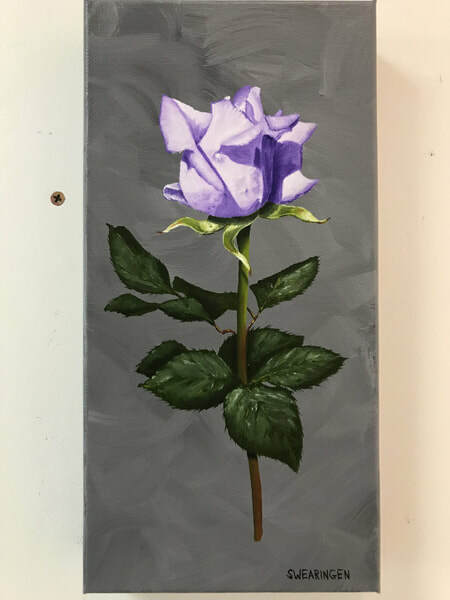 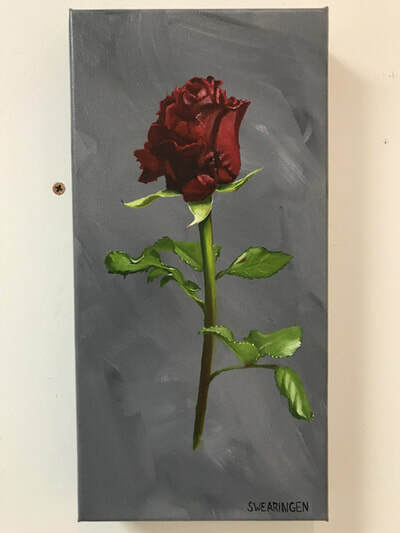 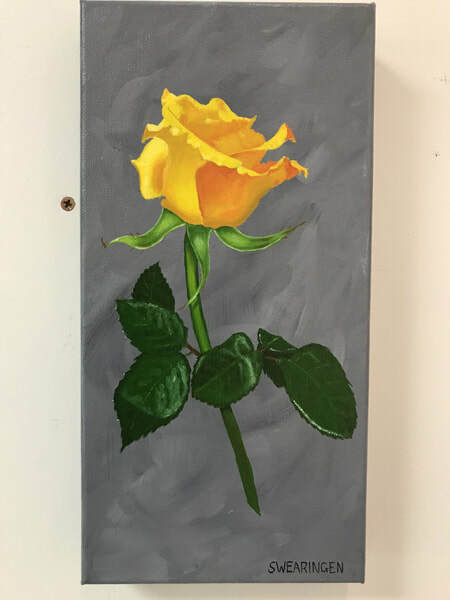 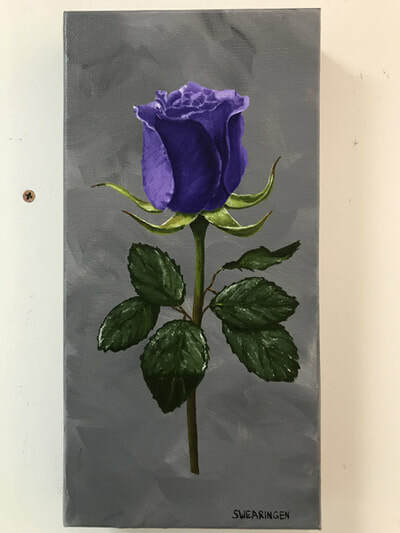 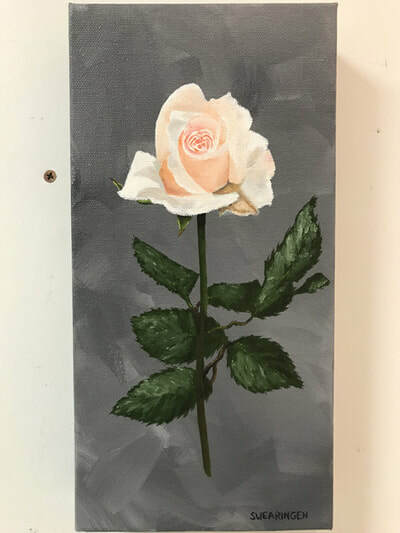 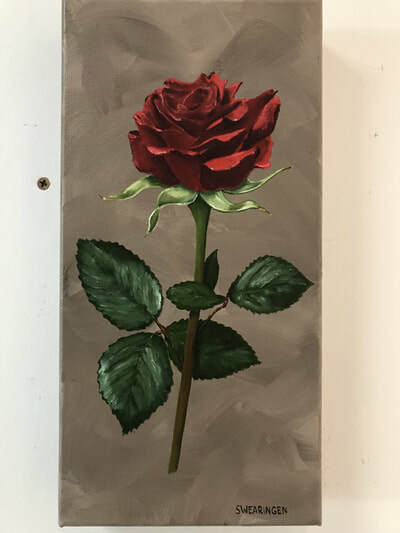 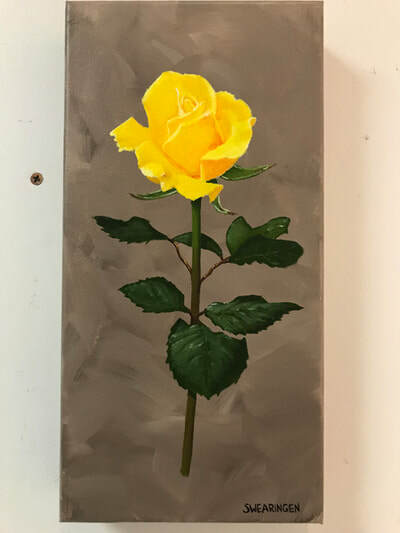 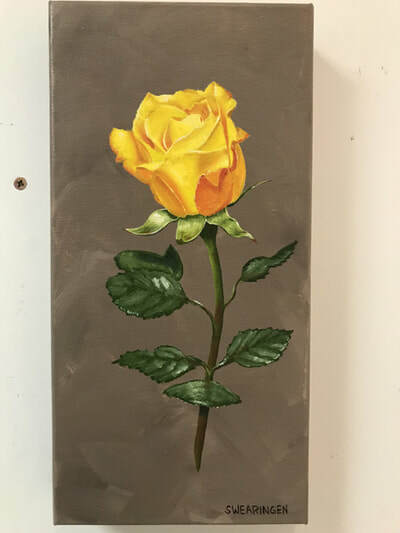 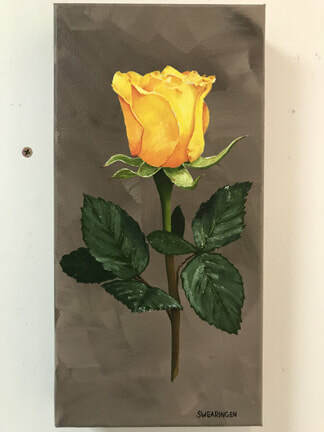 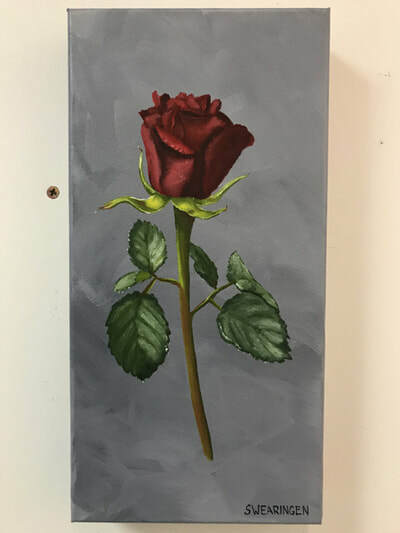 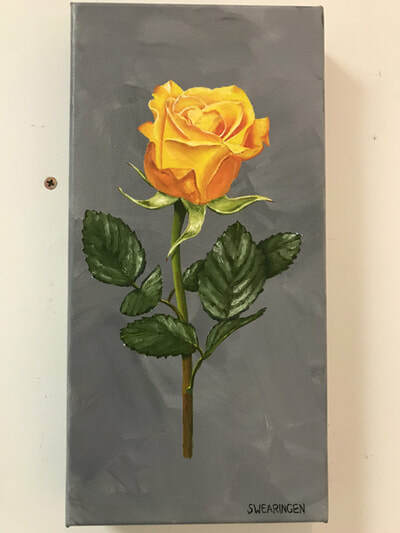 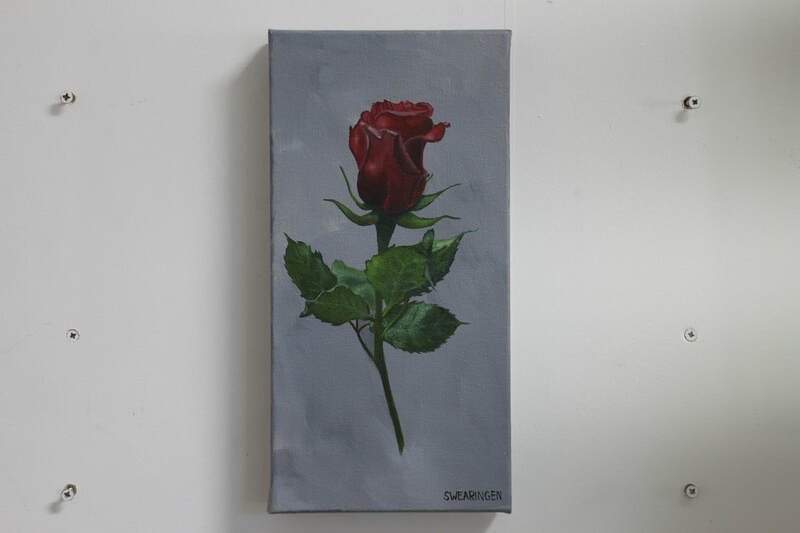 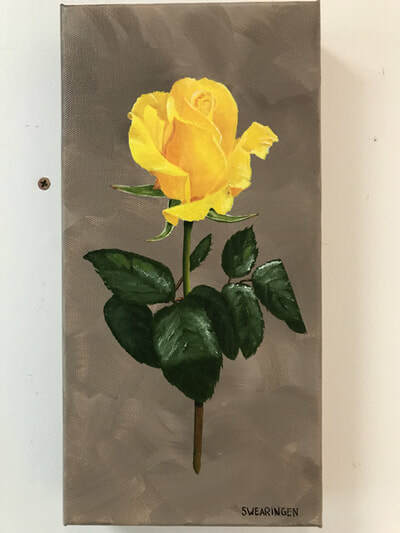 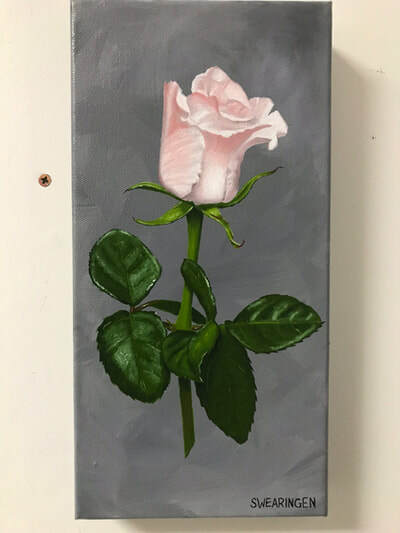 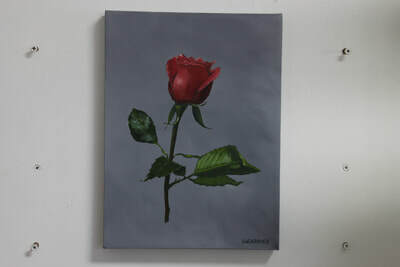 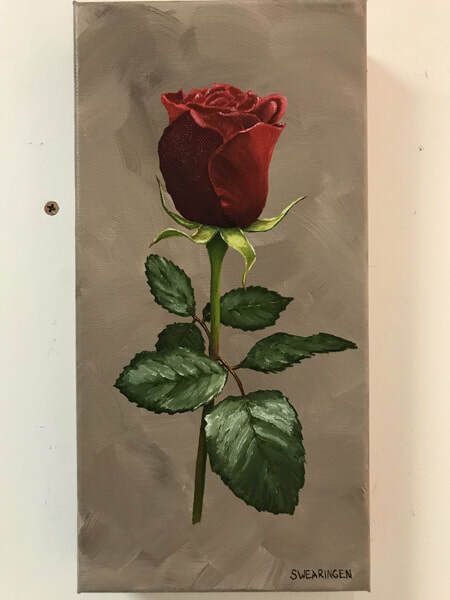 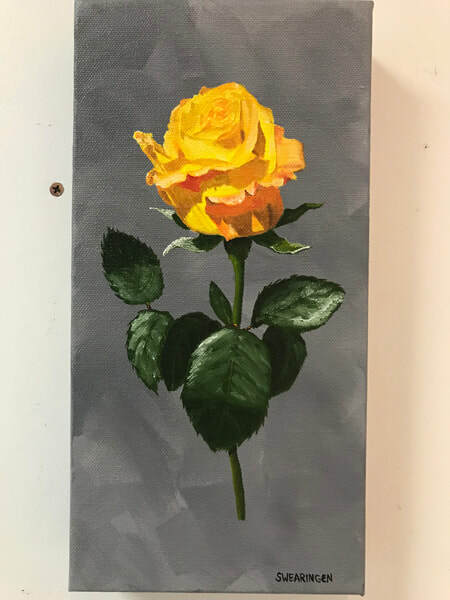 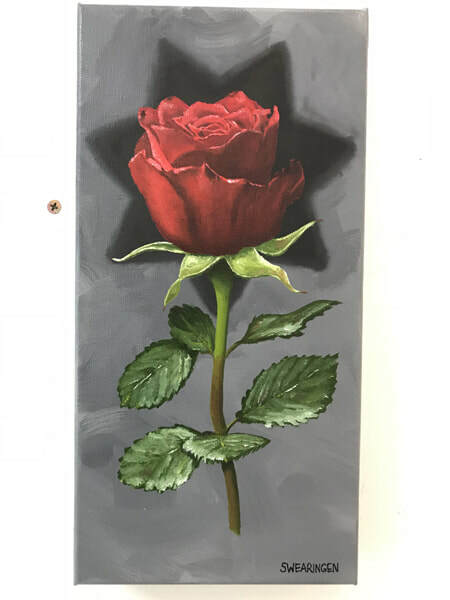 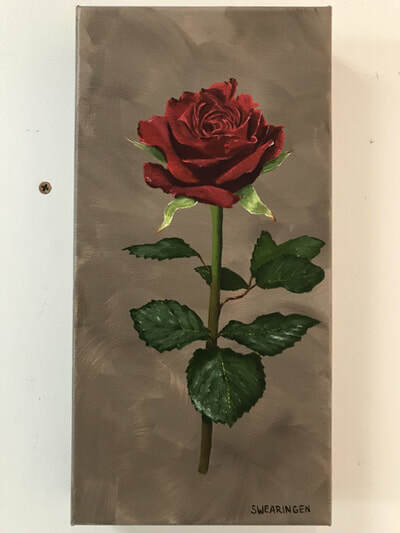 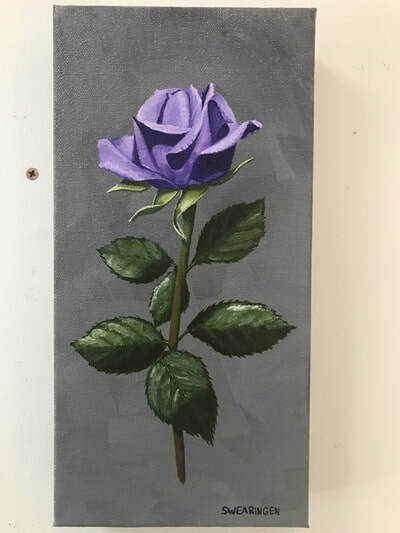 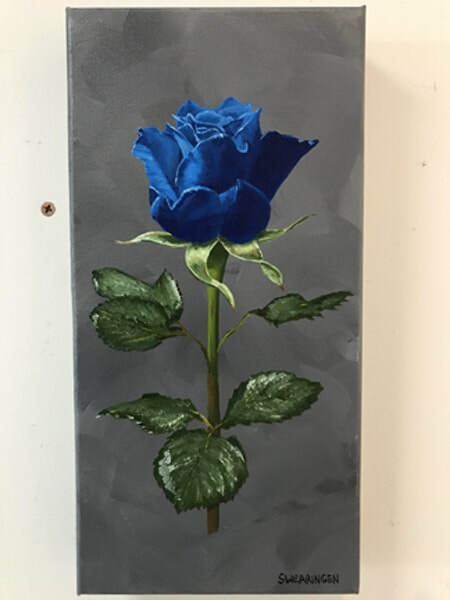 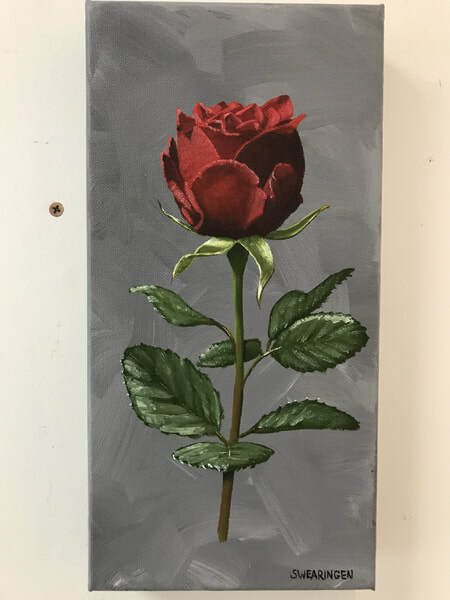 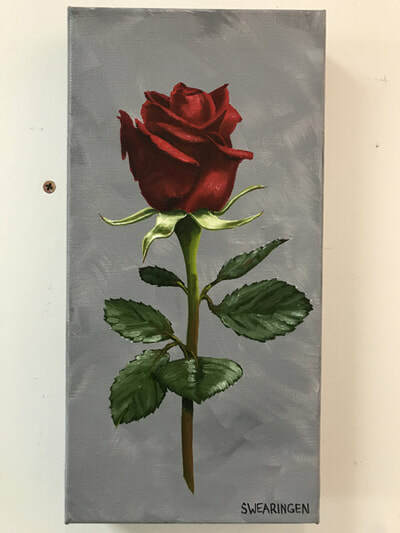 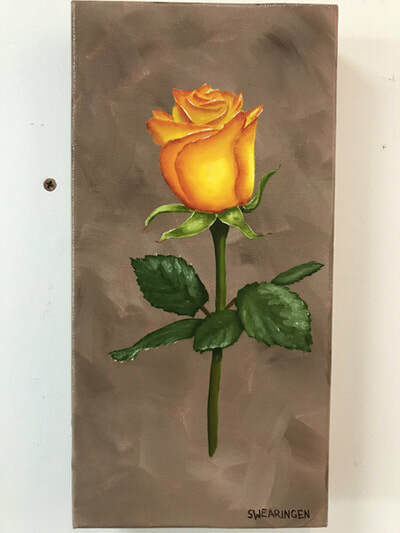 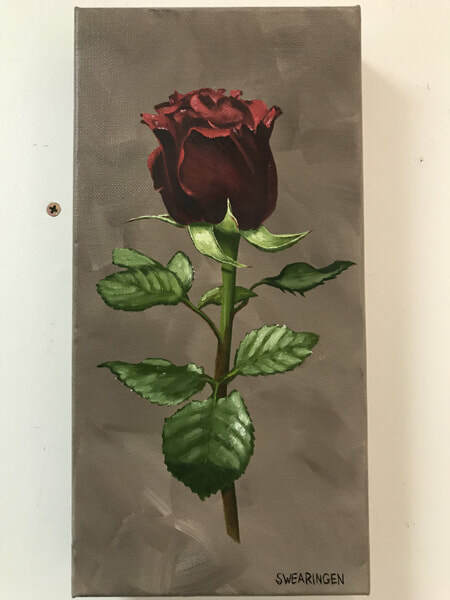 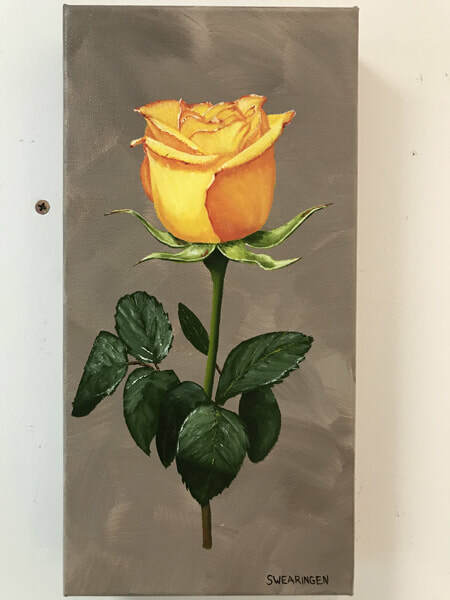 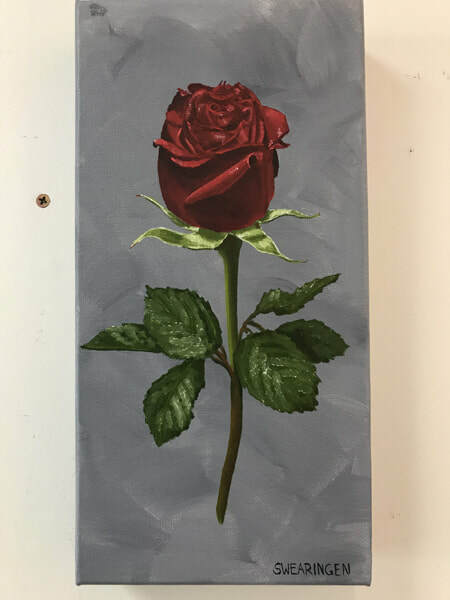 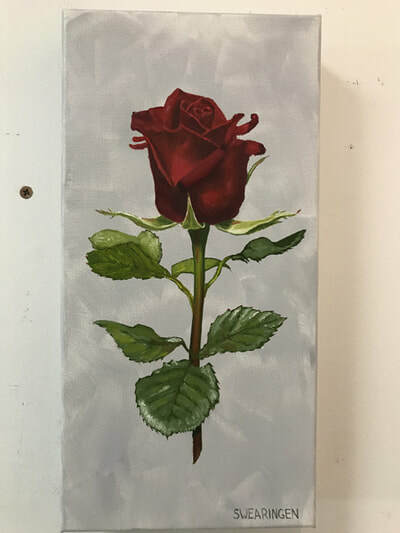 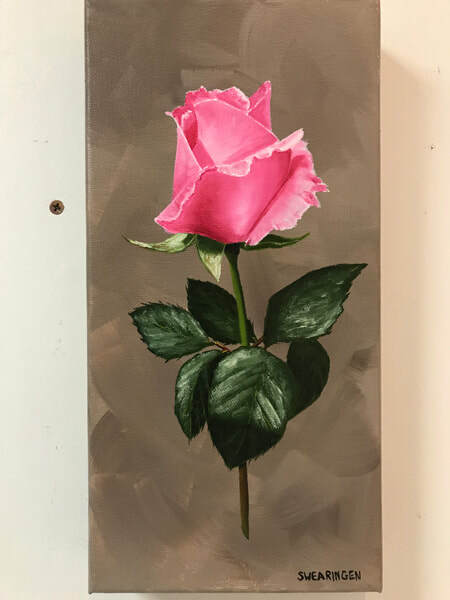 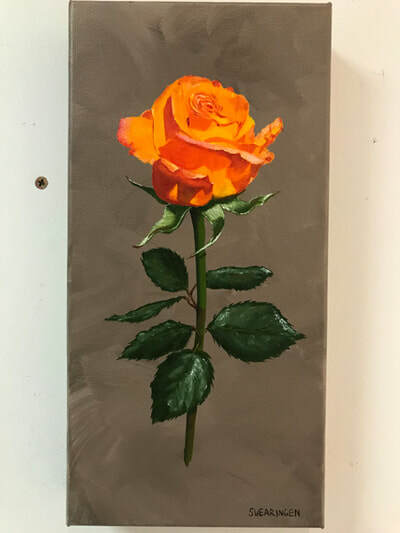 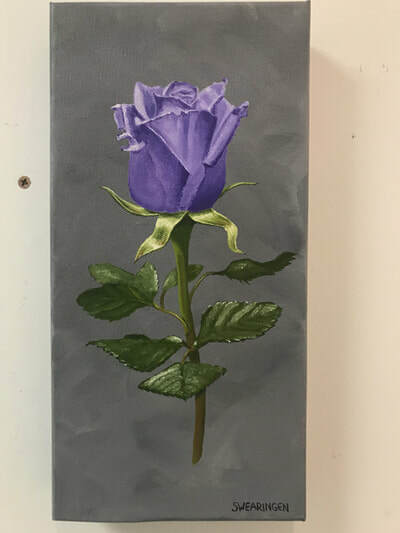 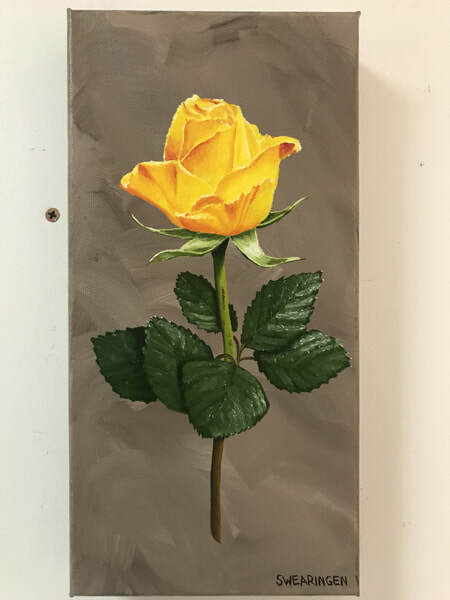 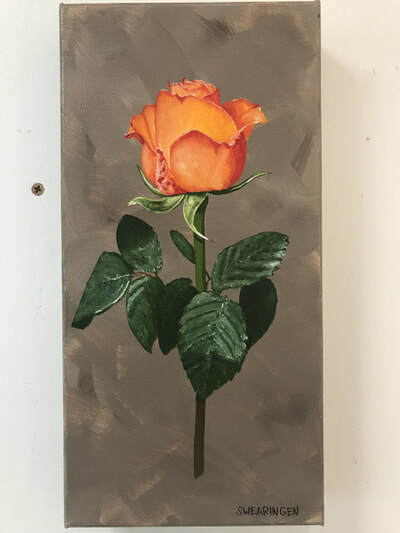 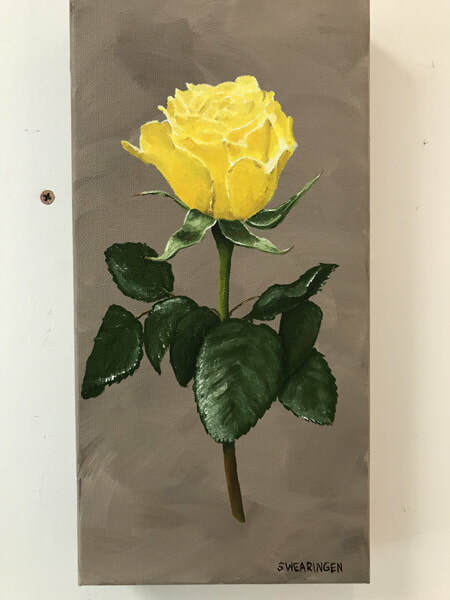 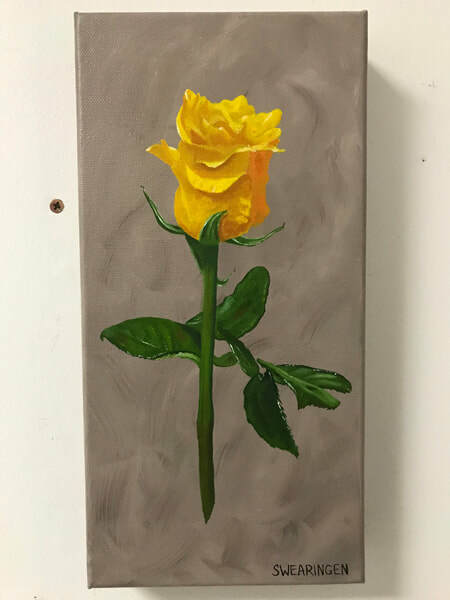 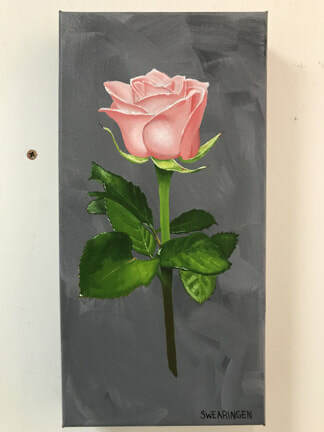 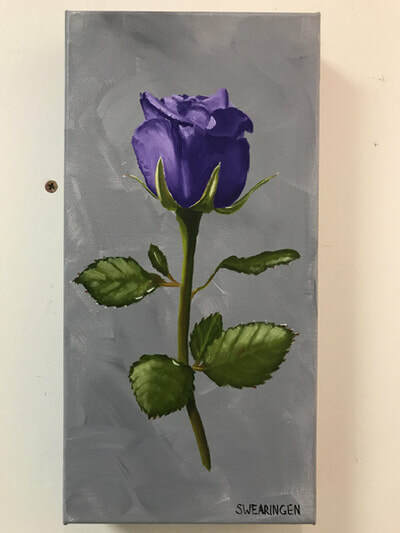 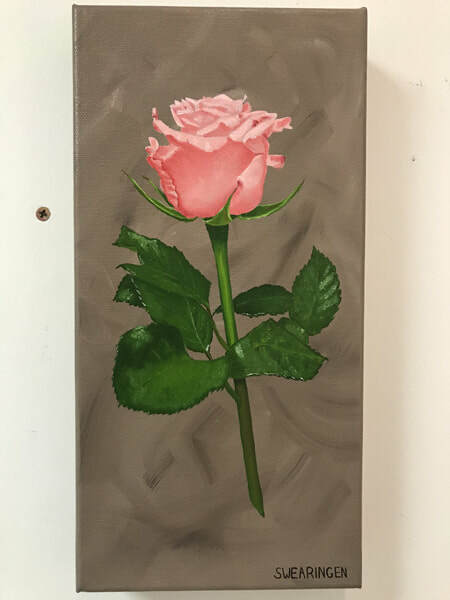 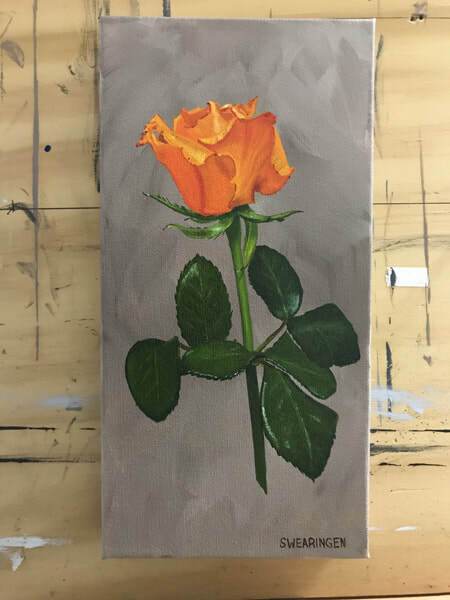 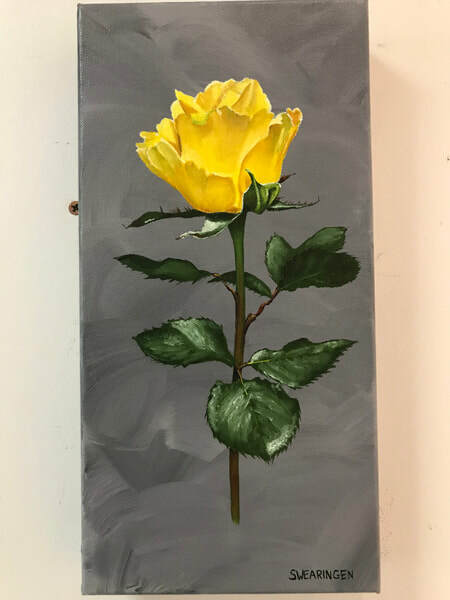 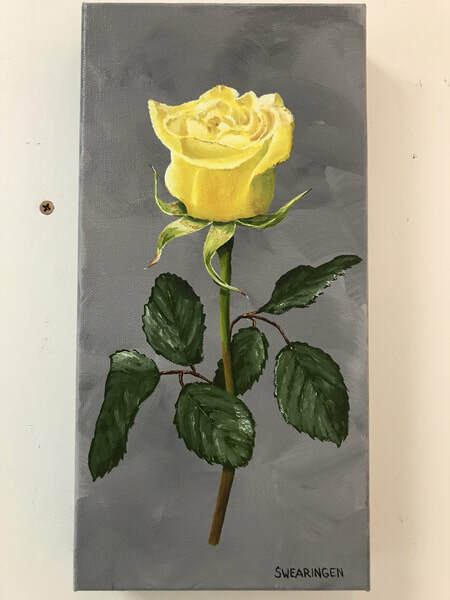 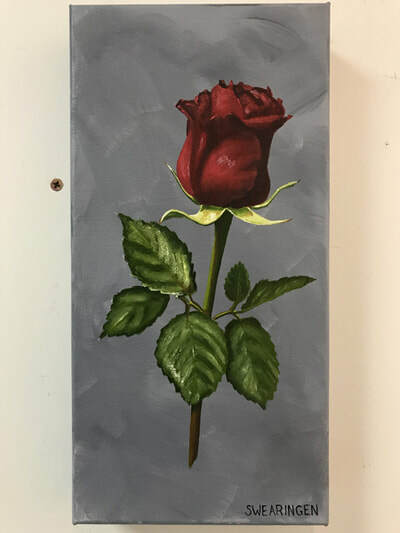 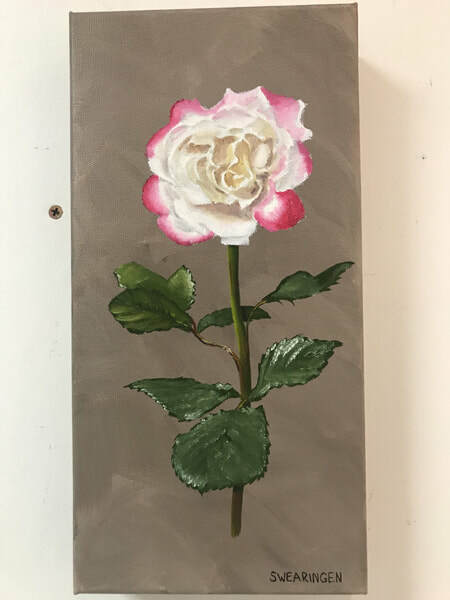 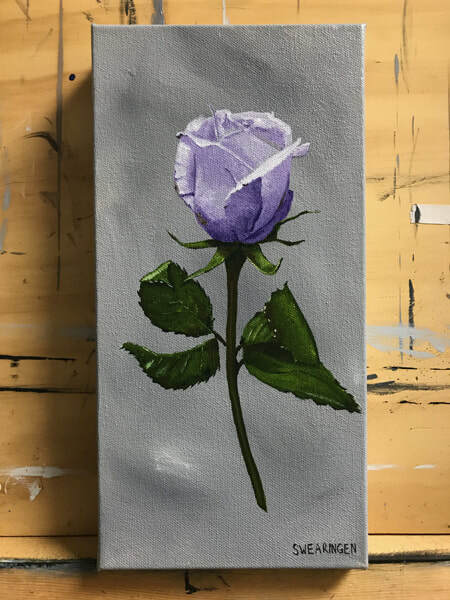 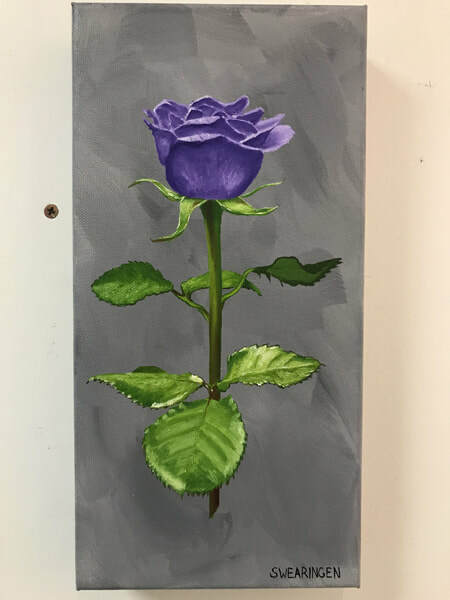 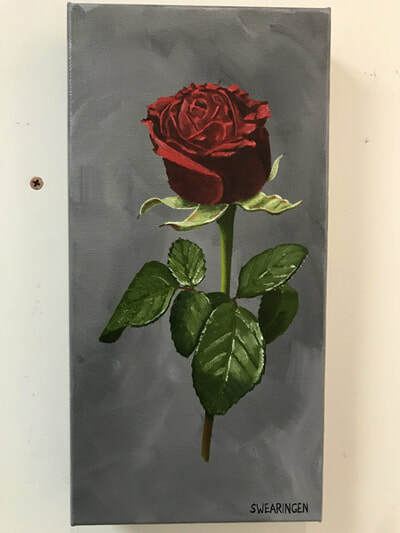 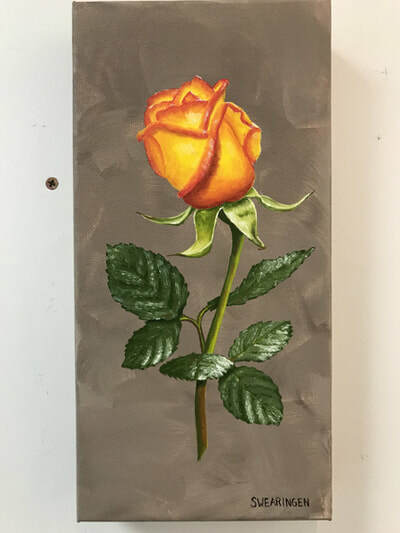 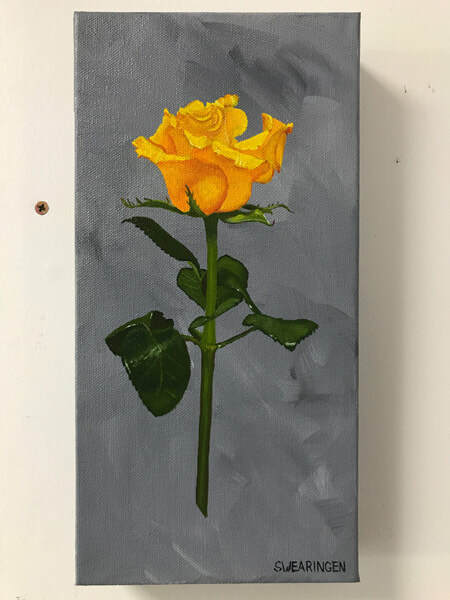 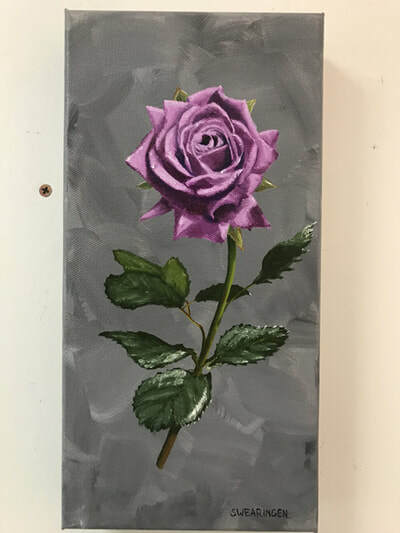 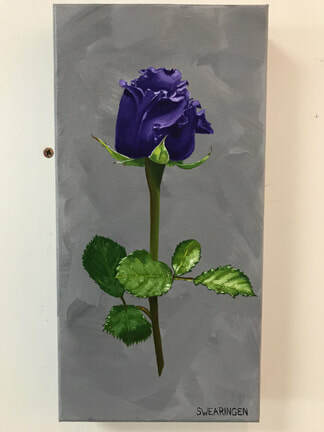 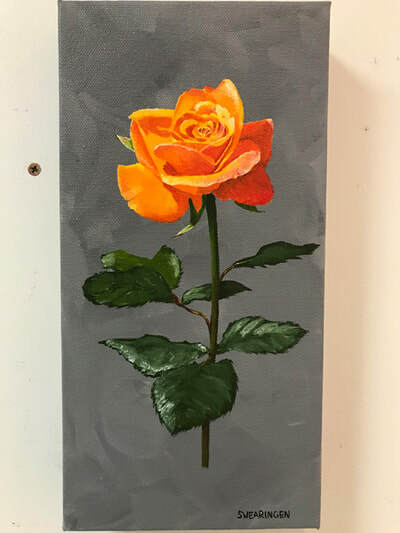 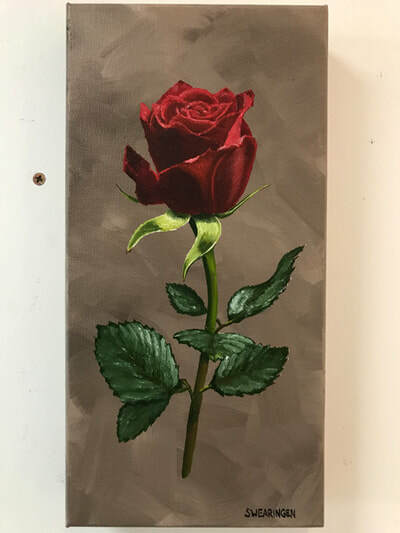 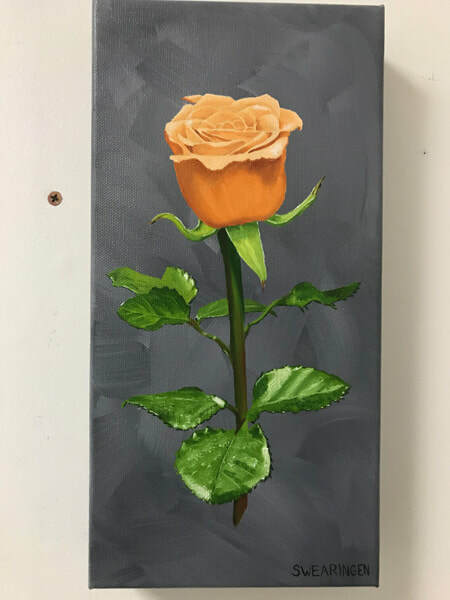 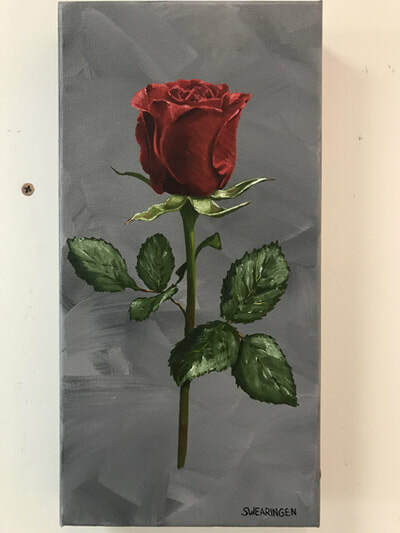 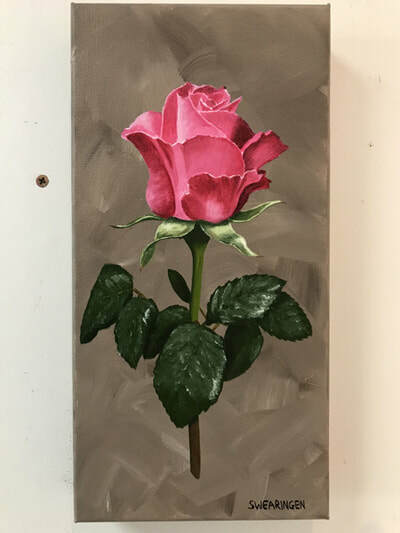 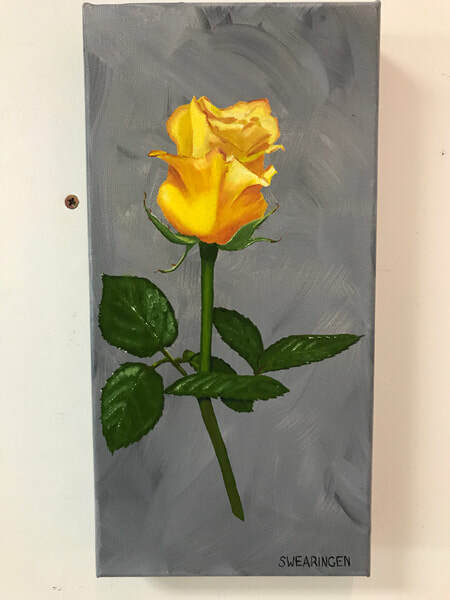 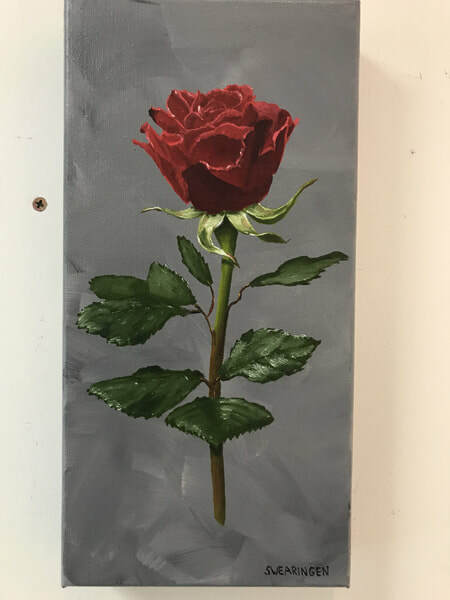 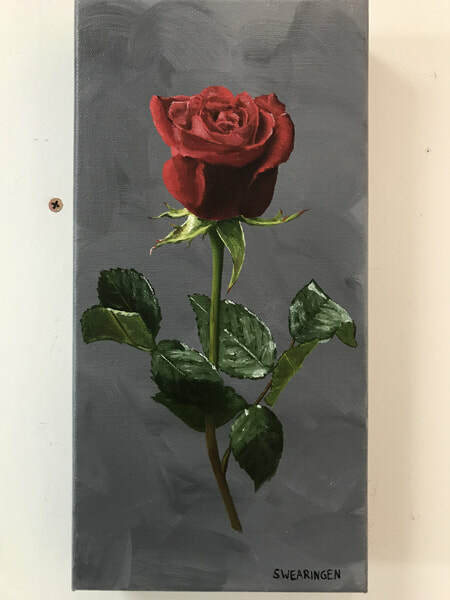 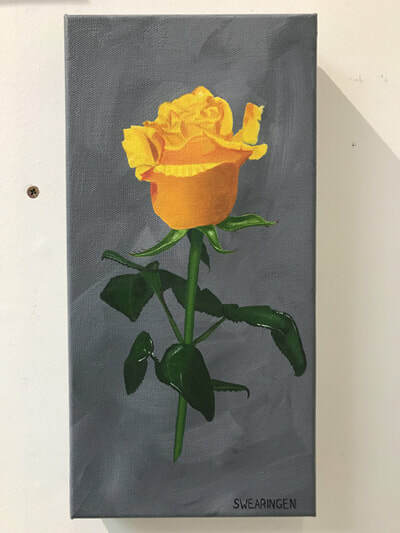 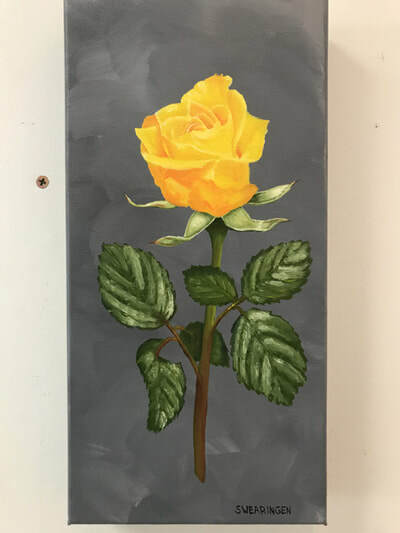 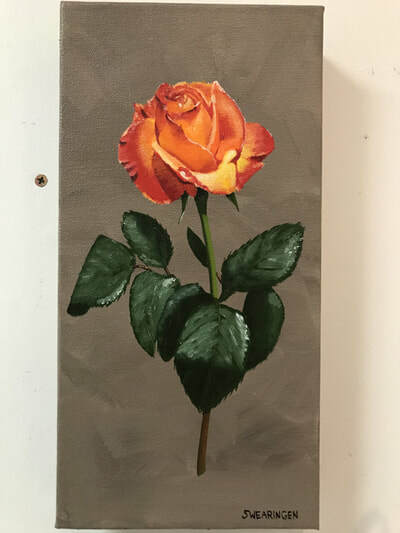 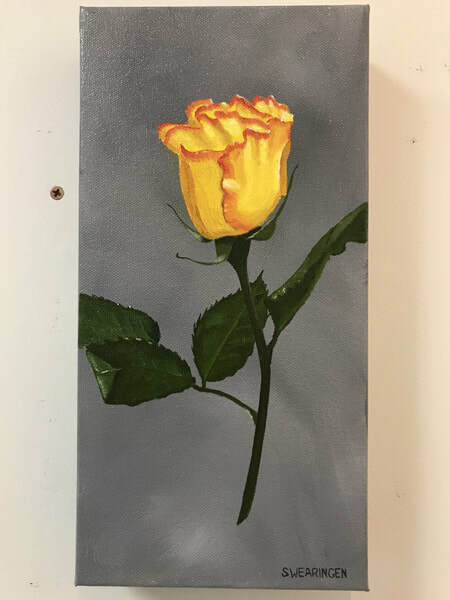 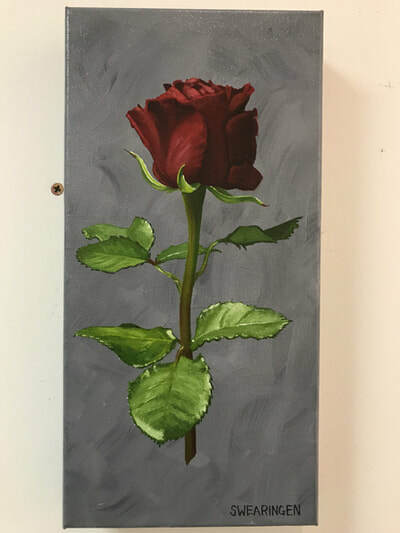 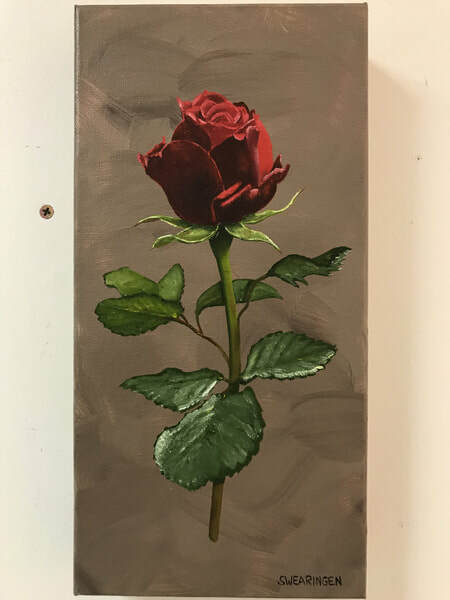 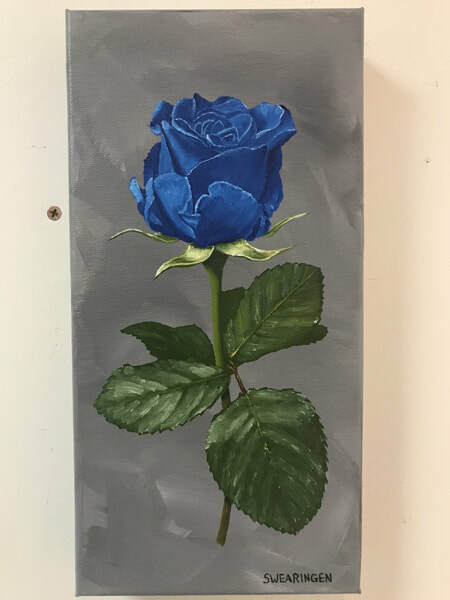 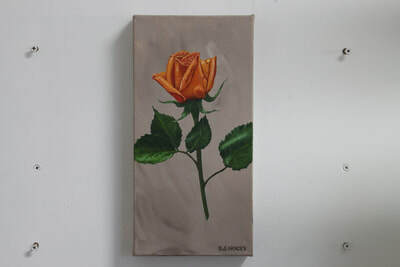 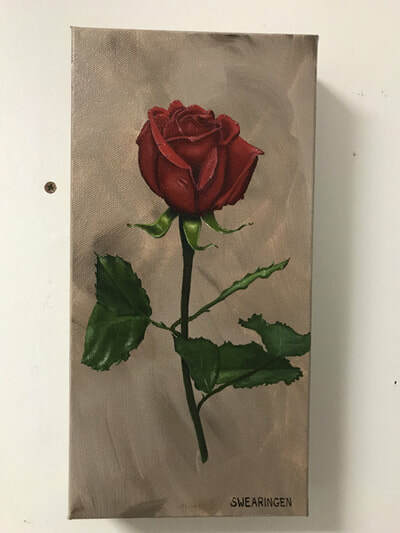 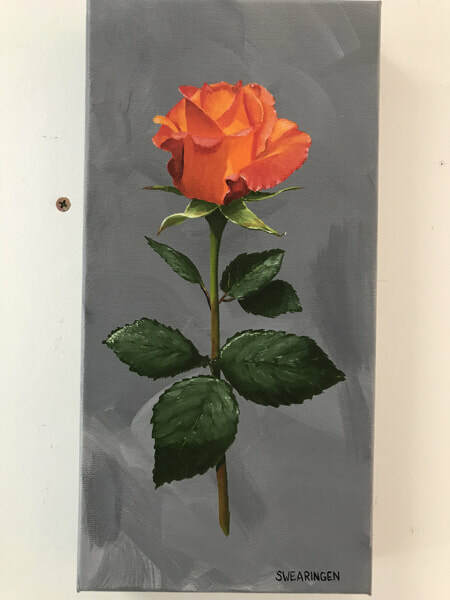 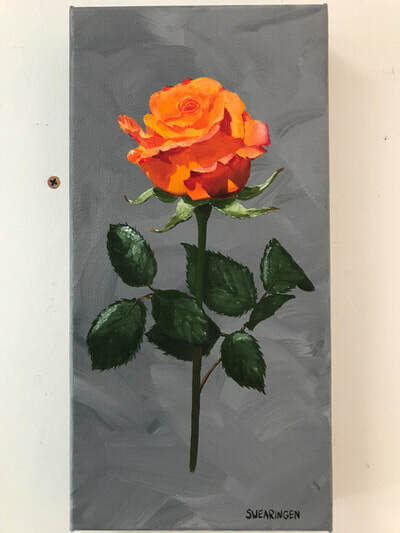 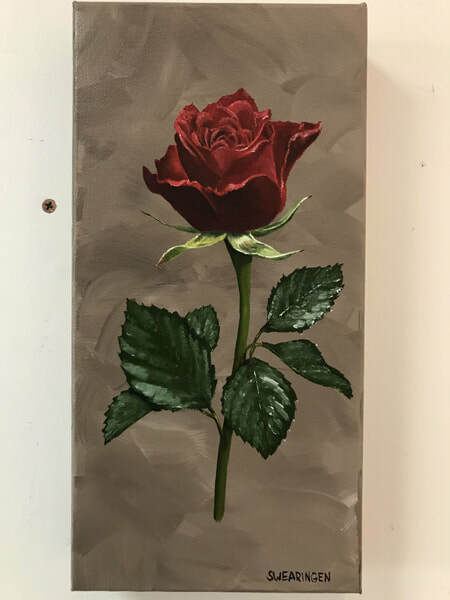 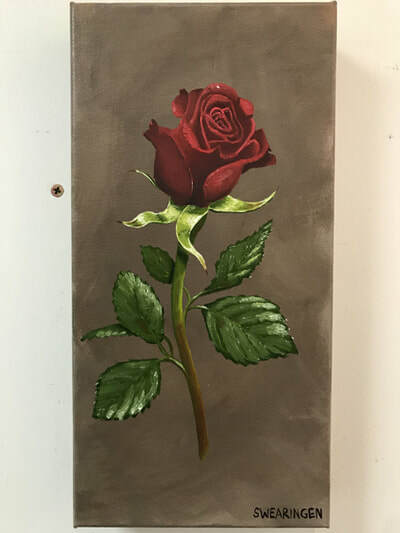 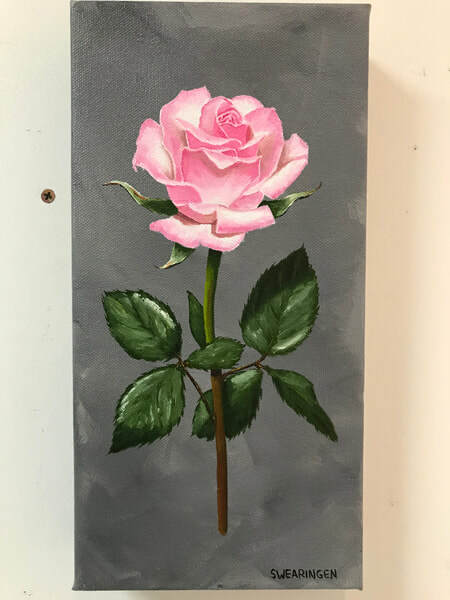 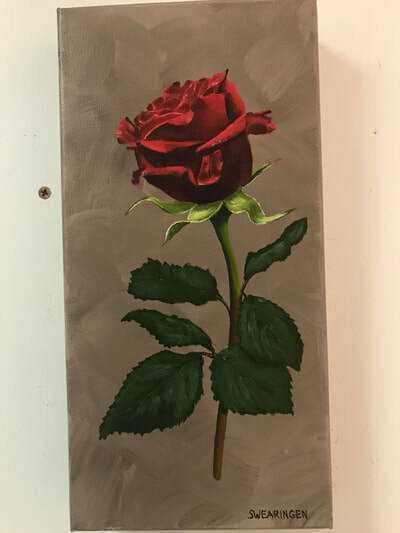 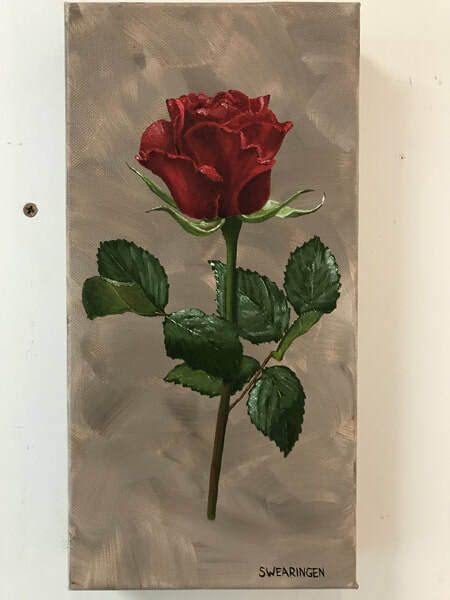 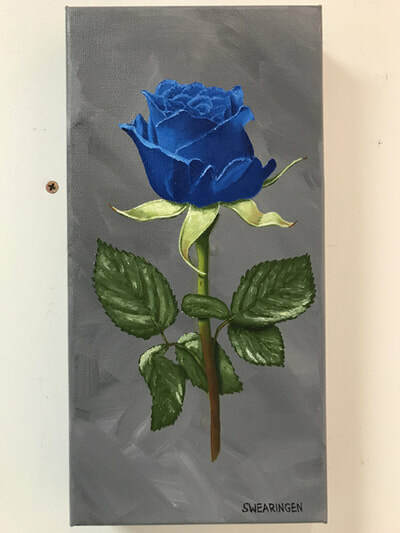 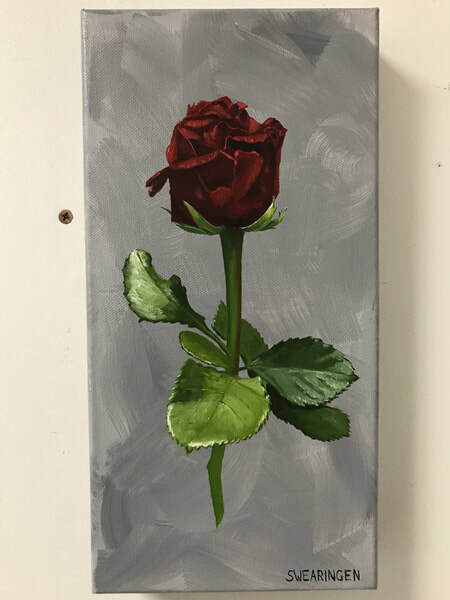 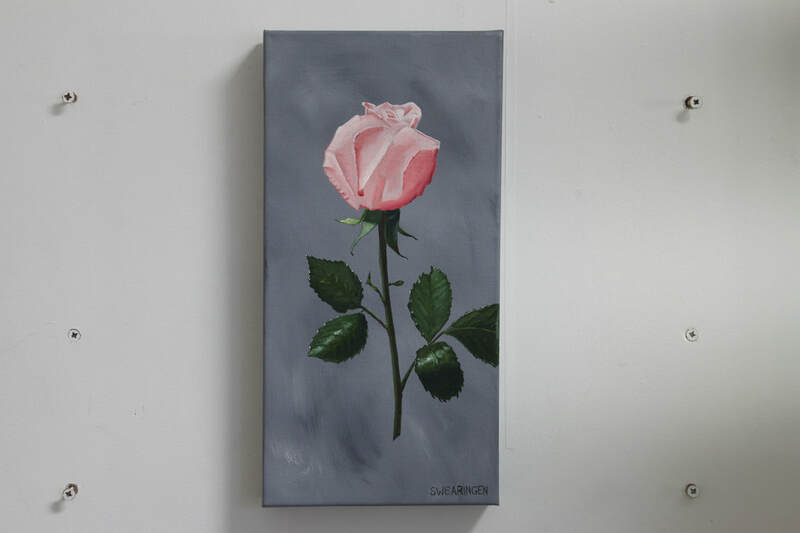 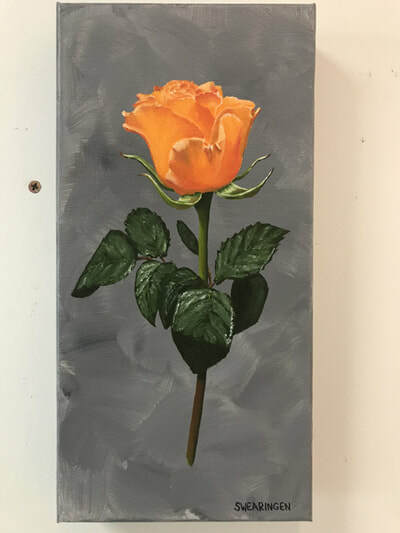 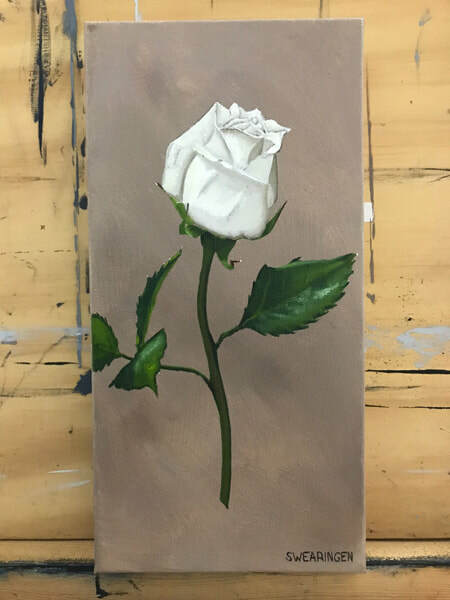 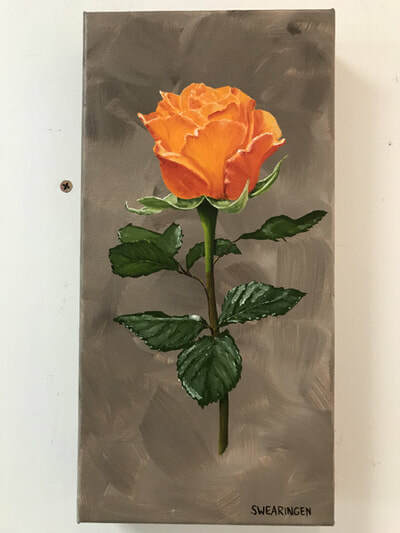 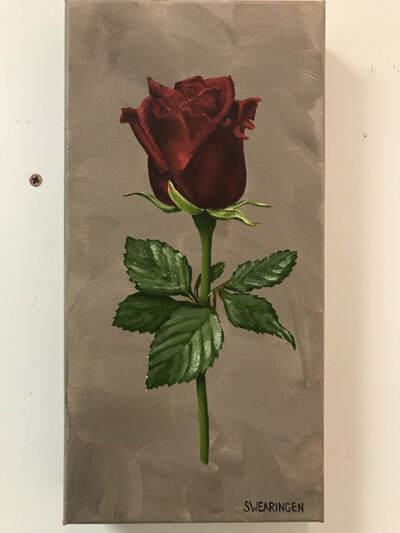 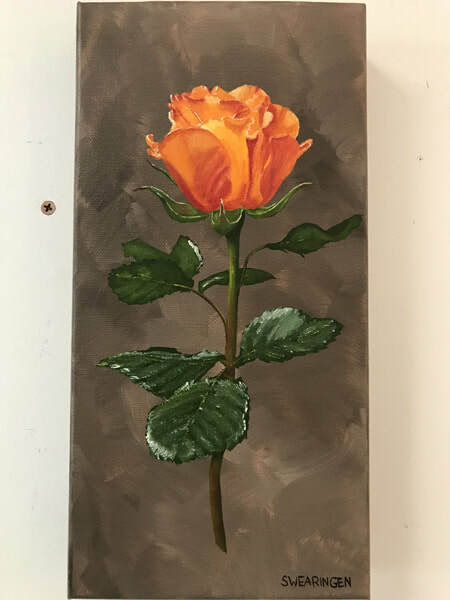 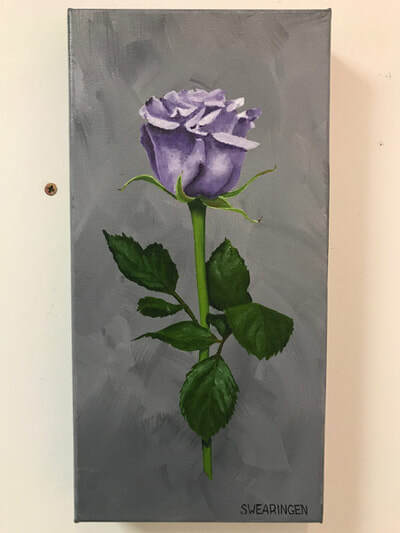 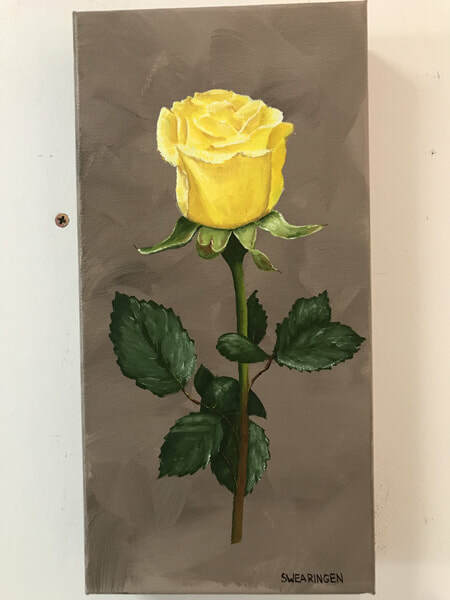 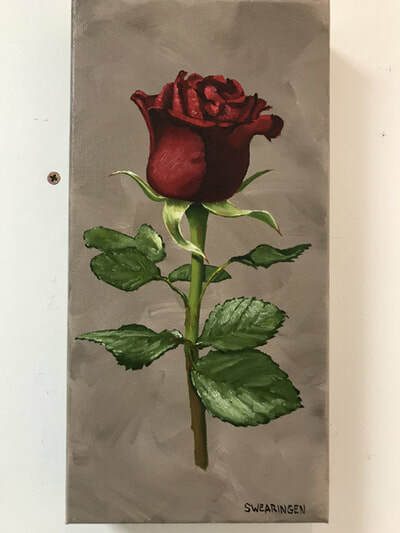 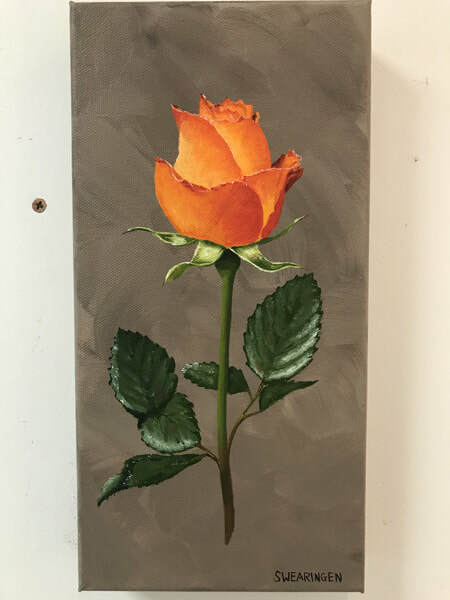 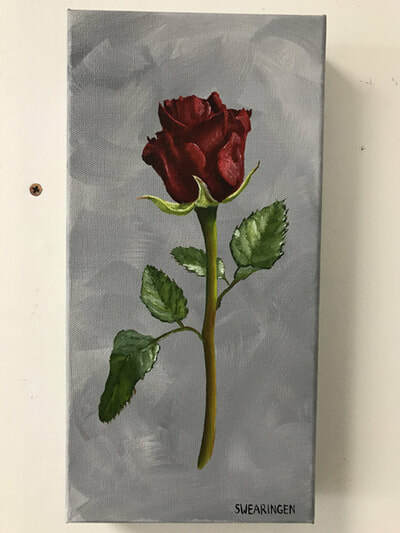 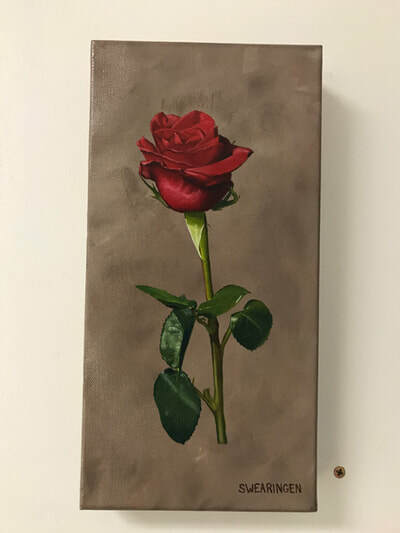 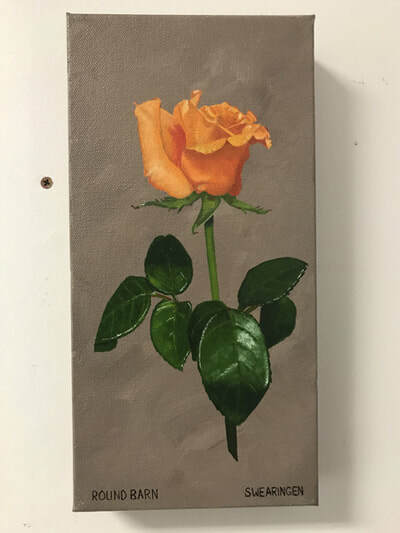 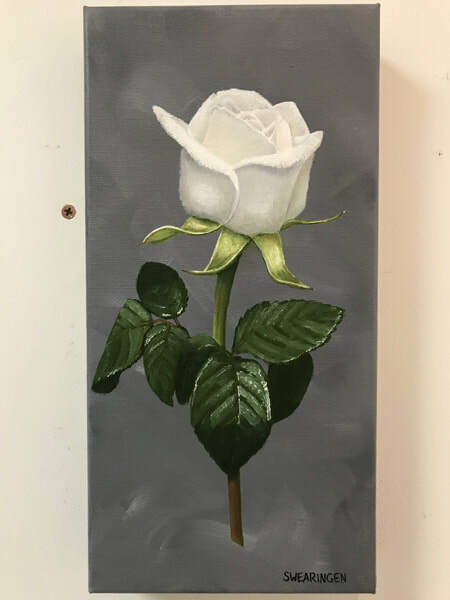 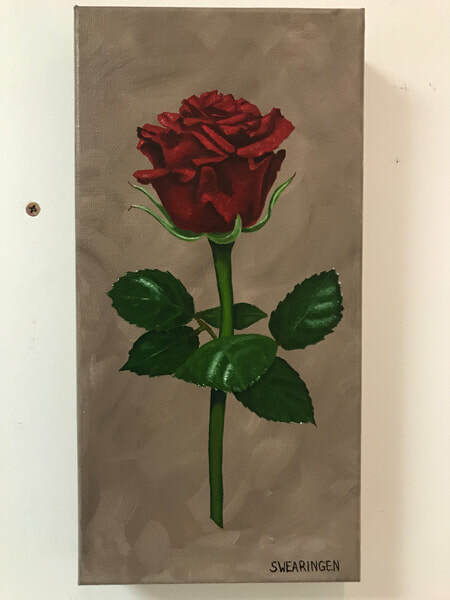 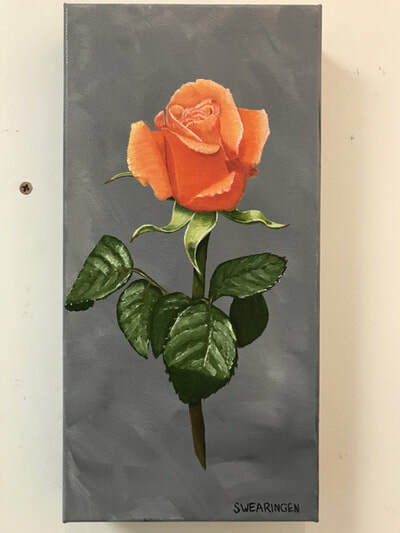 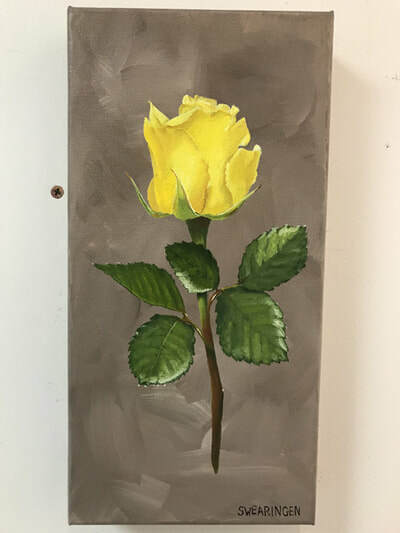 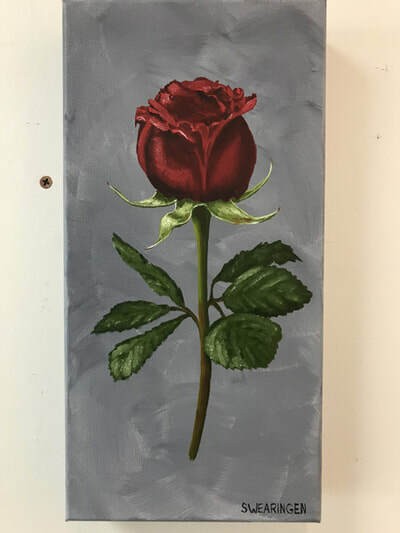 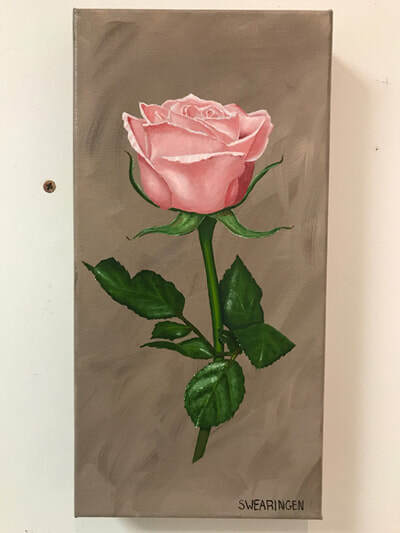 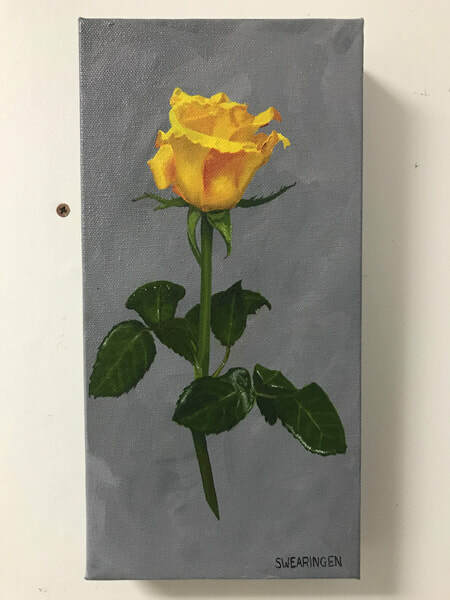 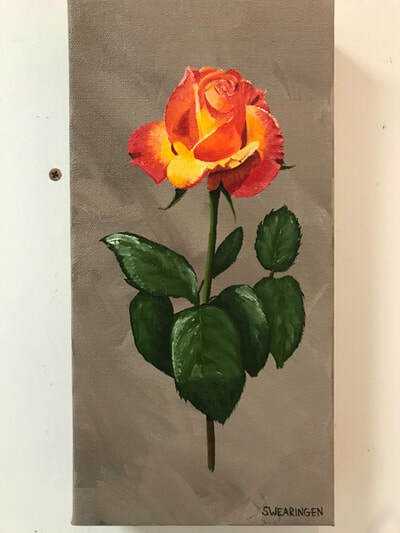 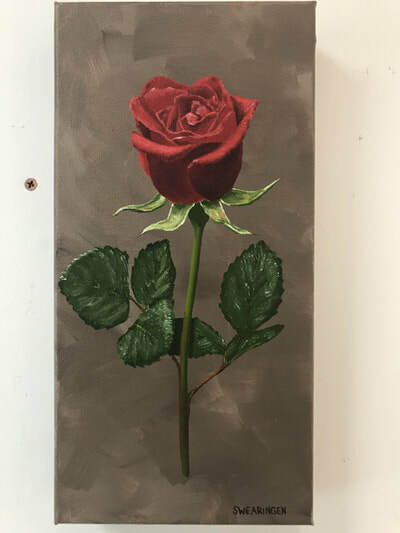 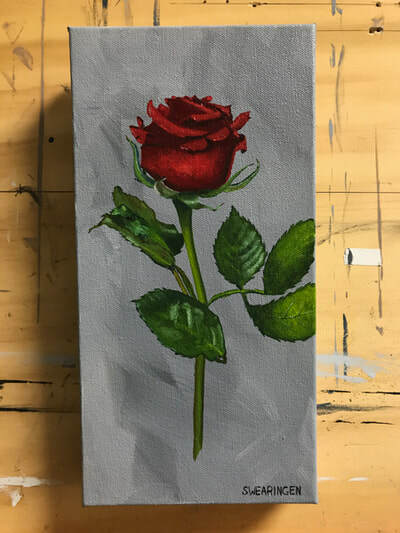 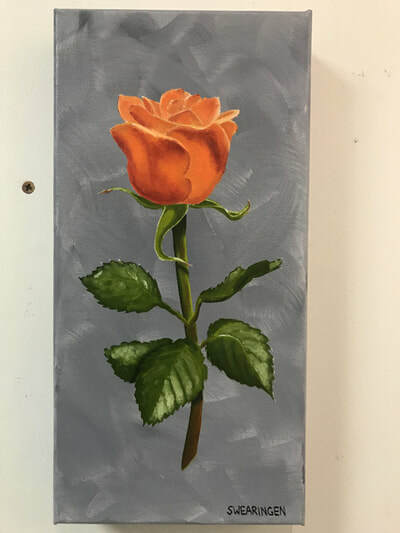 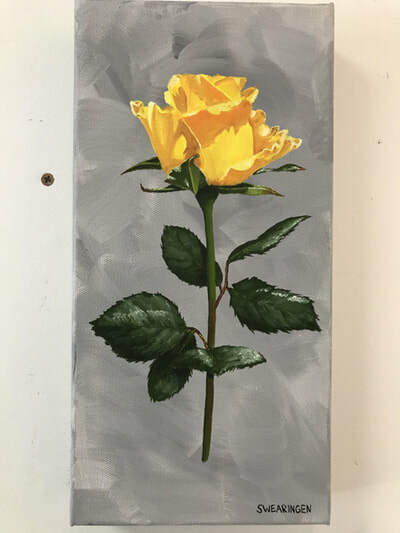 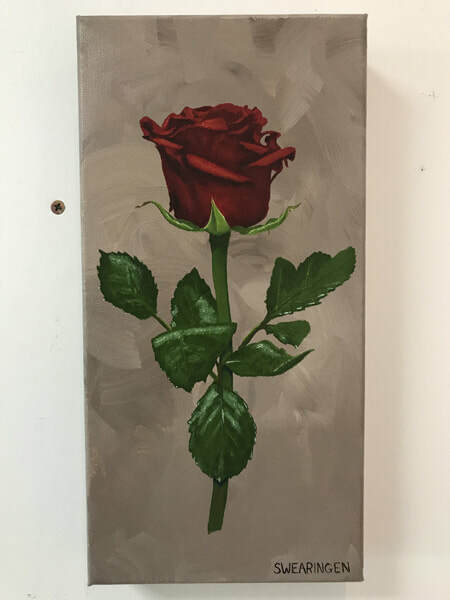 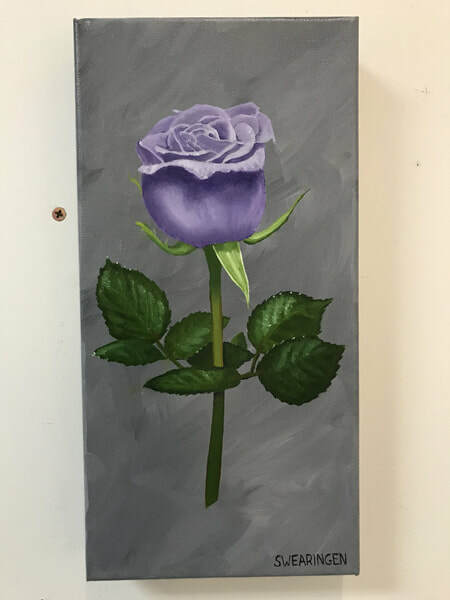 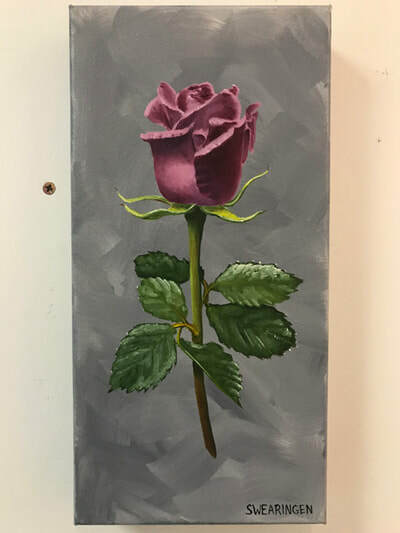 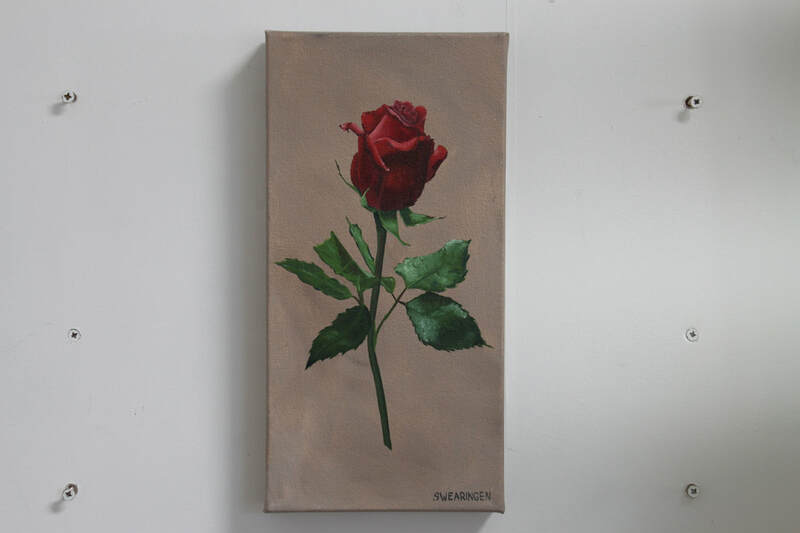 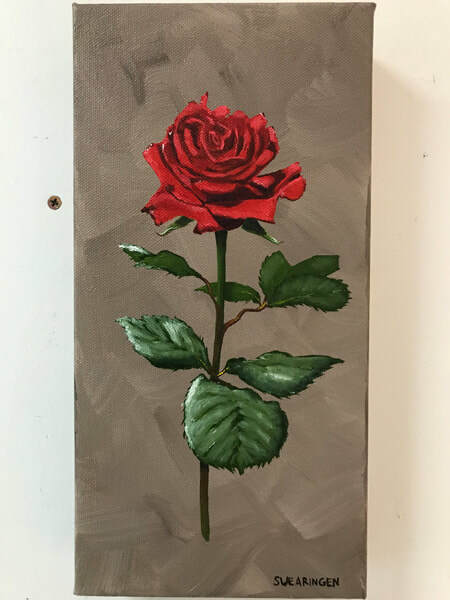 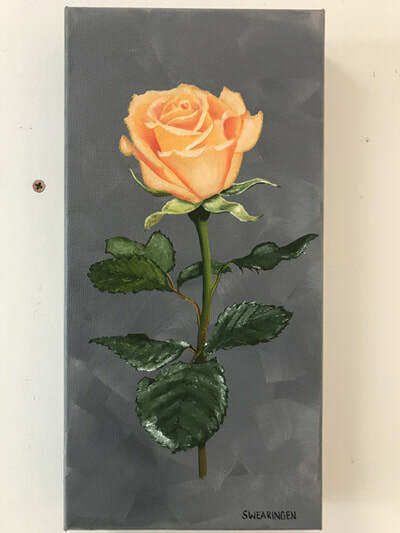 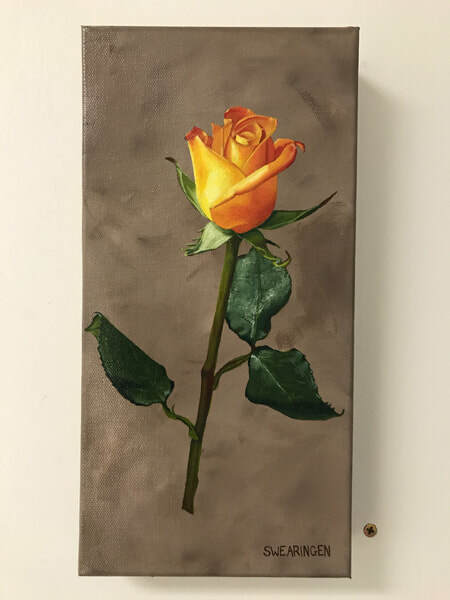 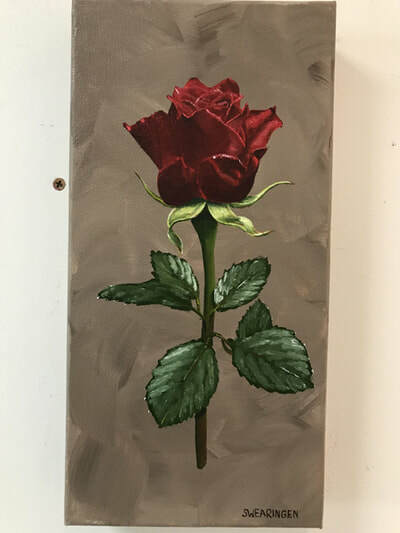 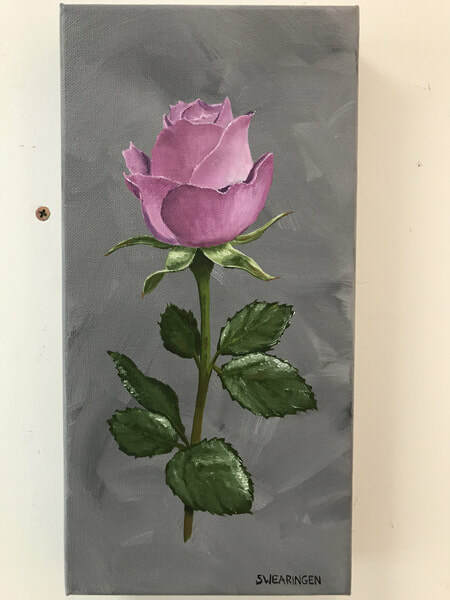 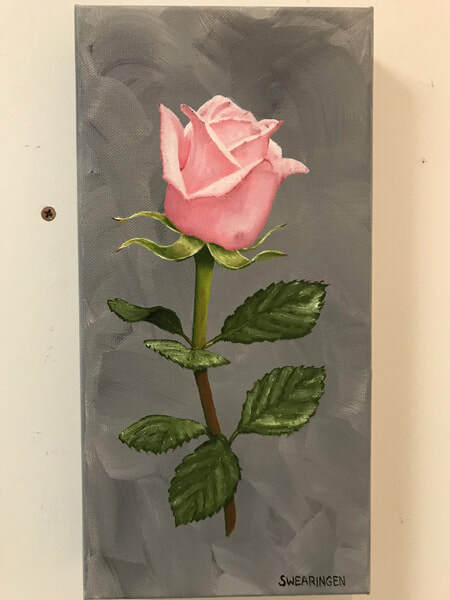 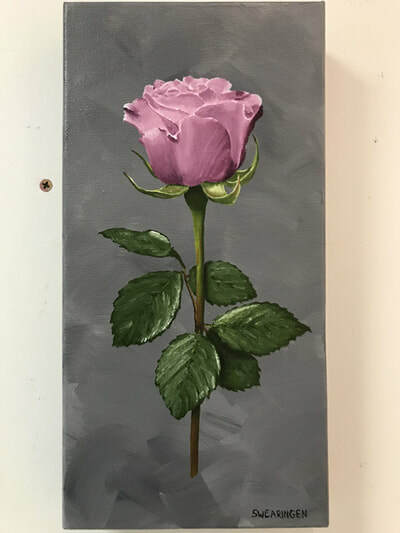 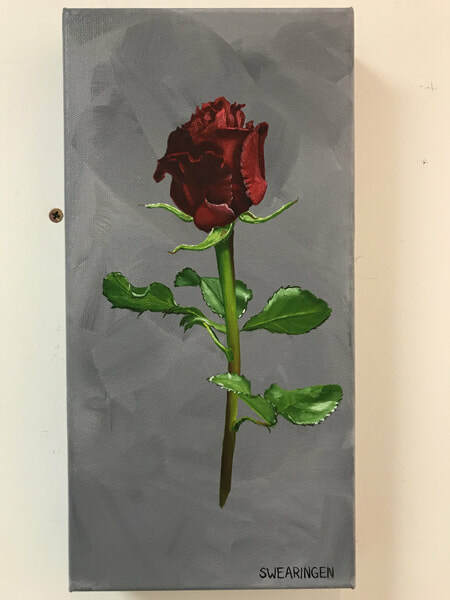 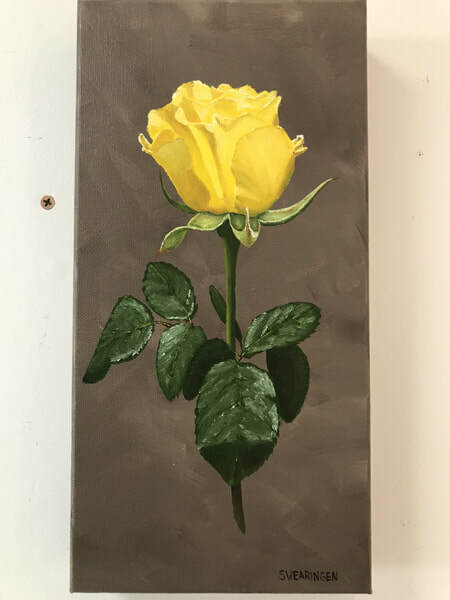 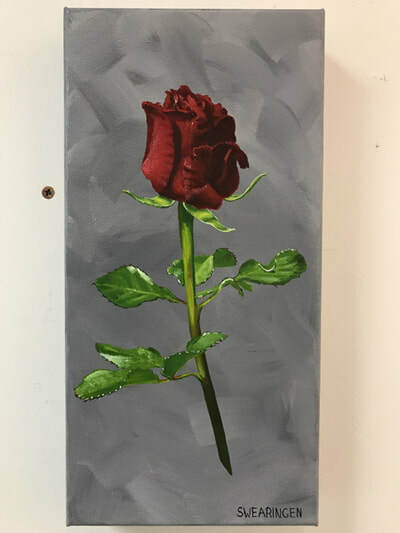 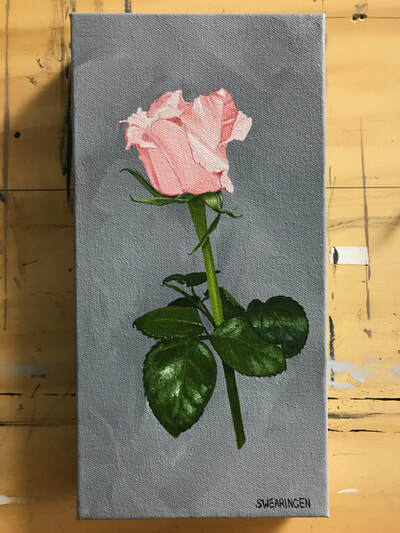 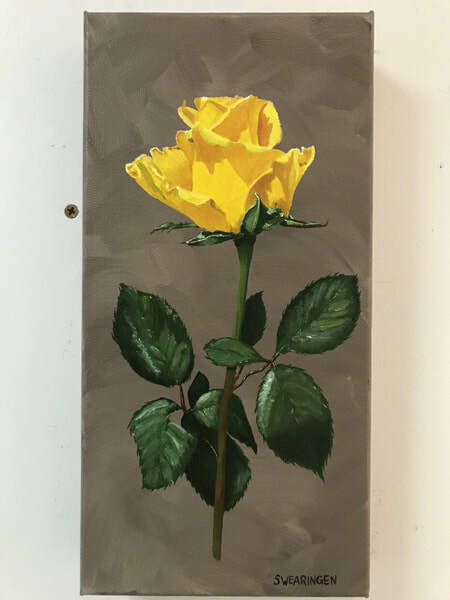 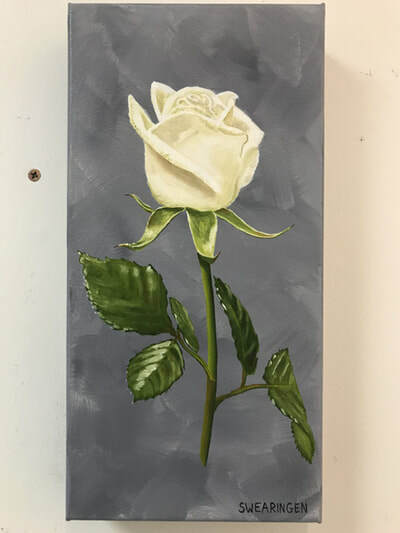 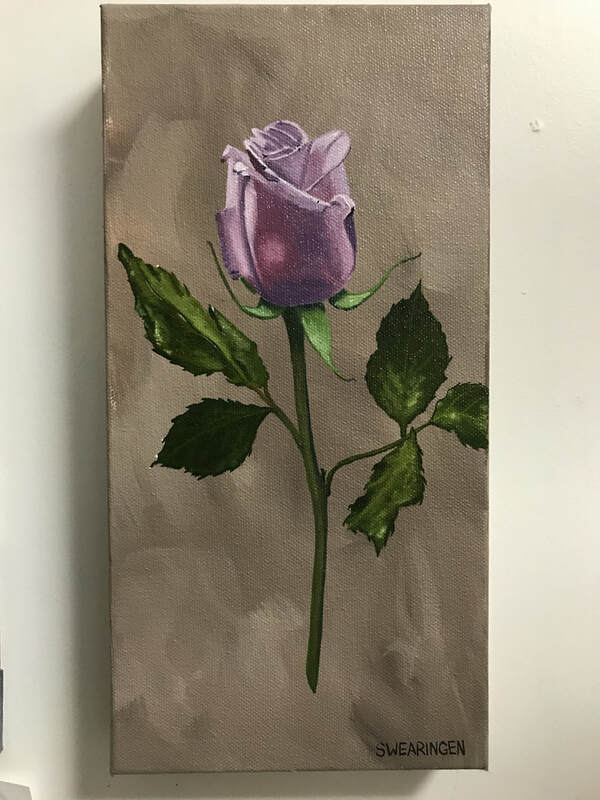 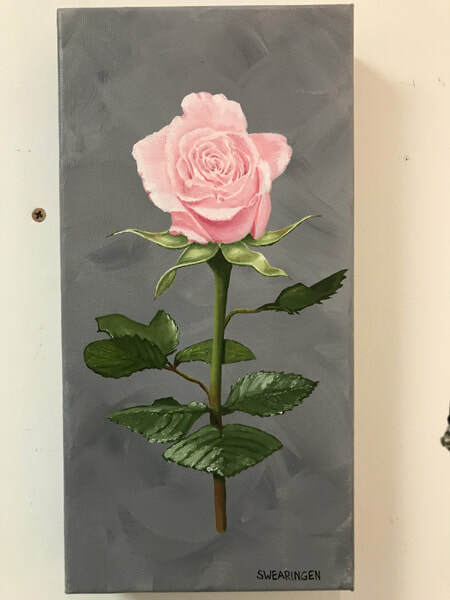 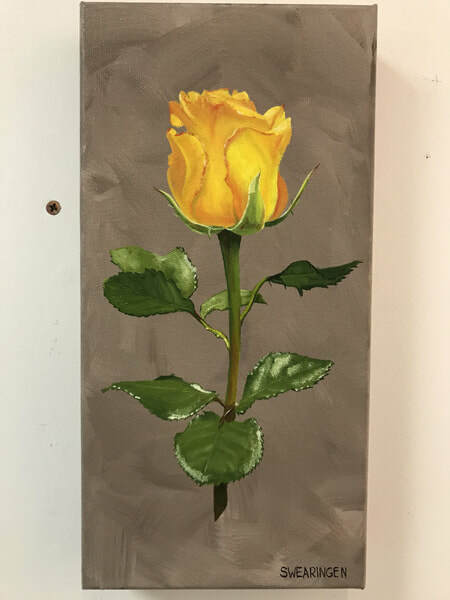 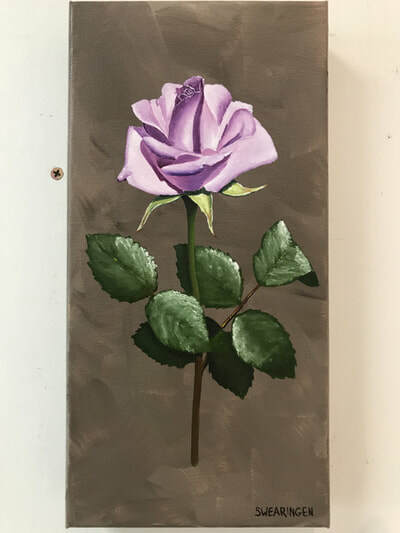 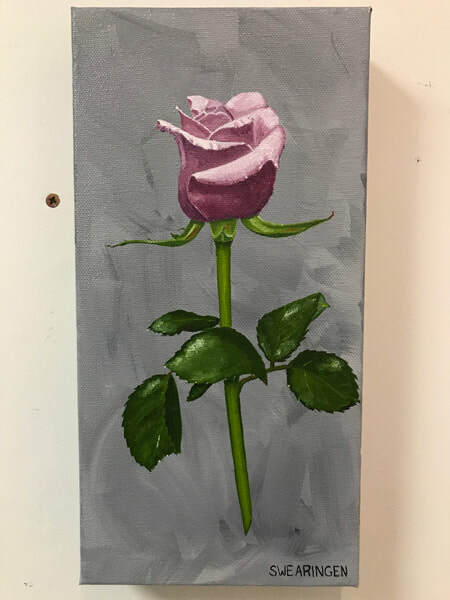 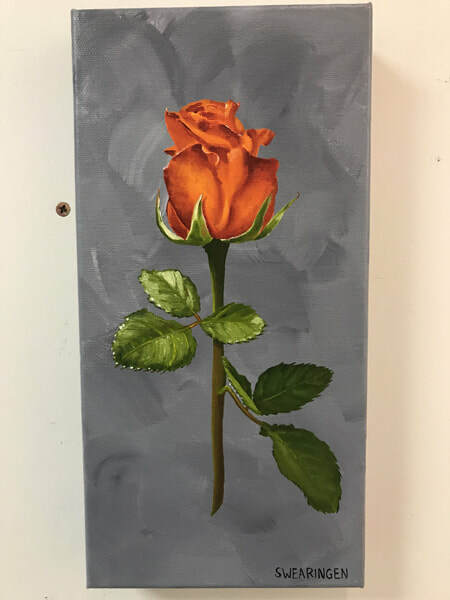 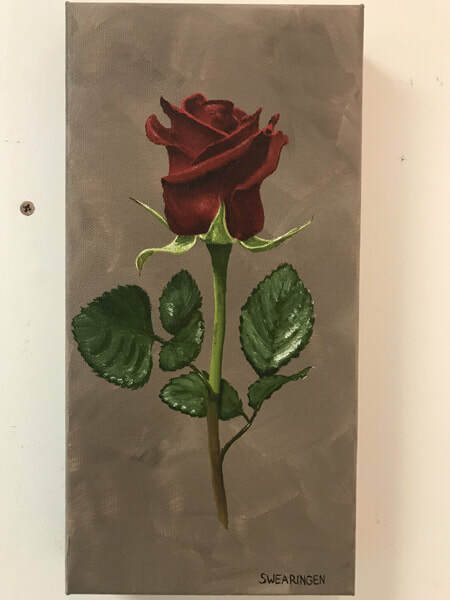 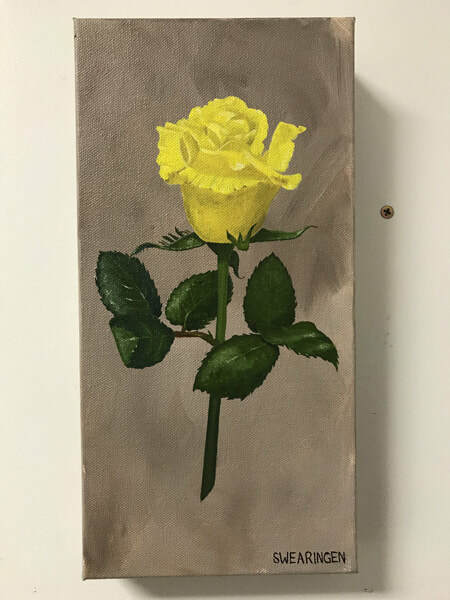 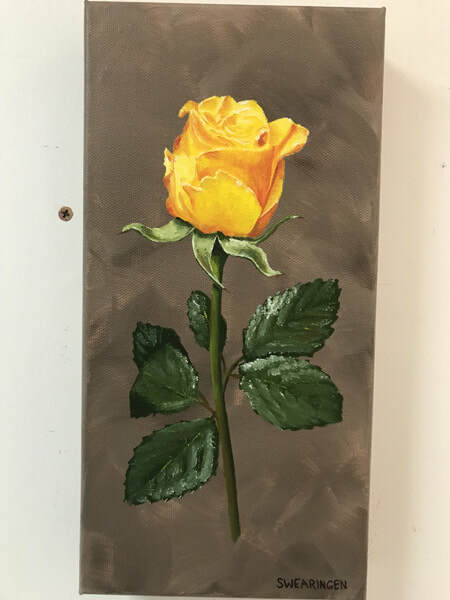 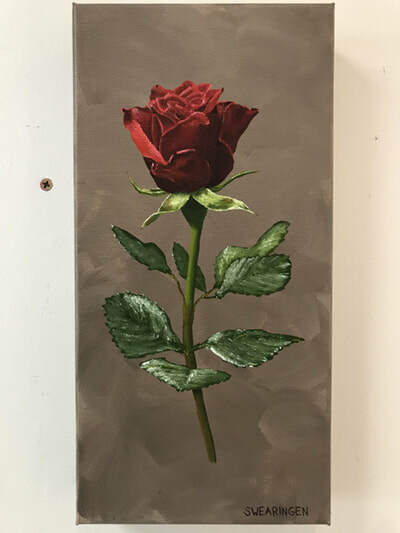 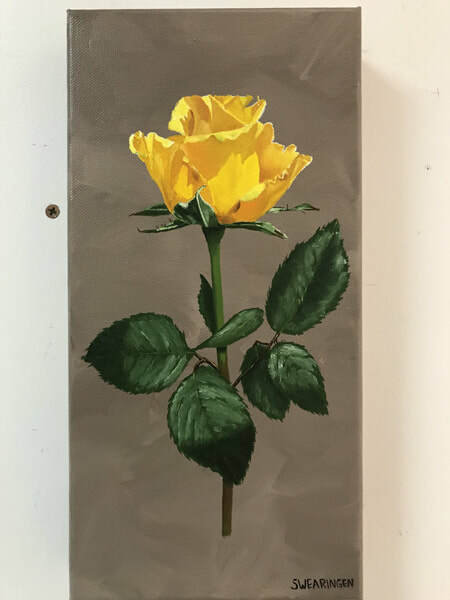 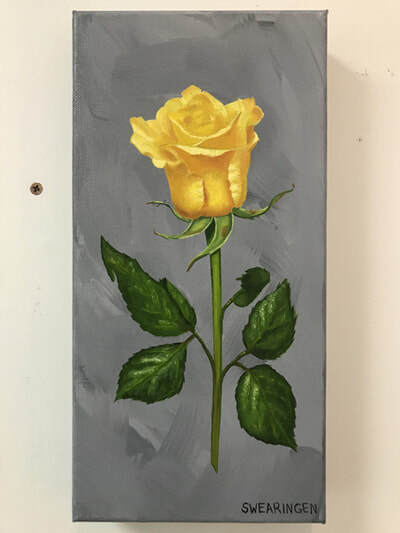 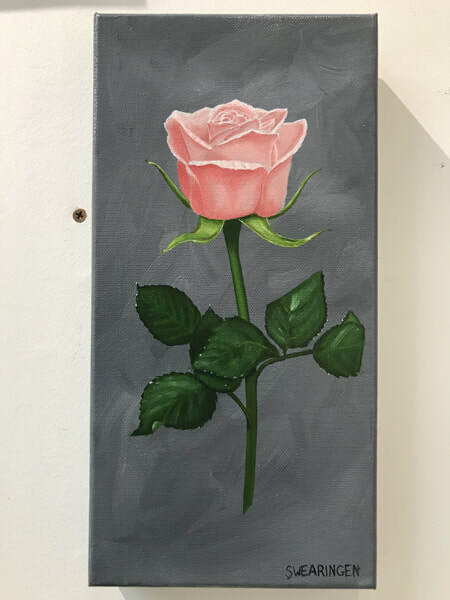 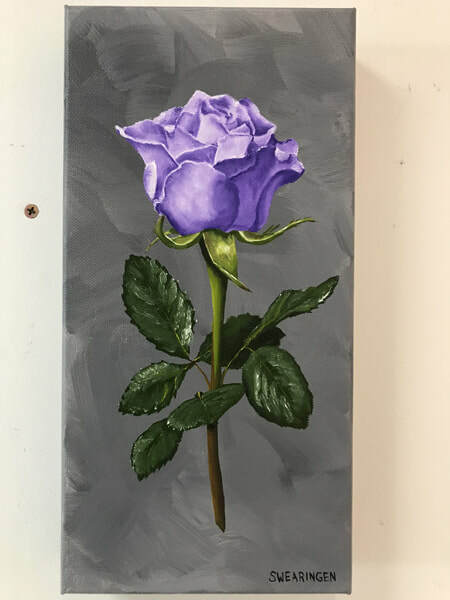 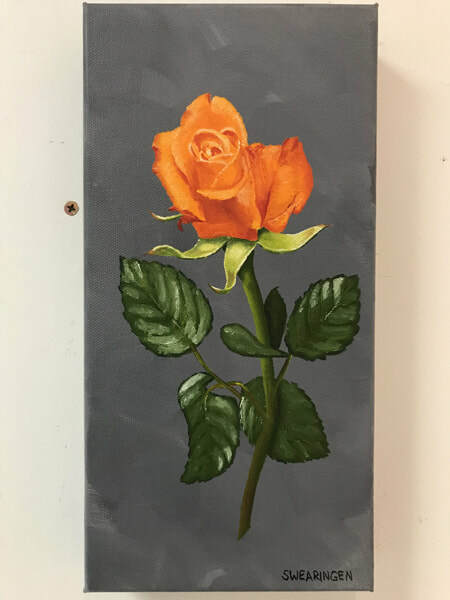 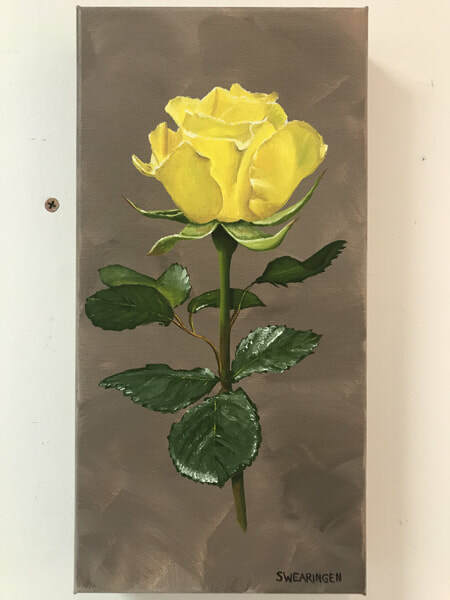 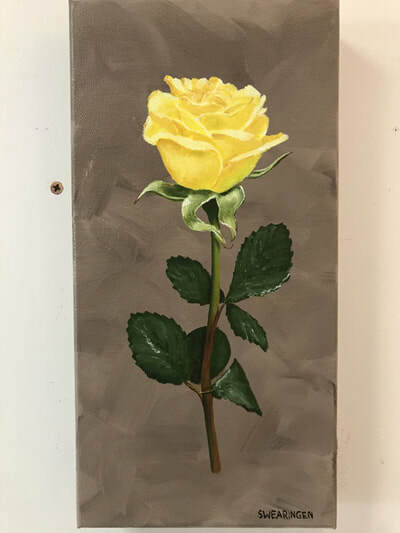 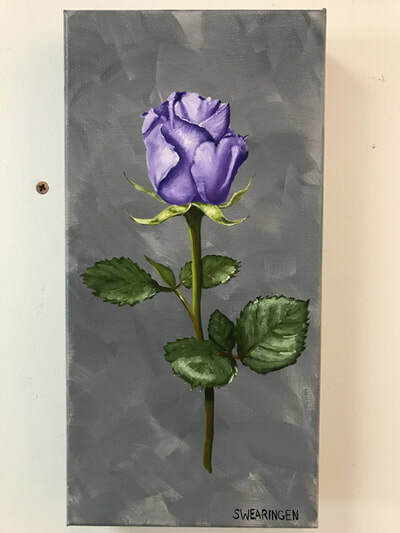 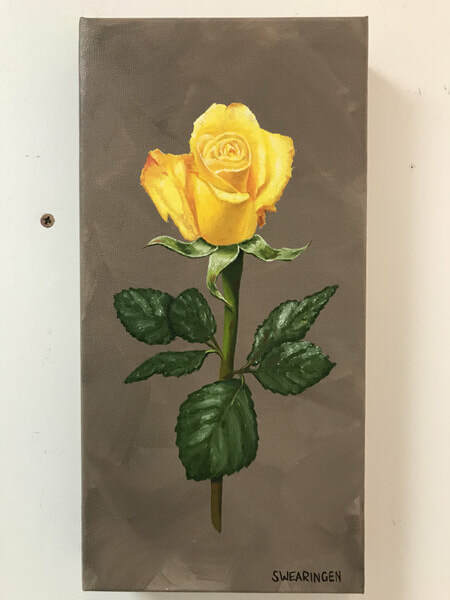 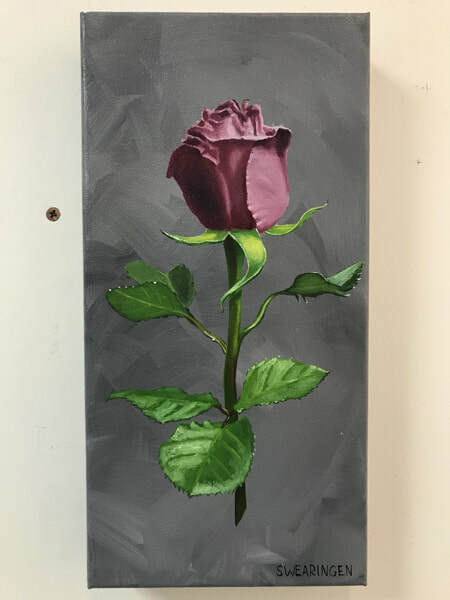 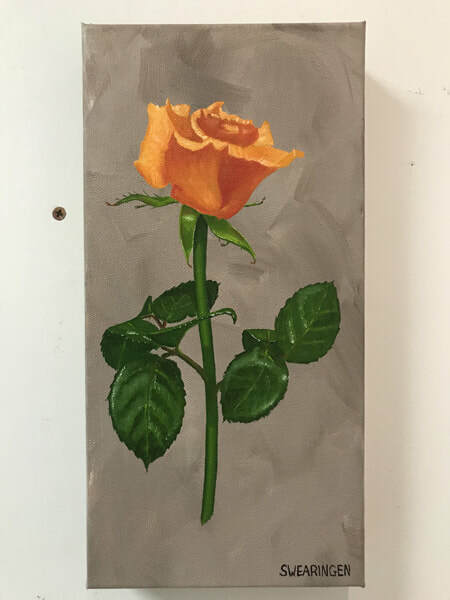 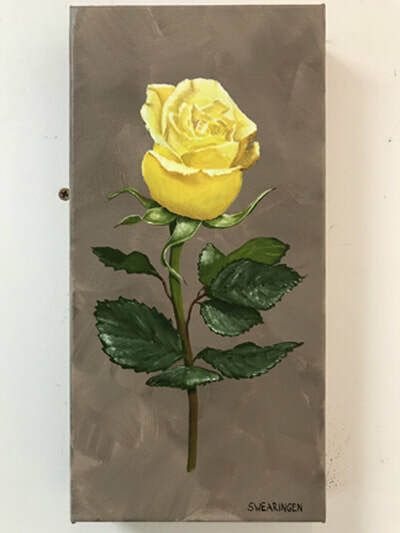 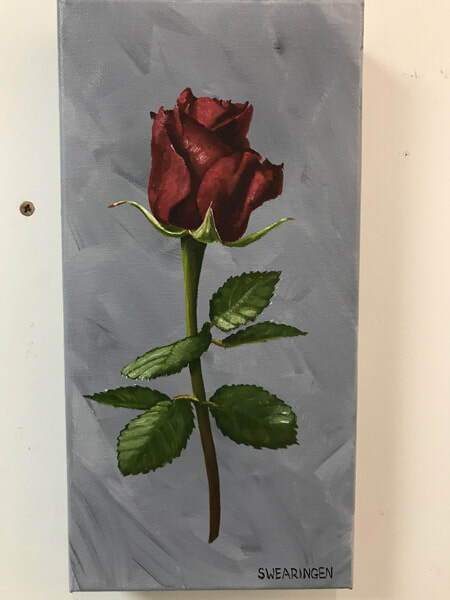 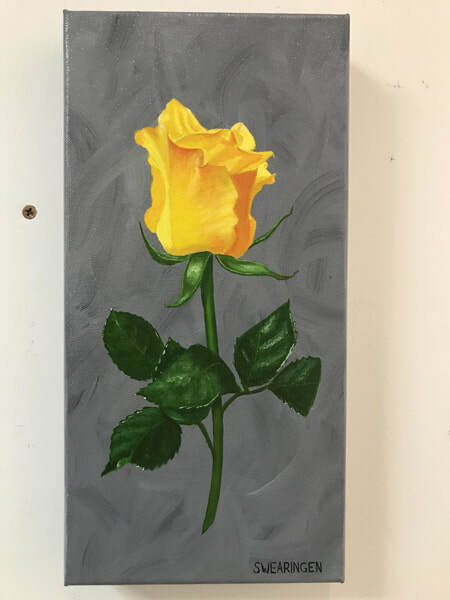 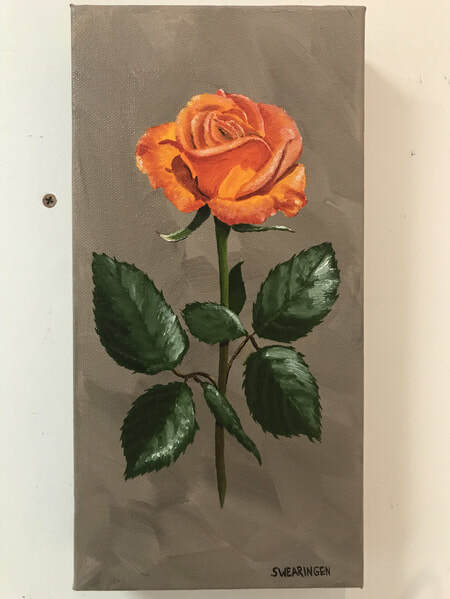 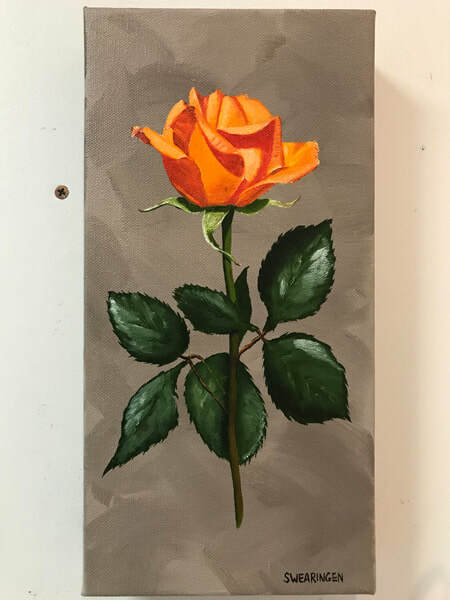 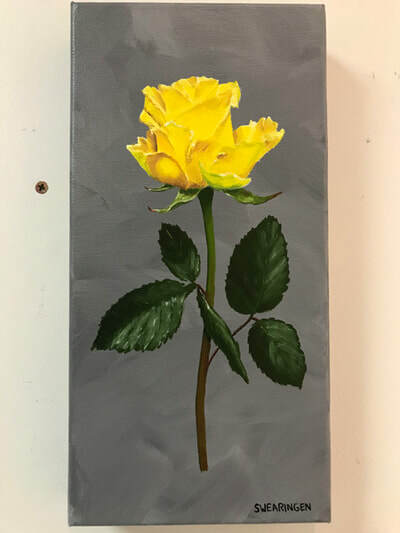 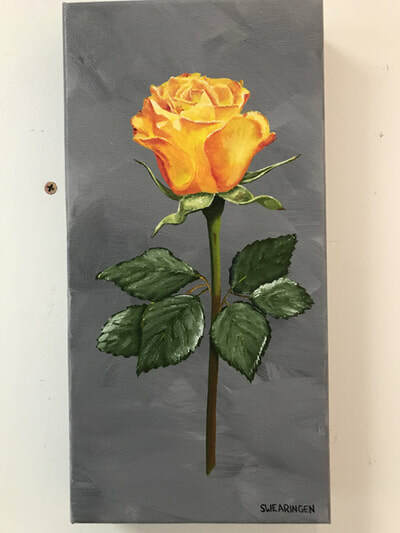 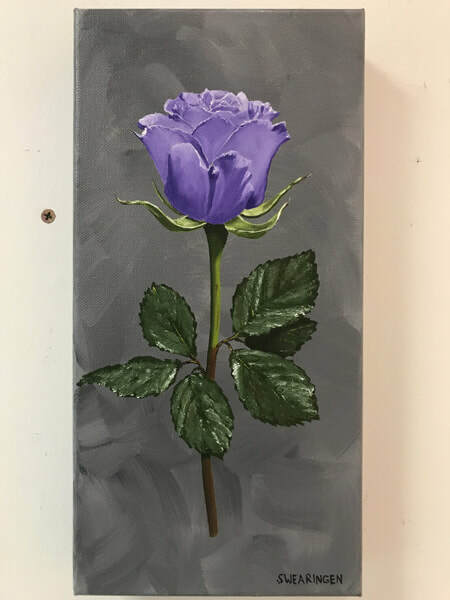 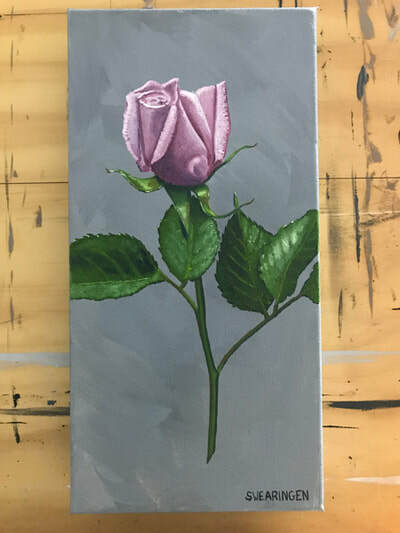 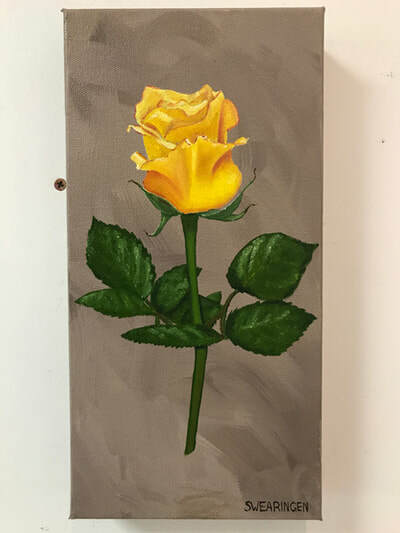 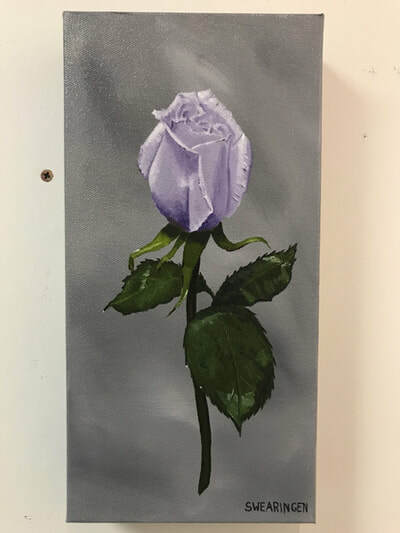 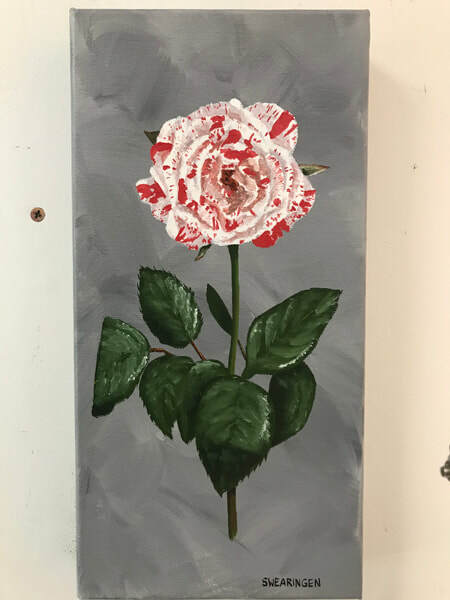 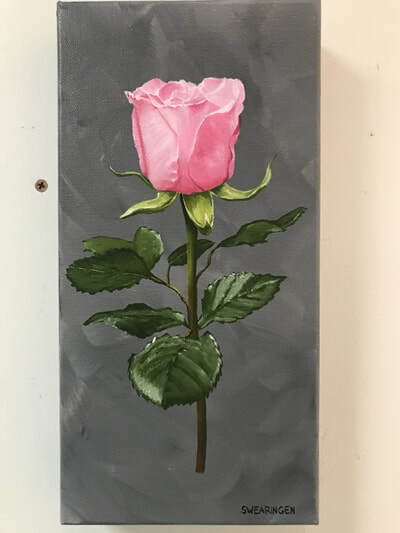 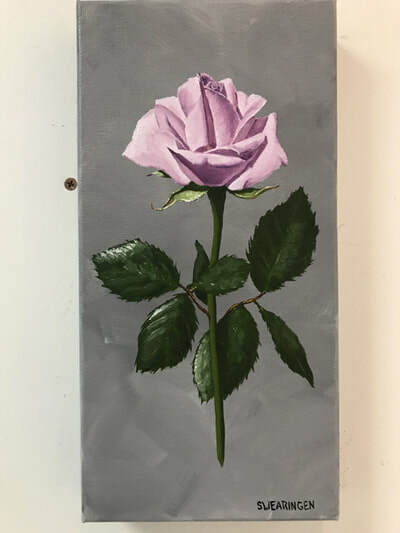 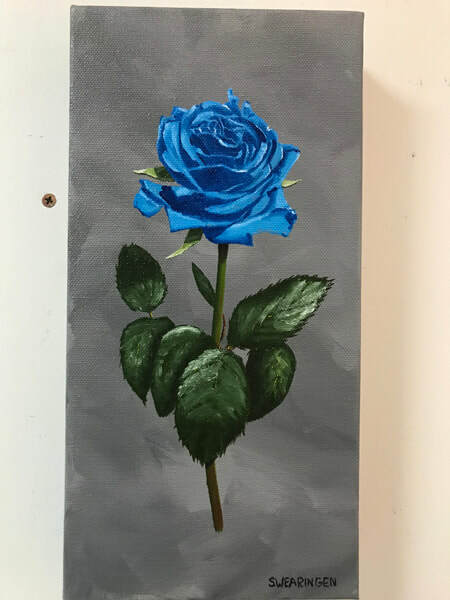 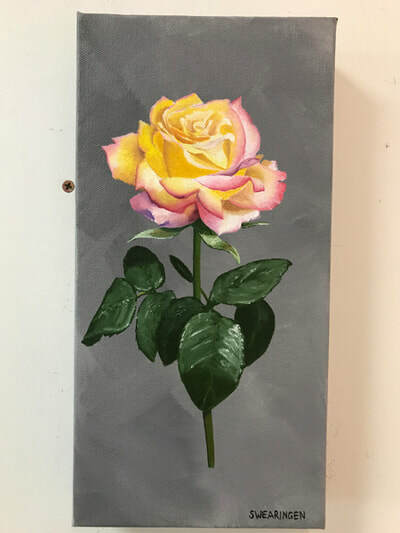 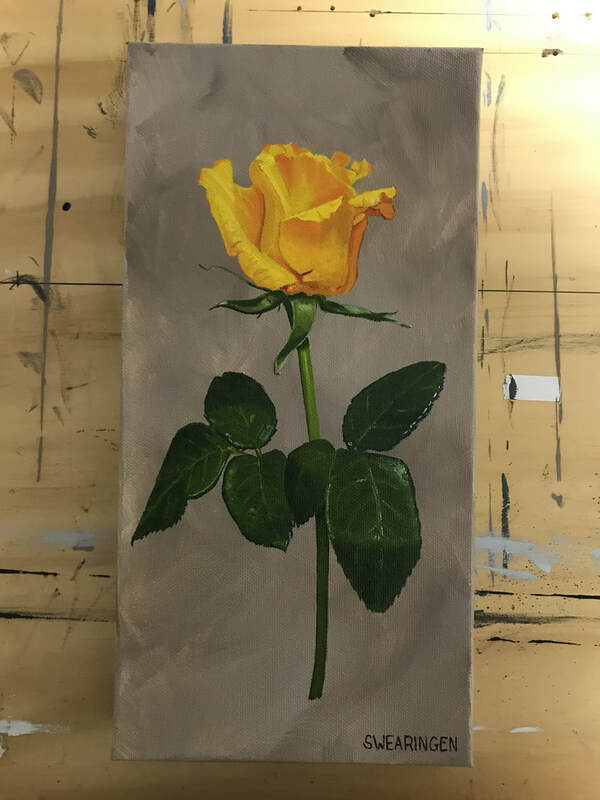 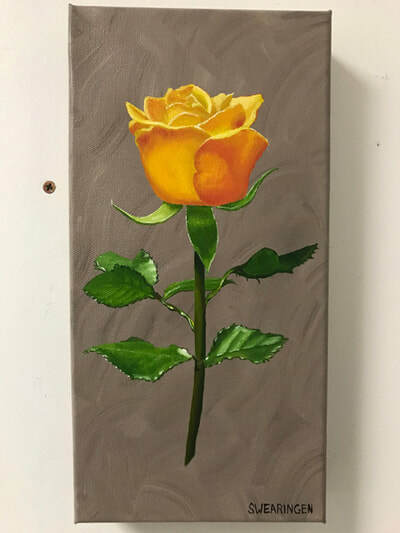 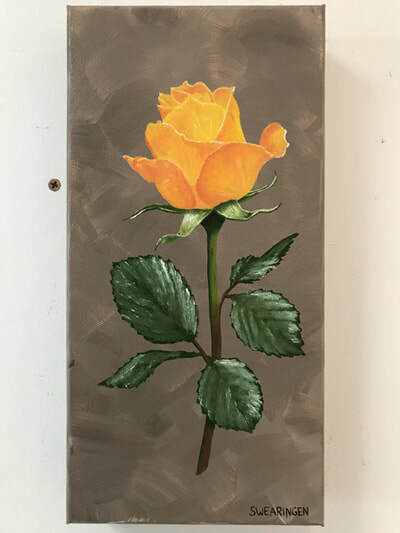 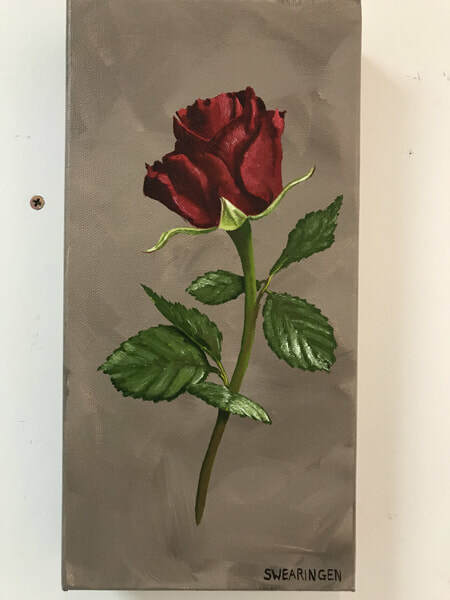 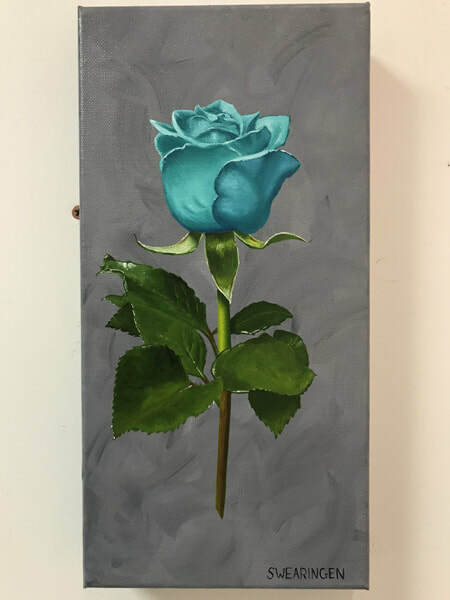 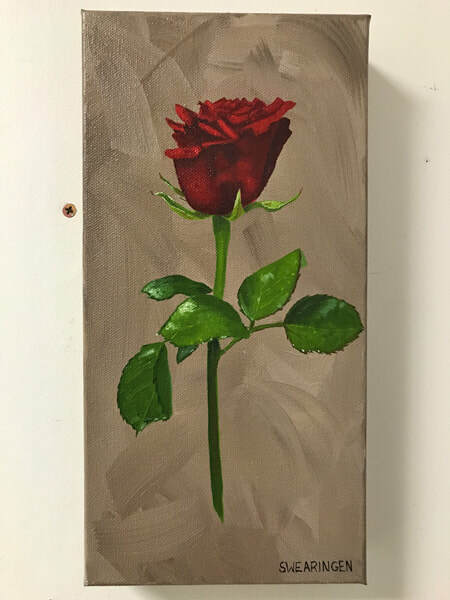 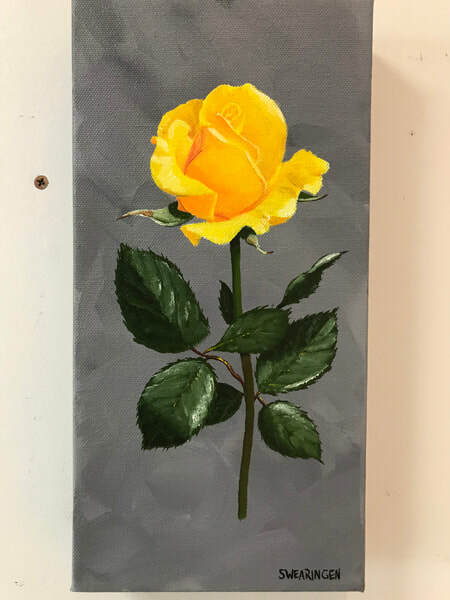 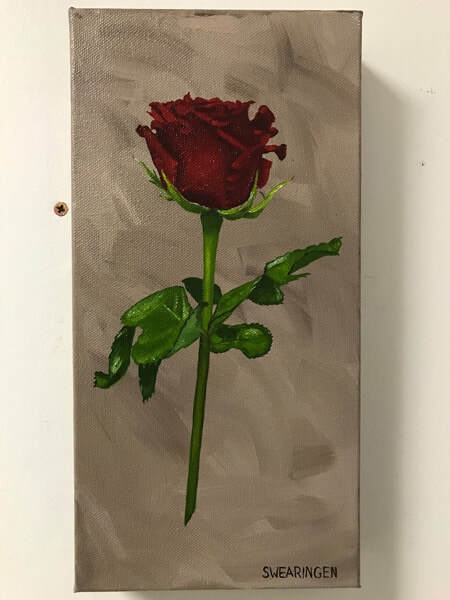 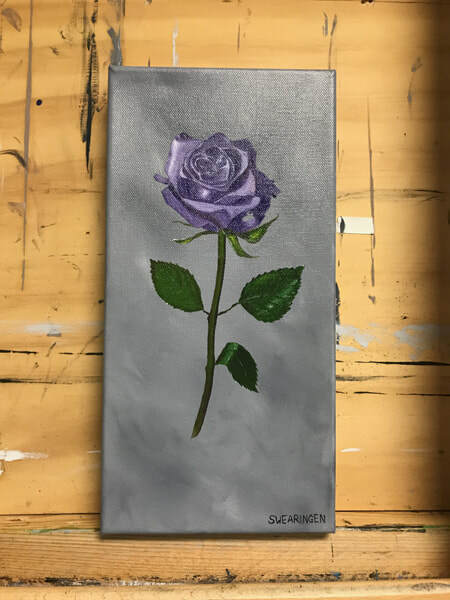 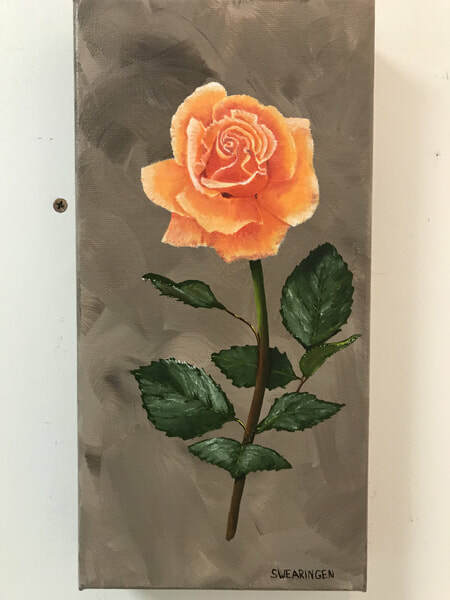 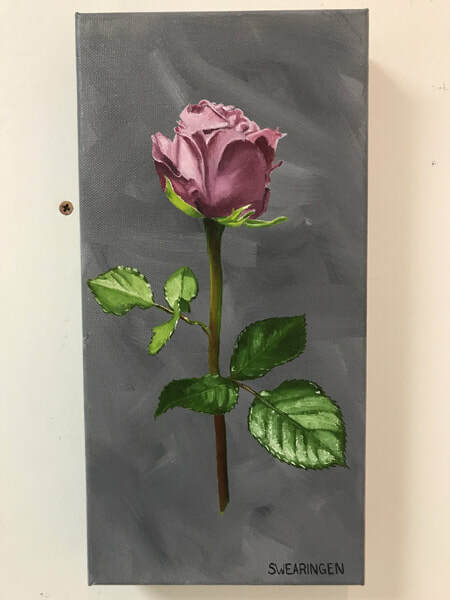 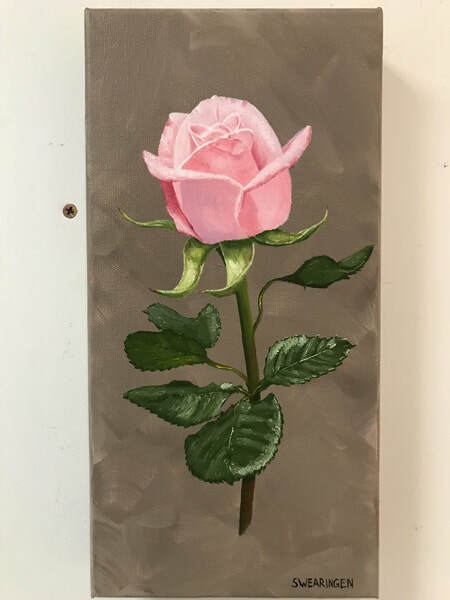 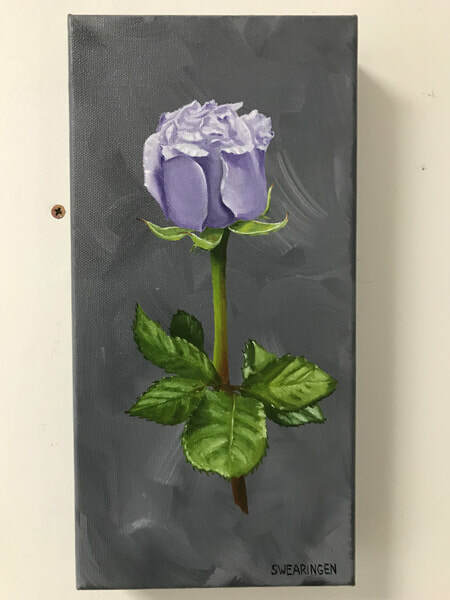 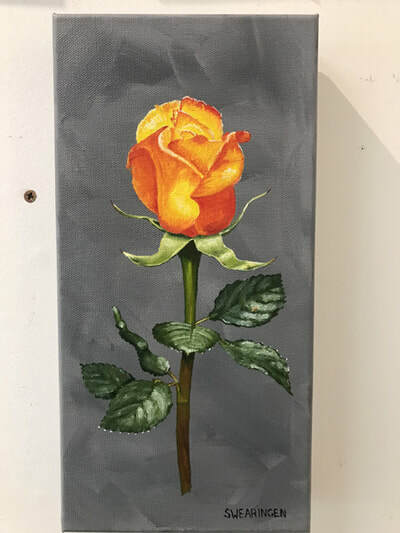 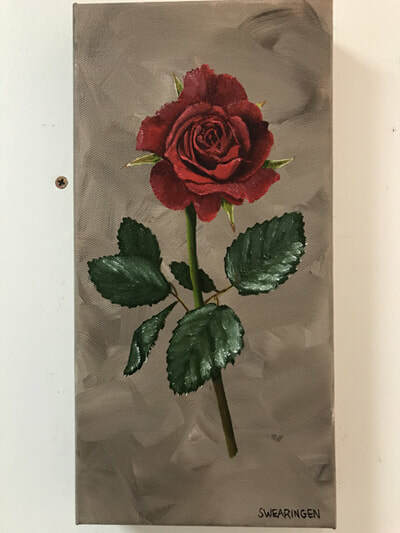 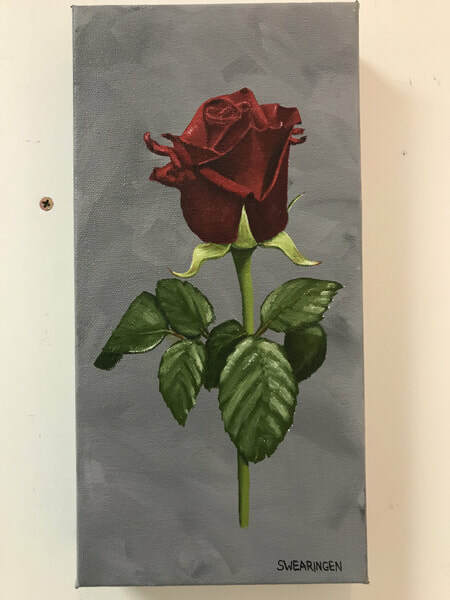 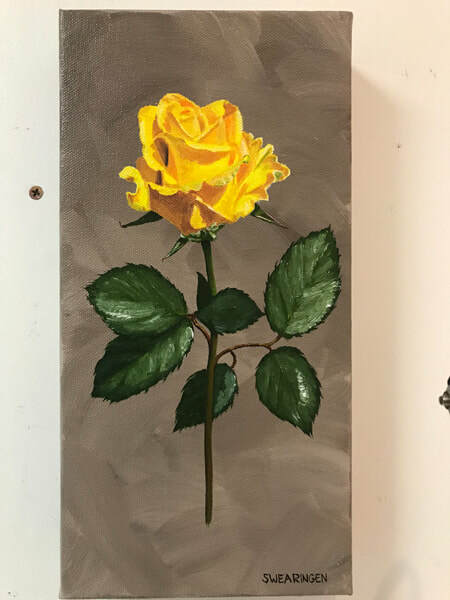 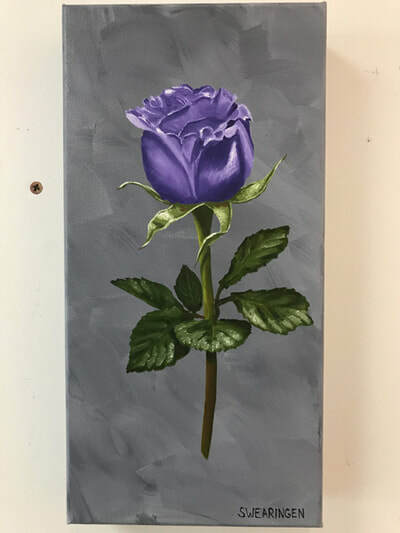 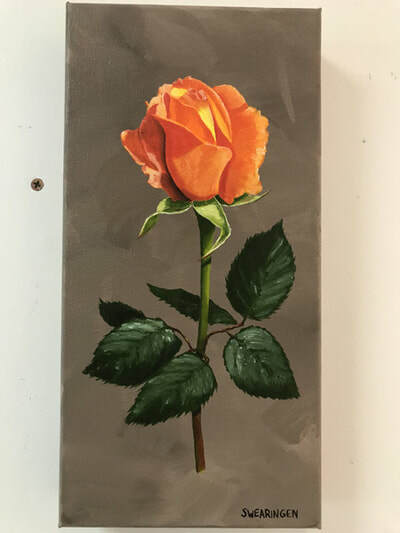 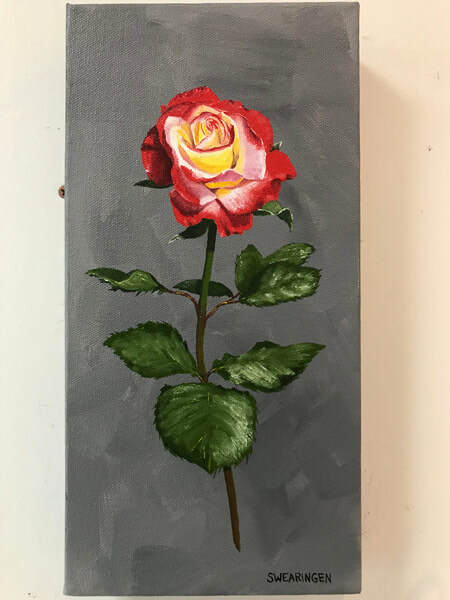 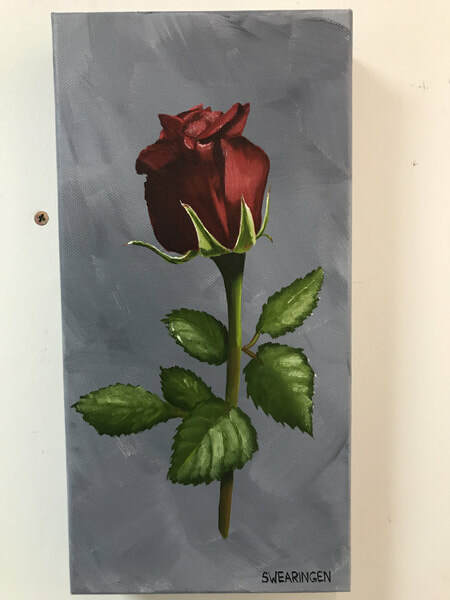 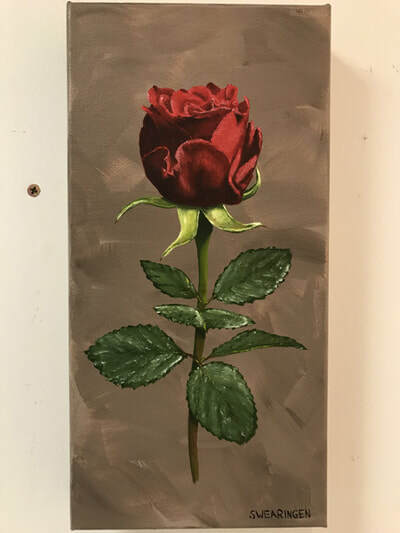 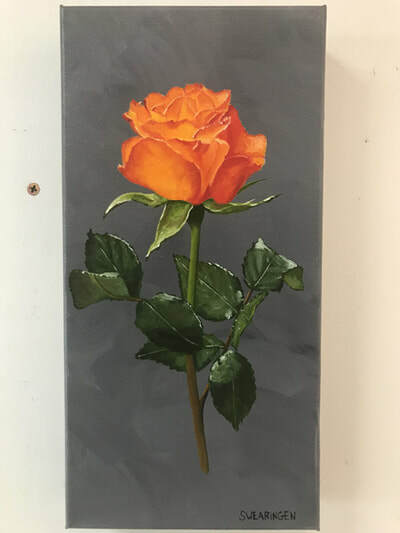 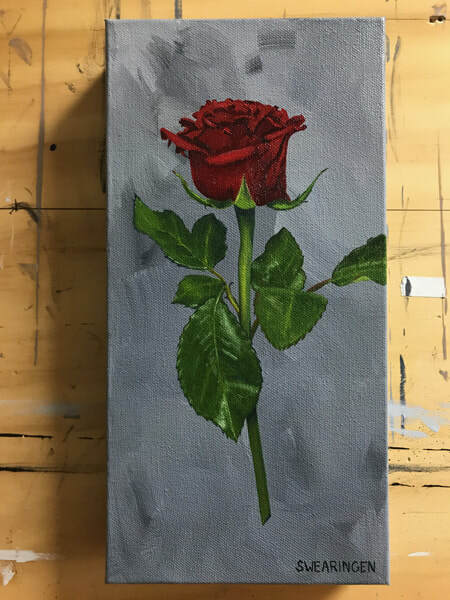 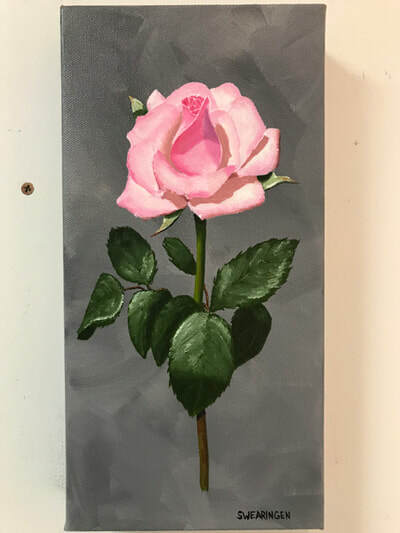 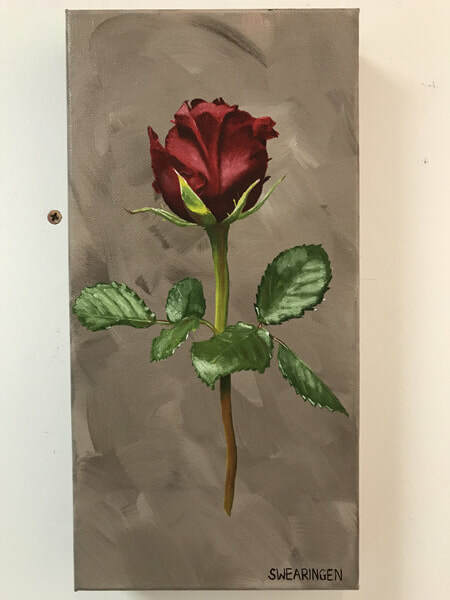 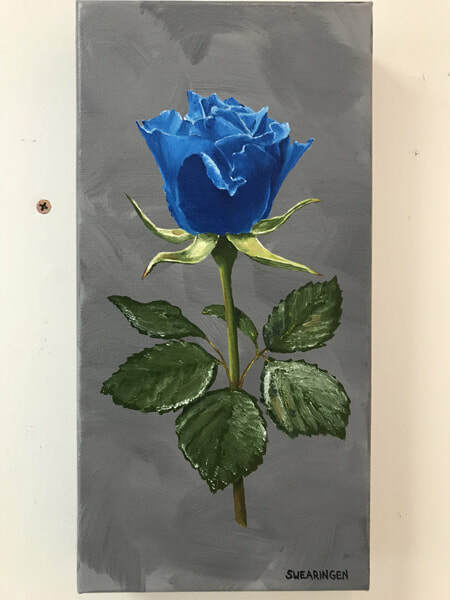 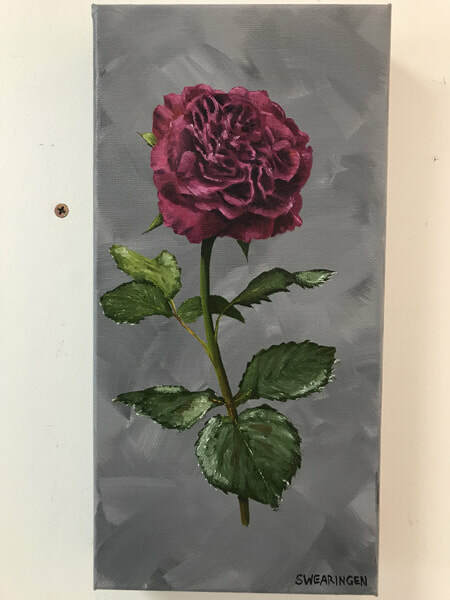 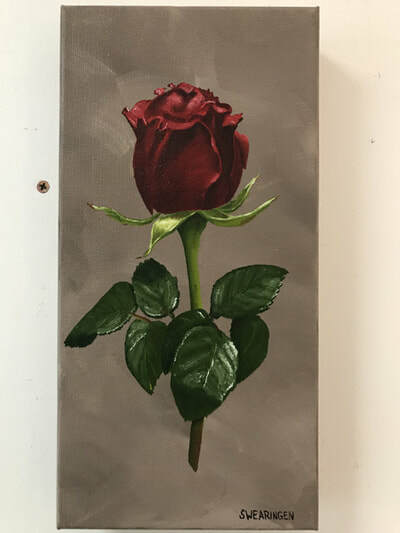 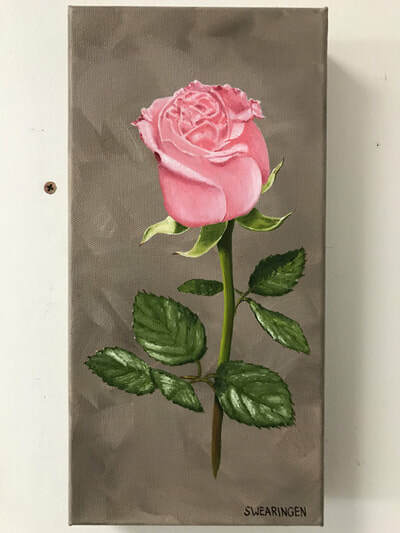 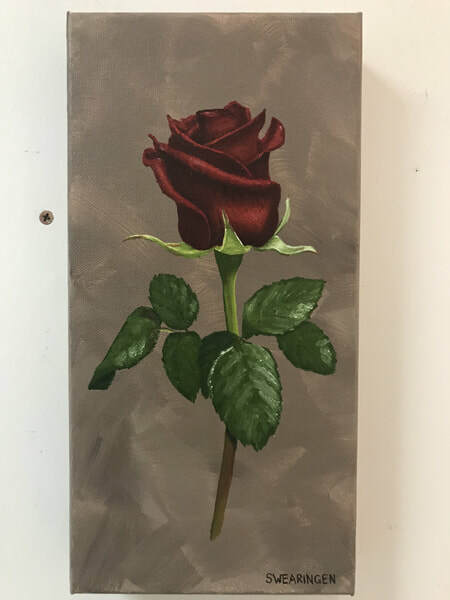 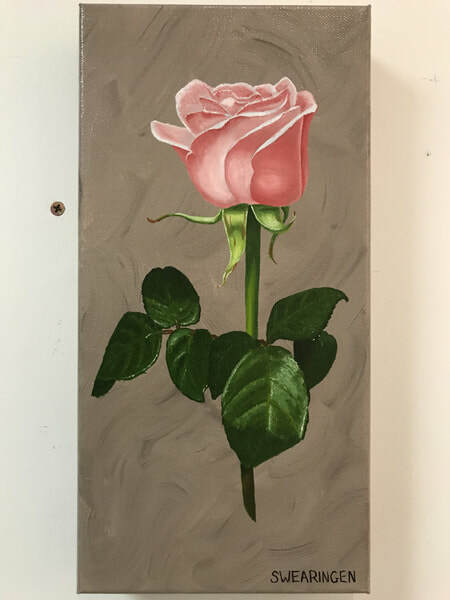 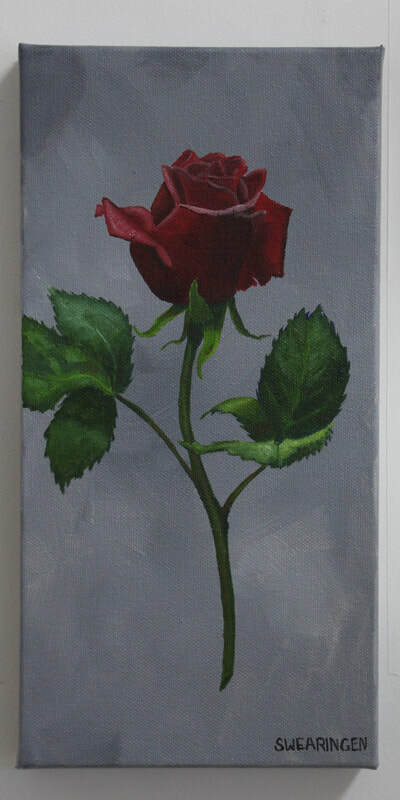 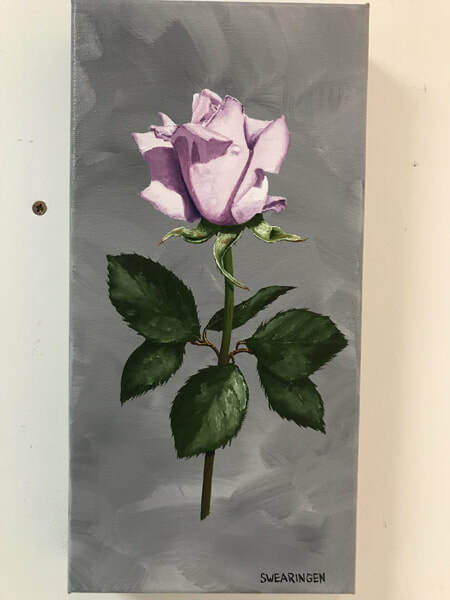 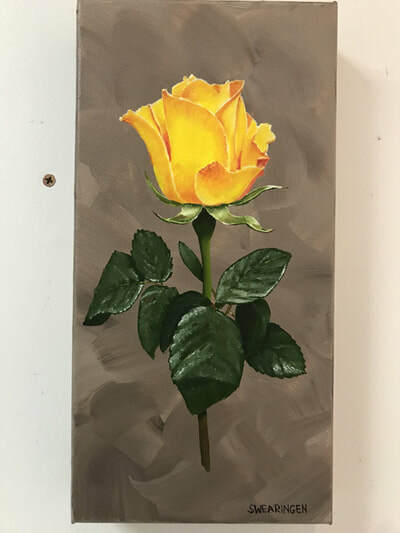 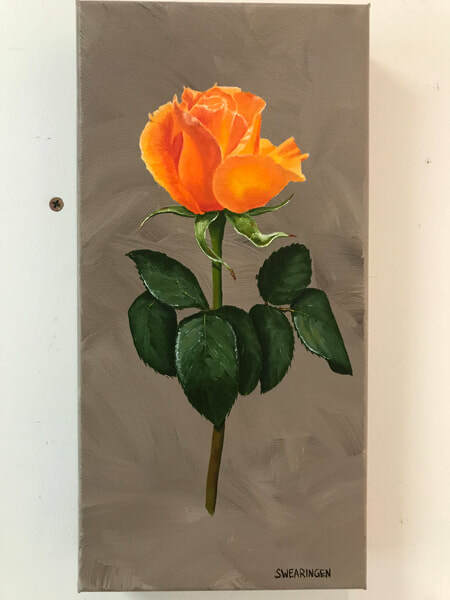 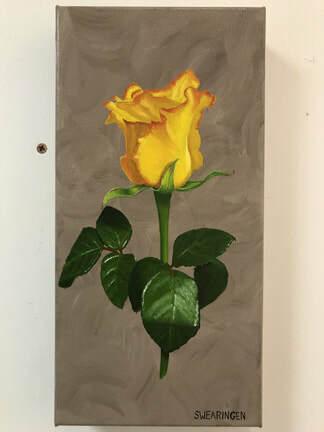 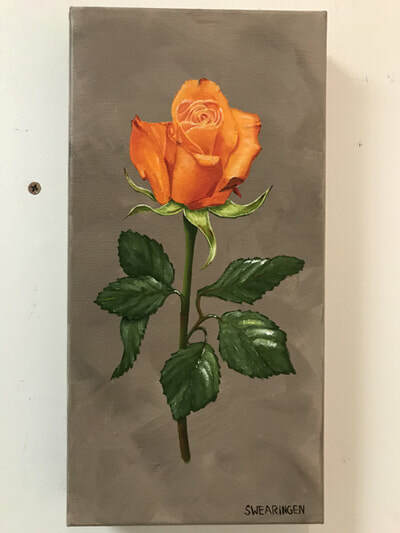 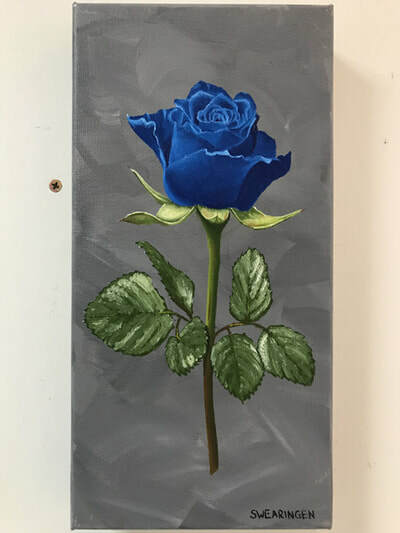 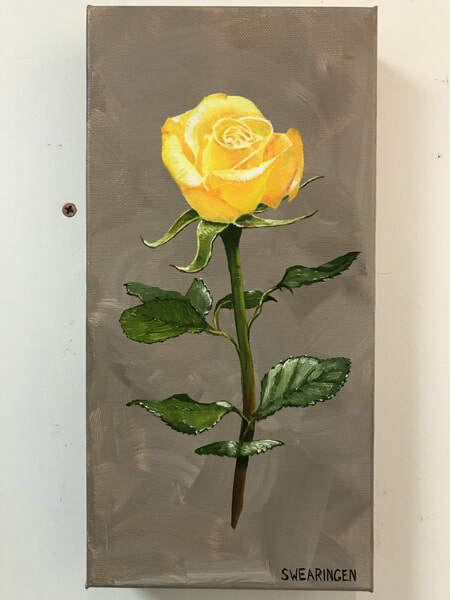 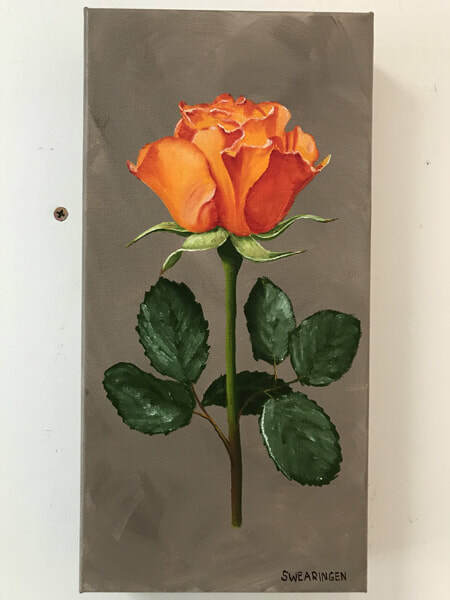 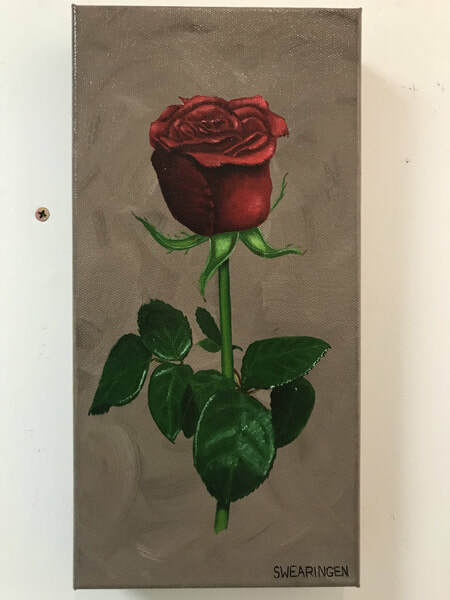 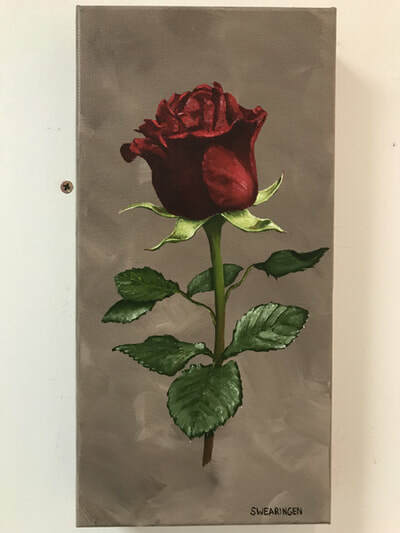 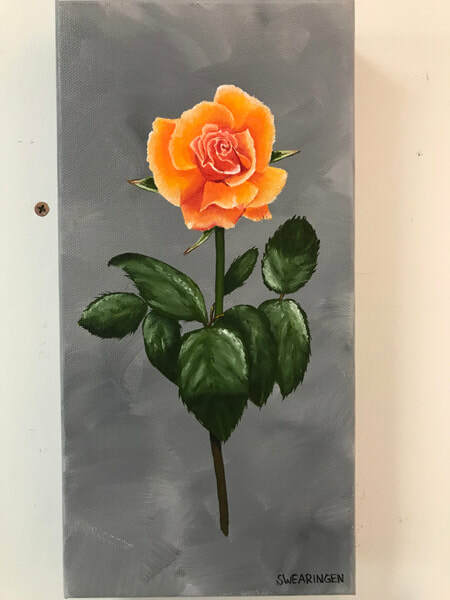 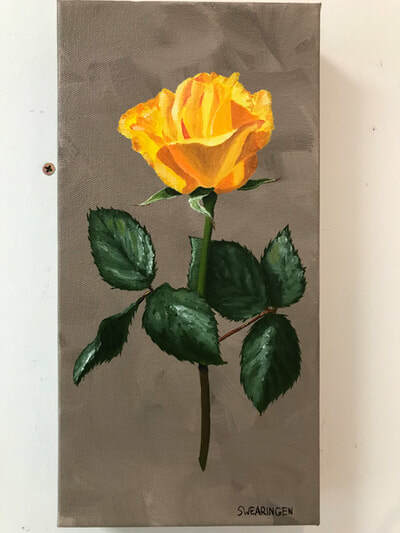 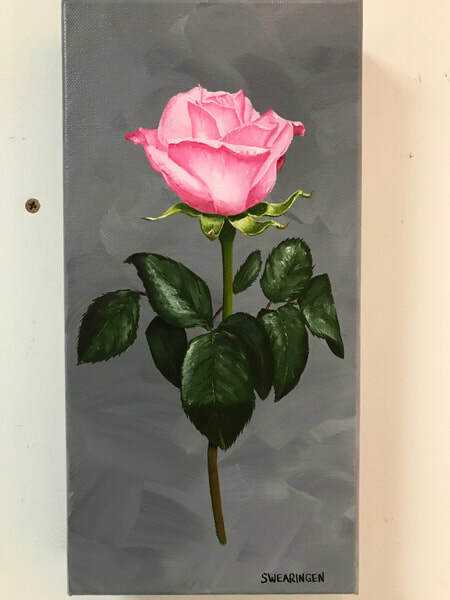 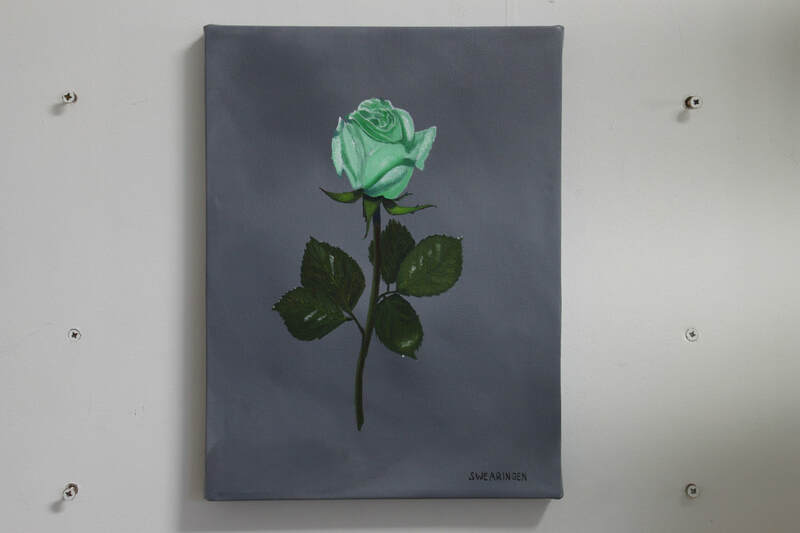 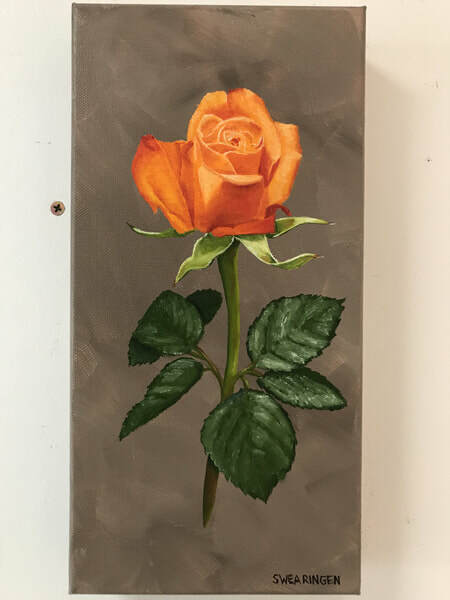 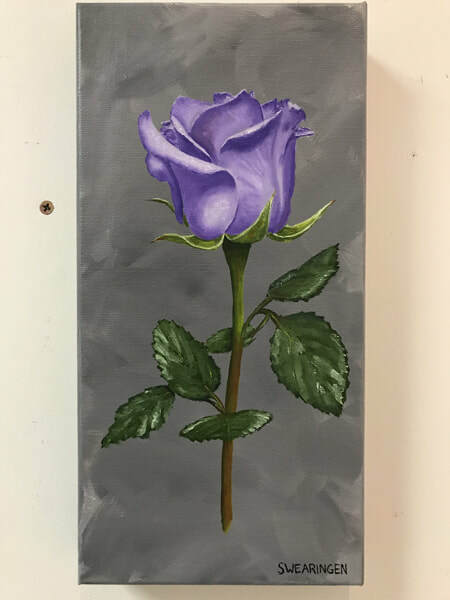 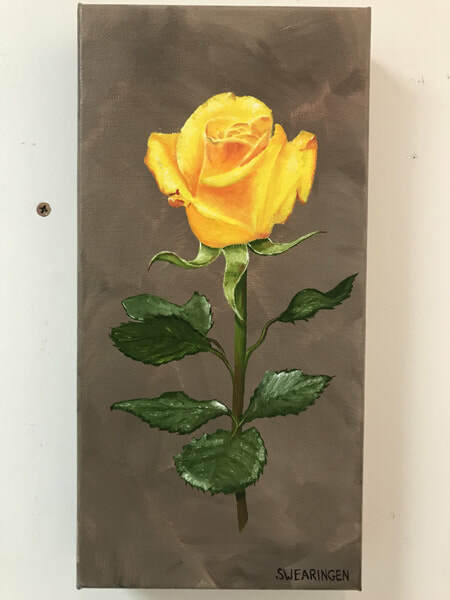 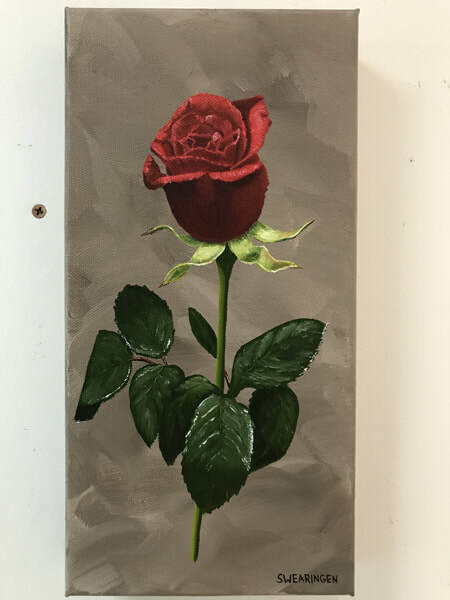 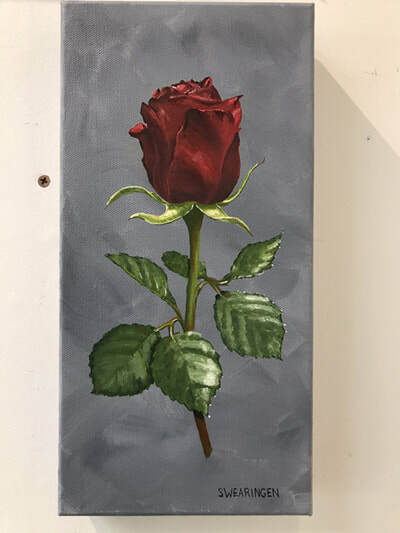 I was helped by generous donations from Village Art Supply, John Giuseponi, Mark Giuseponi, Andy and Laura Duymovic, La Belle Fleur, Williamsburg Oils, Princeton Brushes, and everyone who bought rose paintings. Lastly, thank you to Richard Schultz who volunteered to hand deliver a large number of my roses. Thank you!